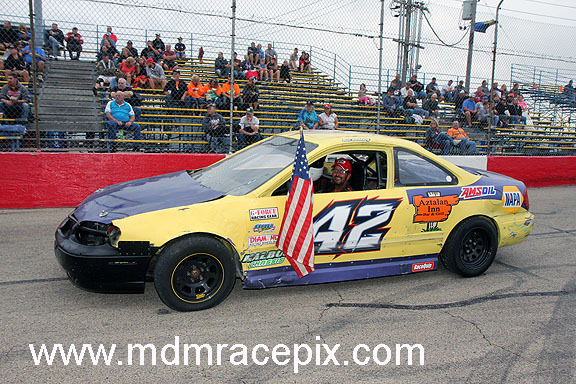 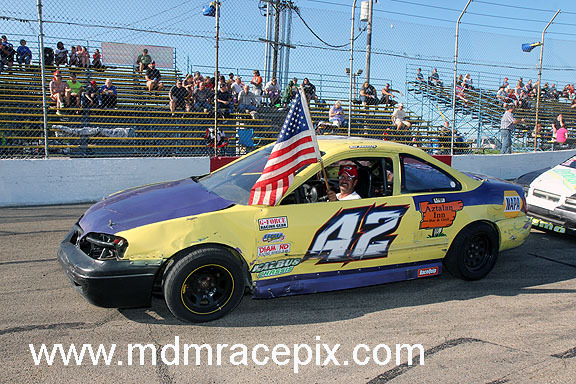 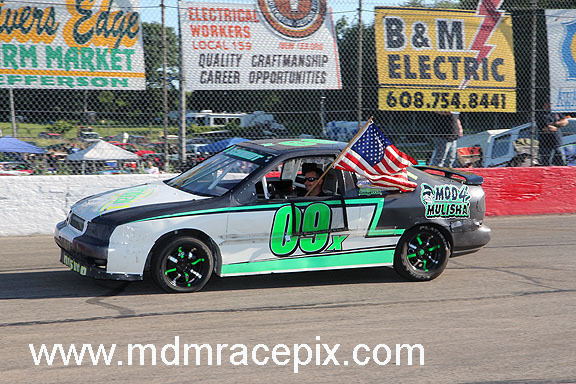 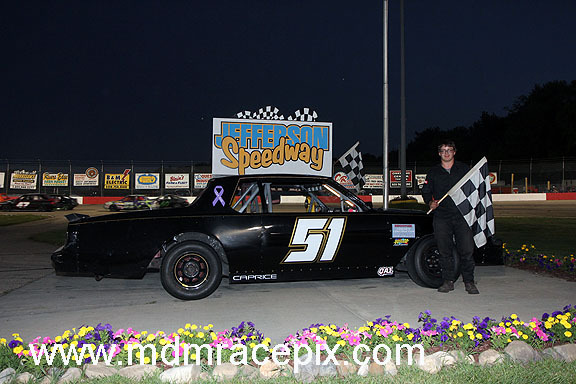 CAMBRIDGE, WI (Saturday, September 15, 2018) Casey Johnson of Edgerton didn’t race often in 2018 at Jefferson Speedway. 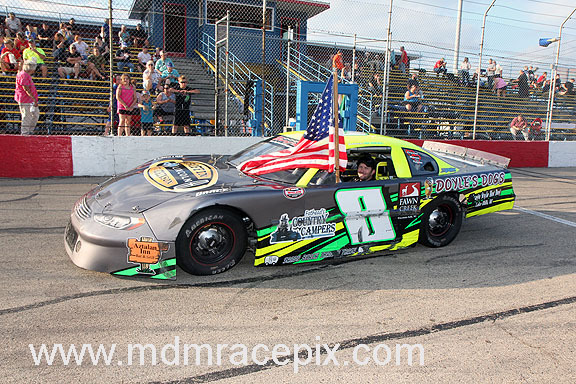 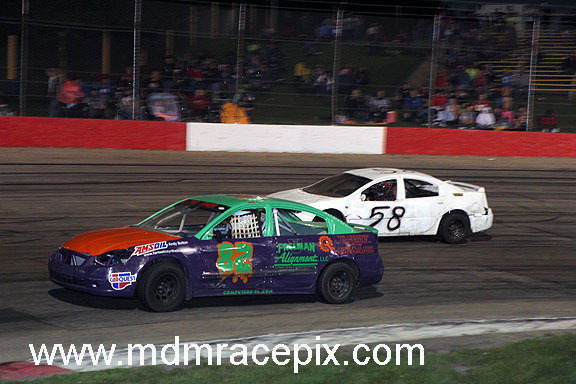 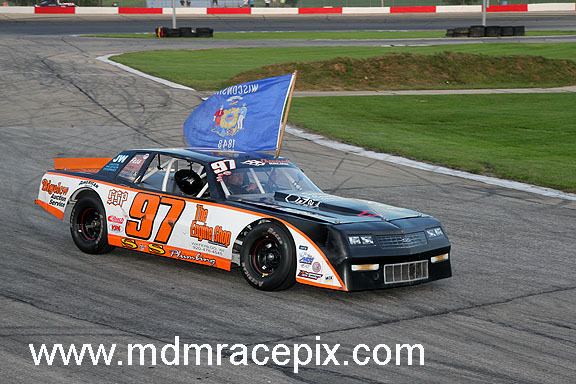 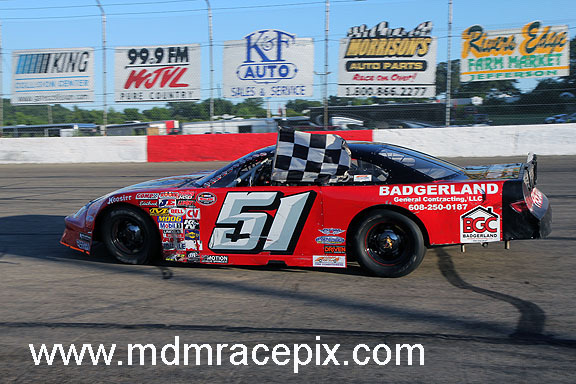 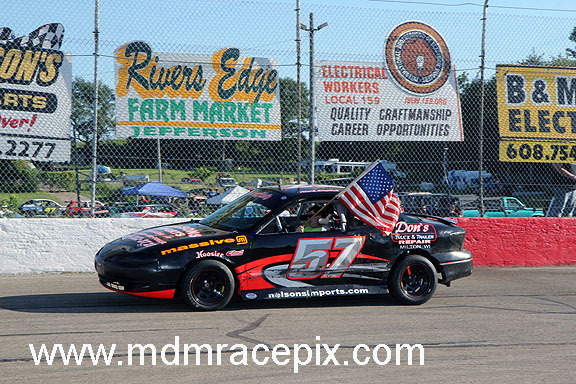 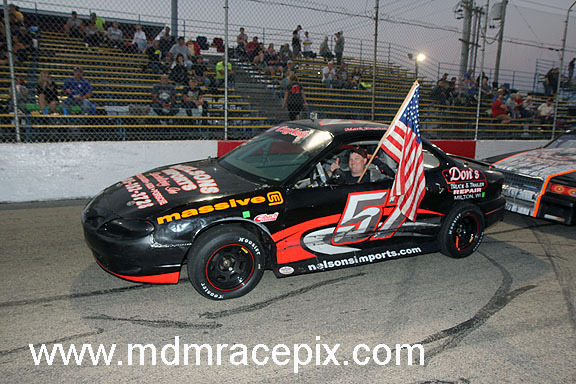 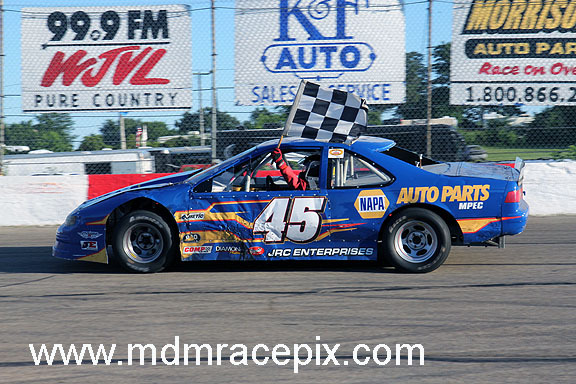 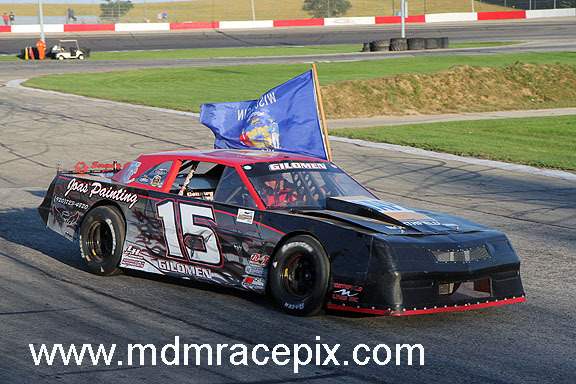 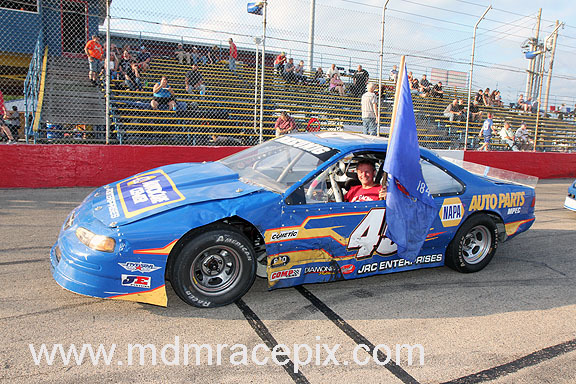 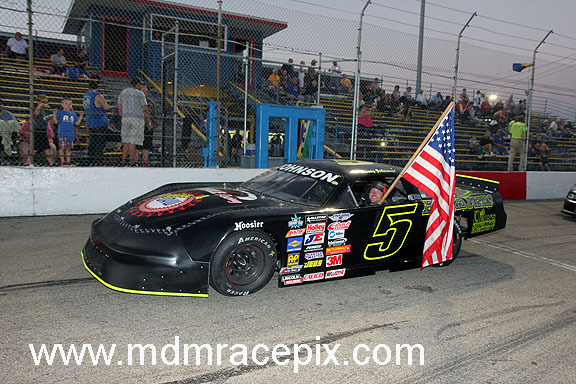 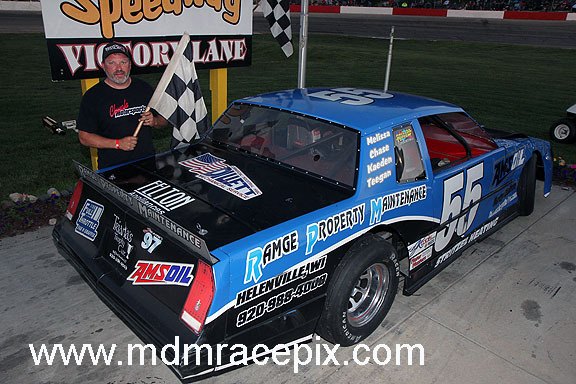 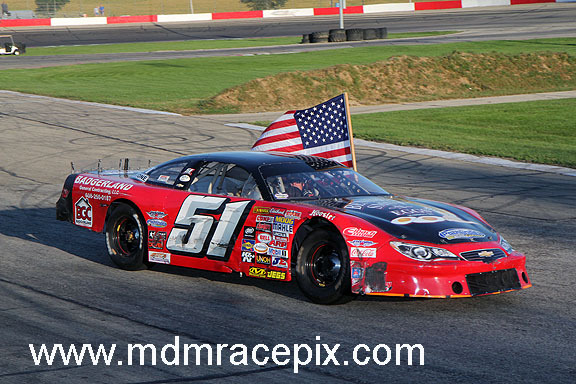 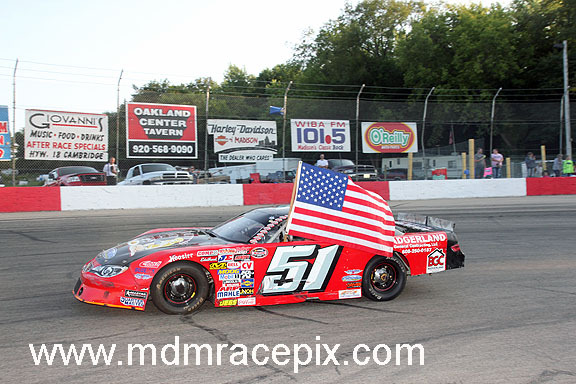 But when the #5 Late Model rolled onto Wisconsin’s Action Track, it was with much success. 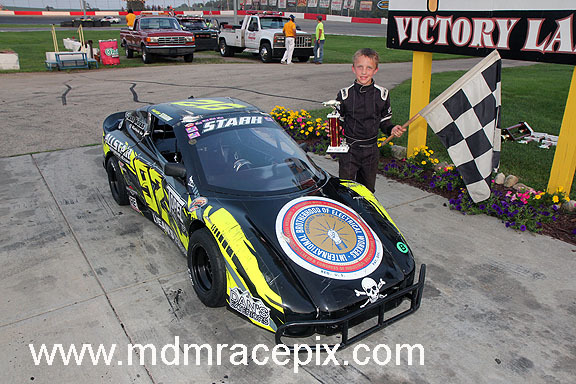 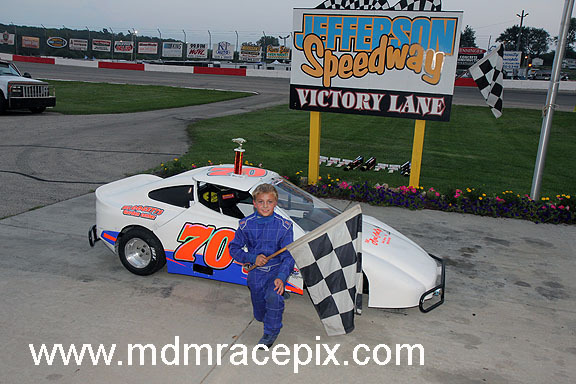 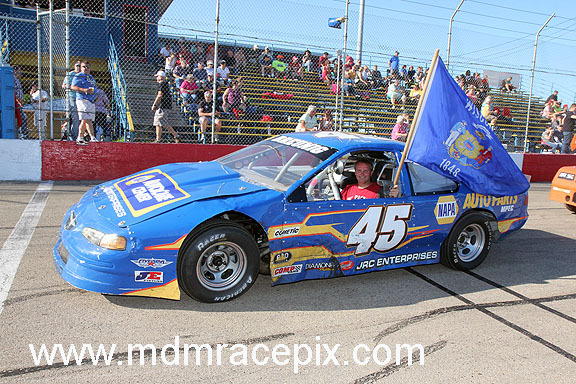 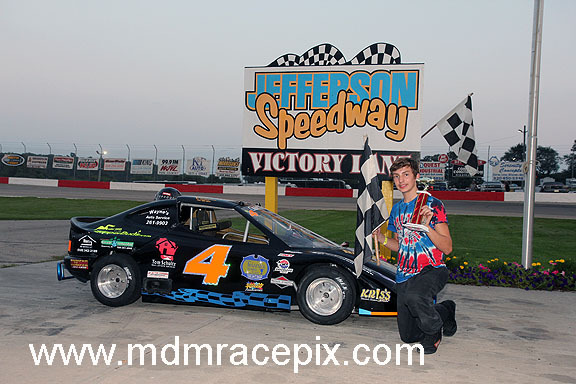 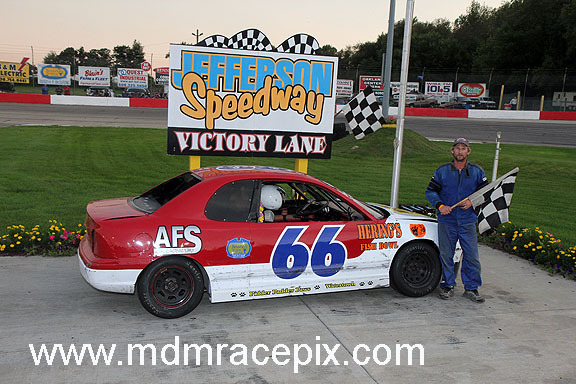 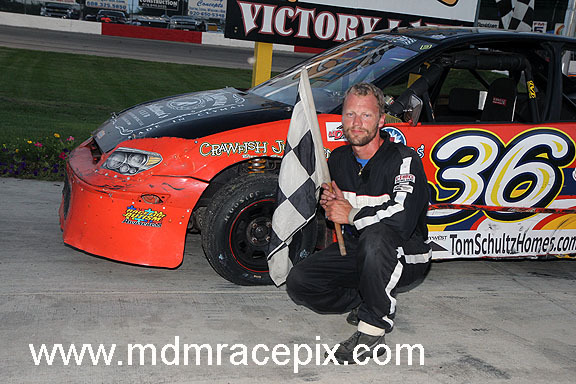 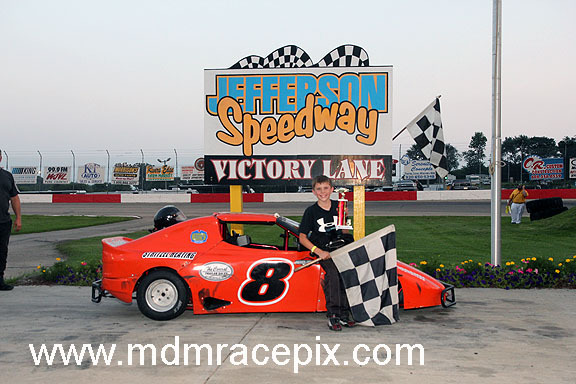 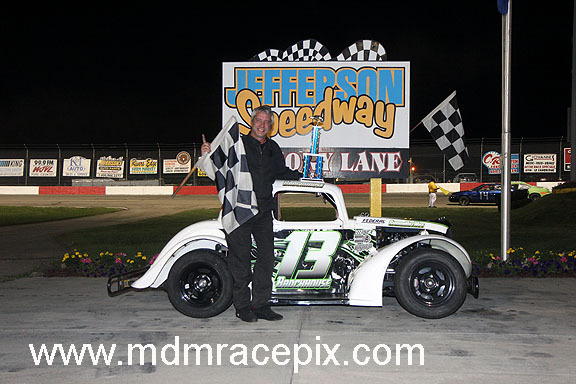 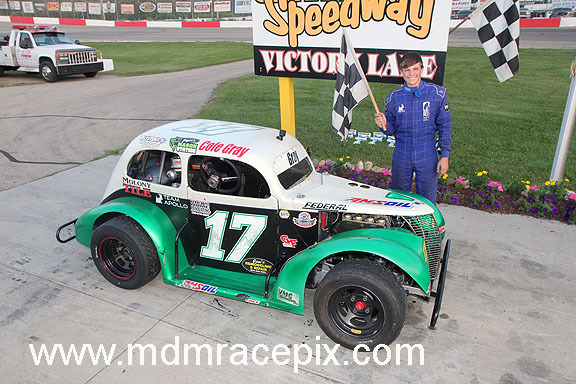 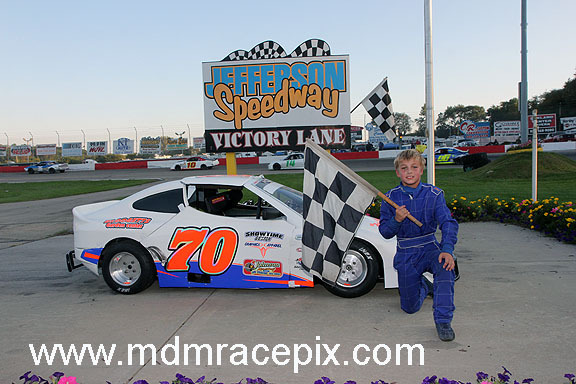 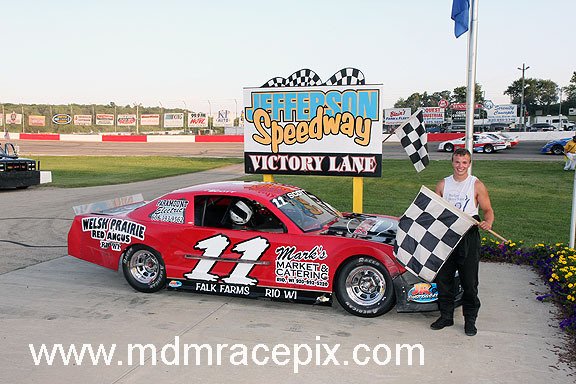 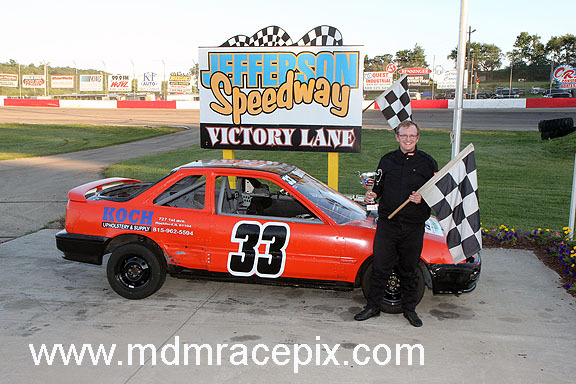 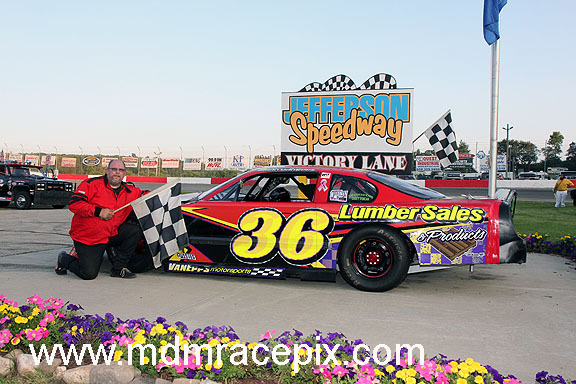 Before the 38th annual Wisconsin State Championships, Johnson’s only other visit of the season ended with him in victory lane. 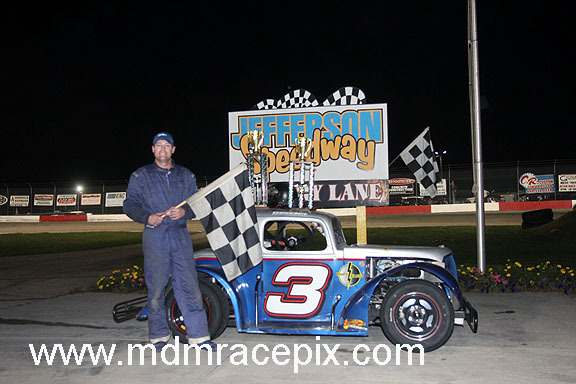 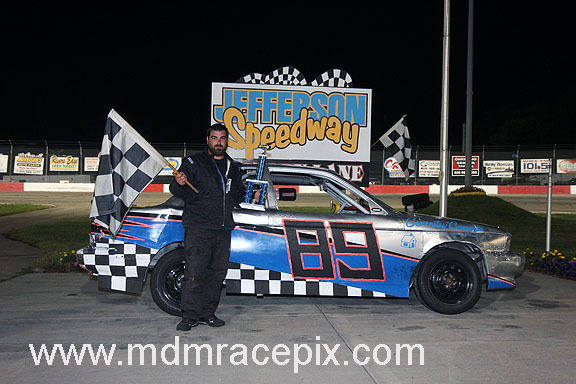 Johnson continued his winning ways over the weekend, claiming top honors in qualifying and then winning the first of twin 60 lap feature events. 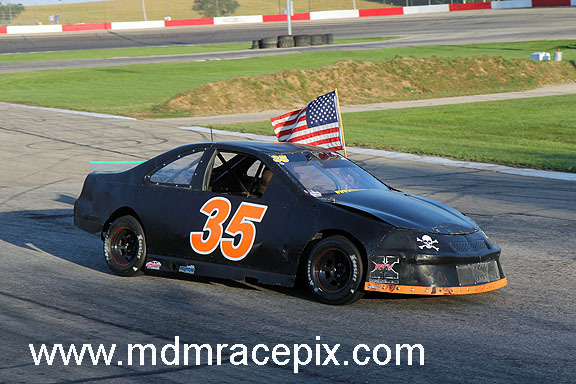 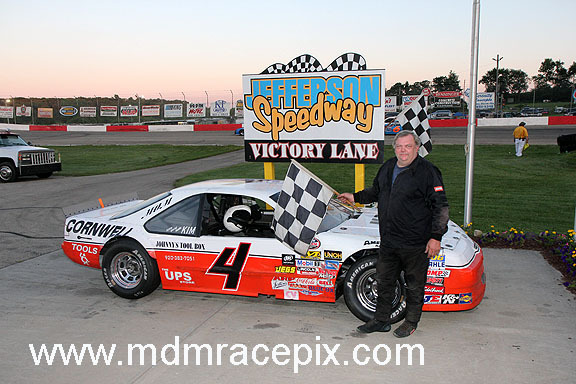 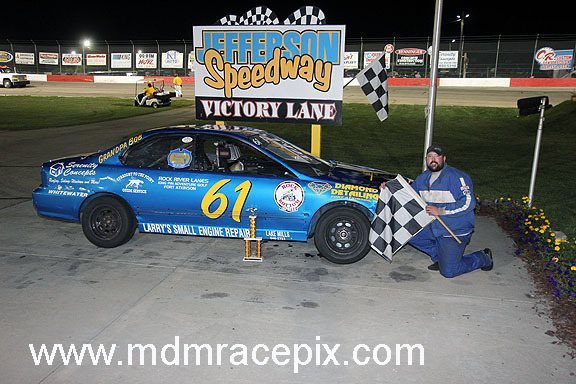 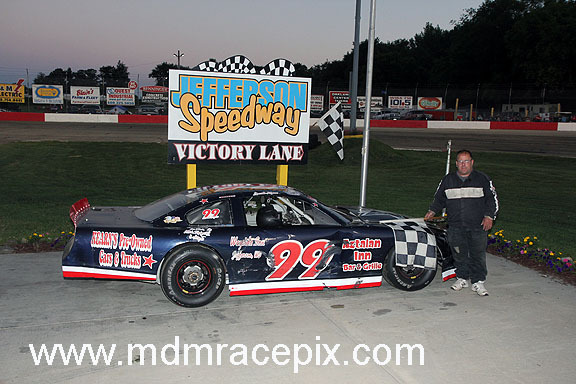 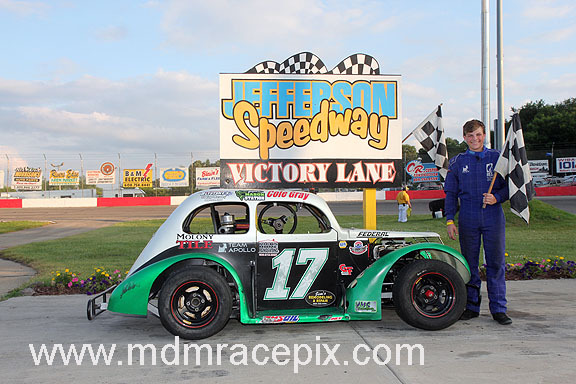 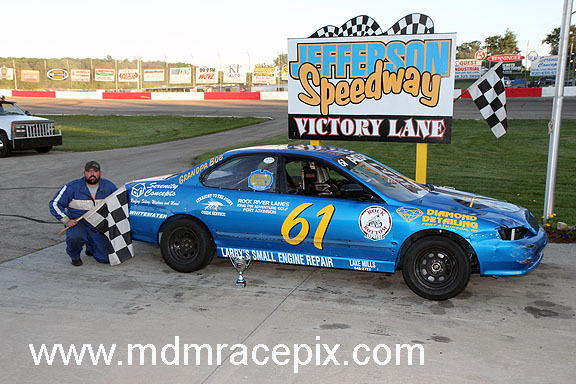 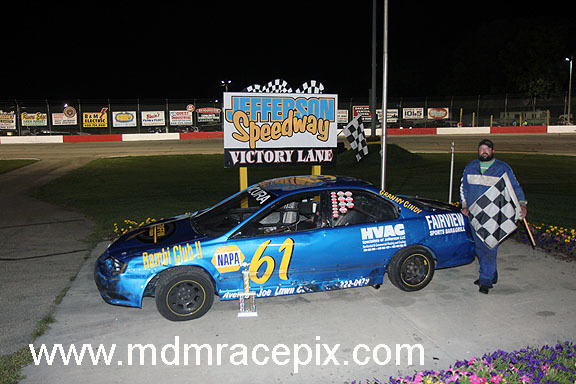 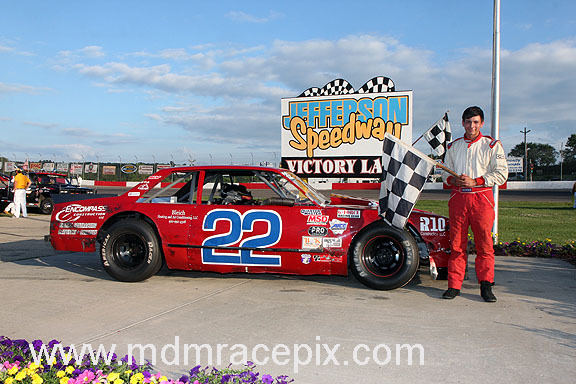 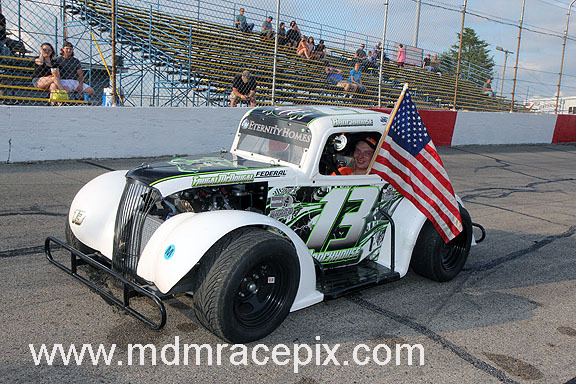 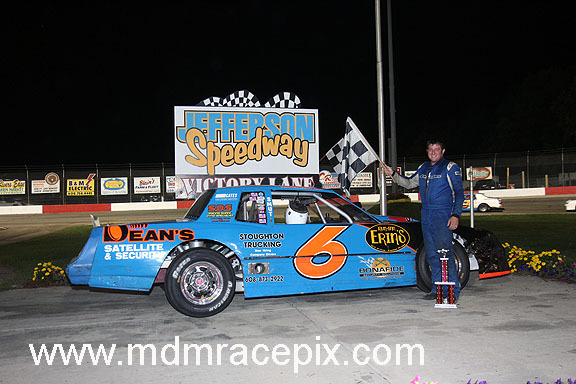 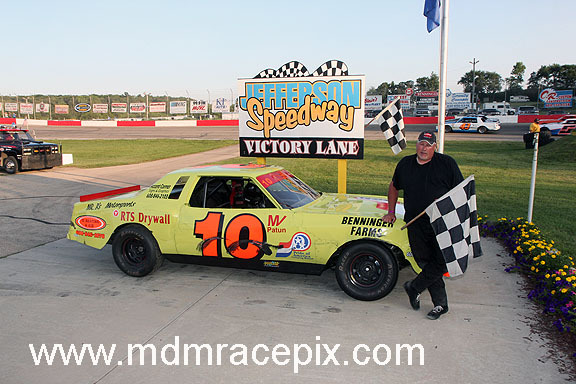 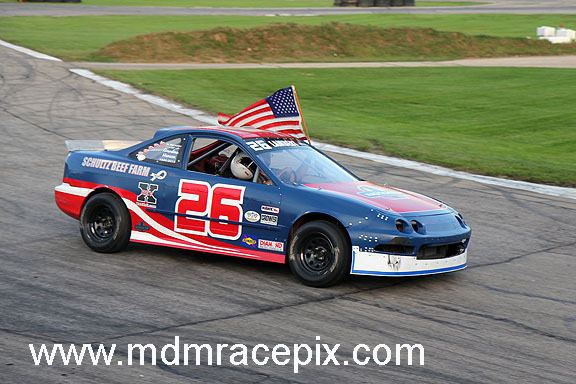 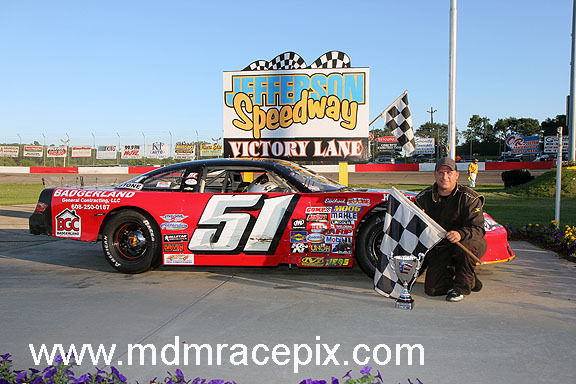 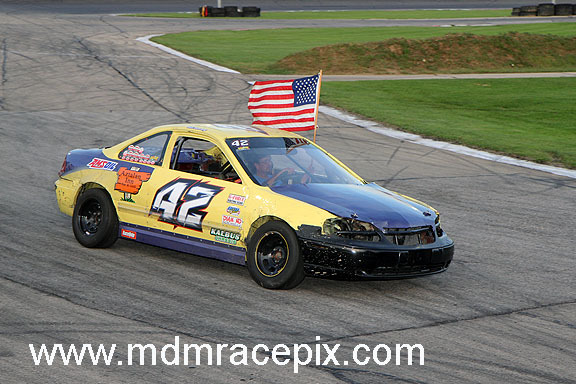 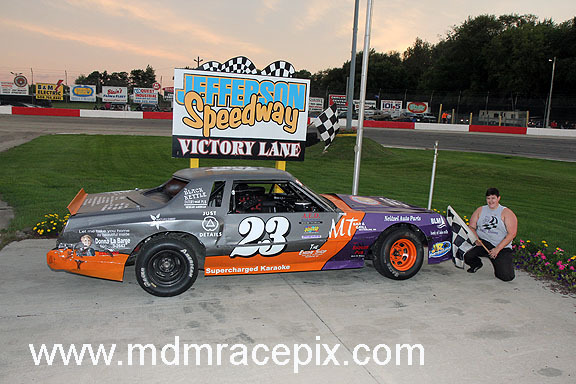 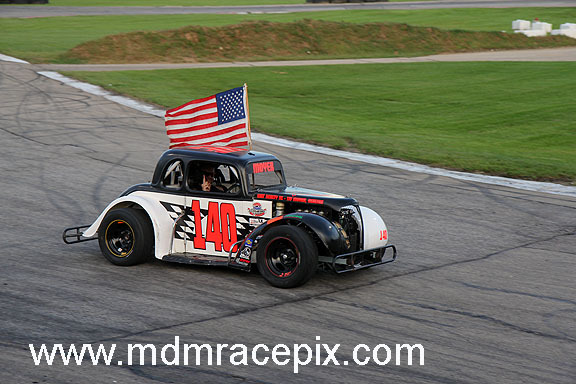 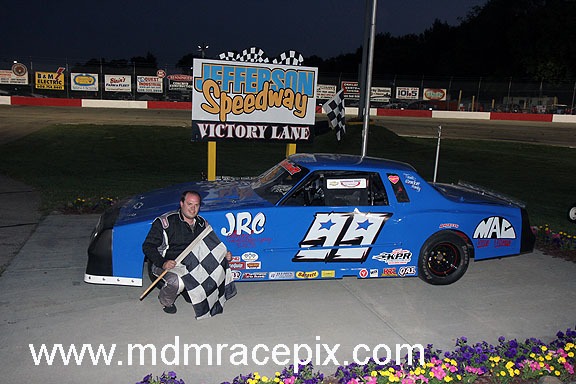 Johnson’s late run up to second in the later 60 lapper netted him the overall championship of the two day event. 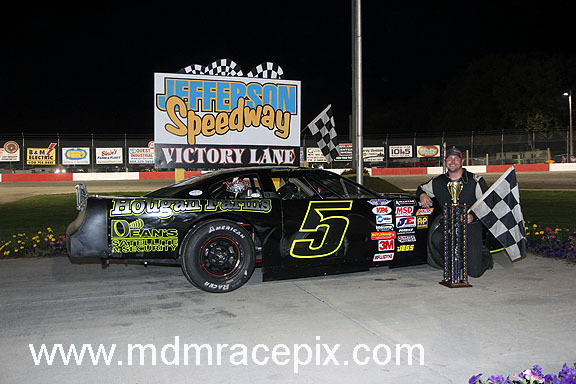 The title is Johnson’s third straight and fourth in the last five years. 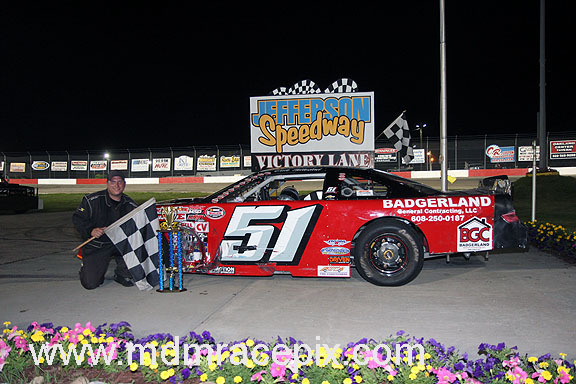 His four Wisconsin State Championships tie him with Ron Bishofberger for most all time. 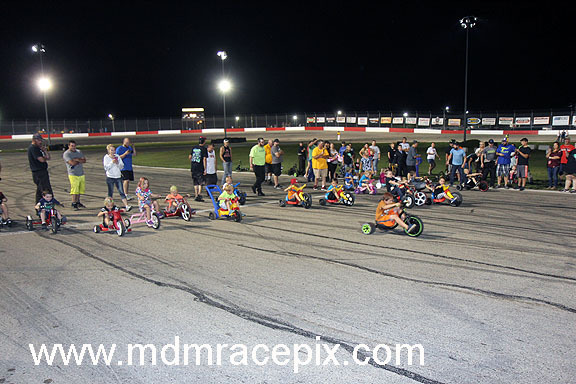 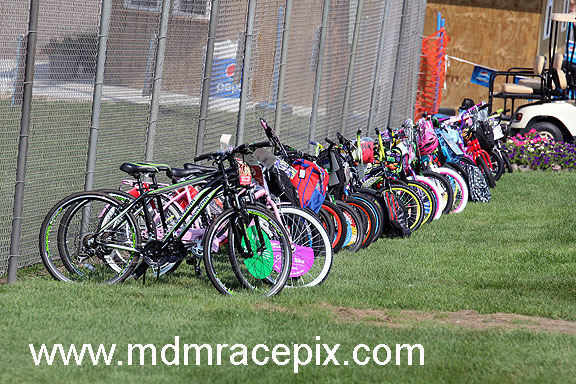 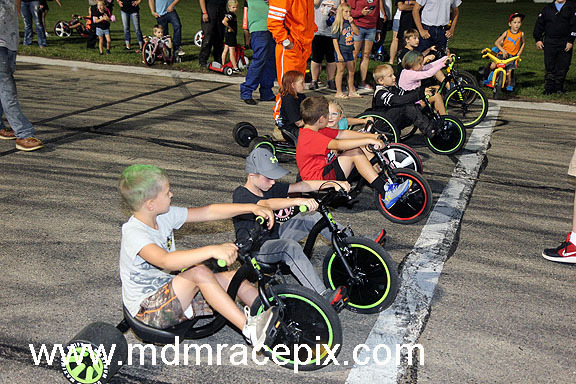 CAMBRIDGE, WI (Saturday, September 8, 2018) The final night of points racing at Wisconsin’s Action Track in the 2018 season provided some great racing to decide who would be crowned champion. 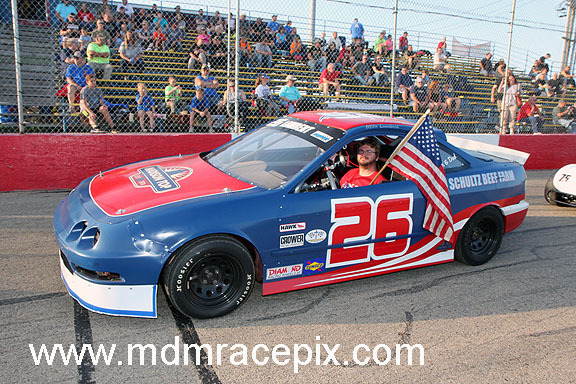 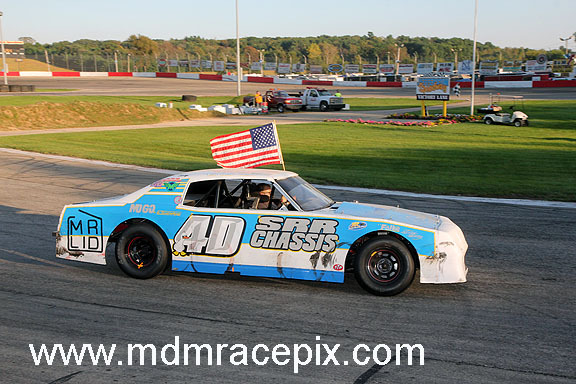 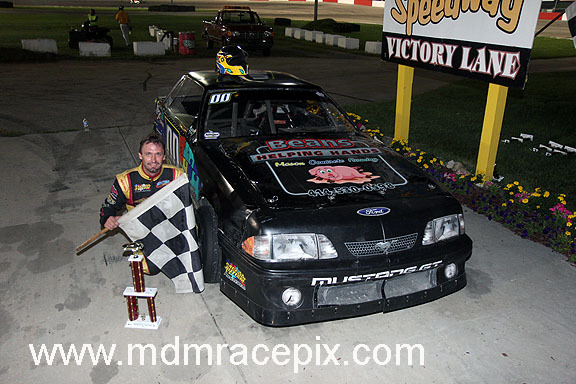 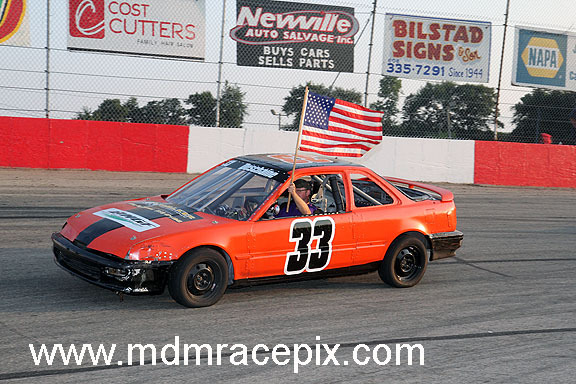 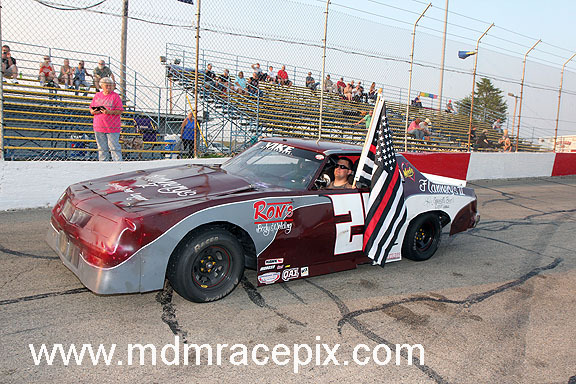 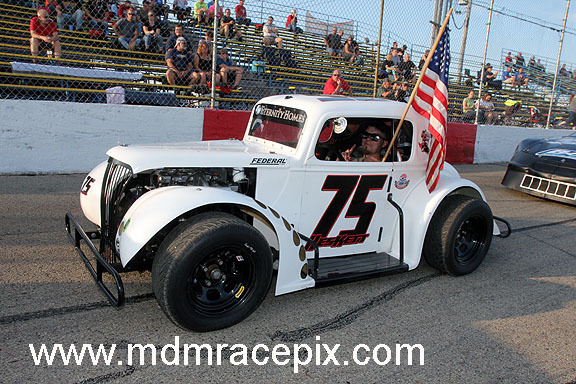 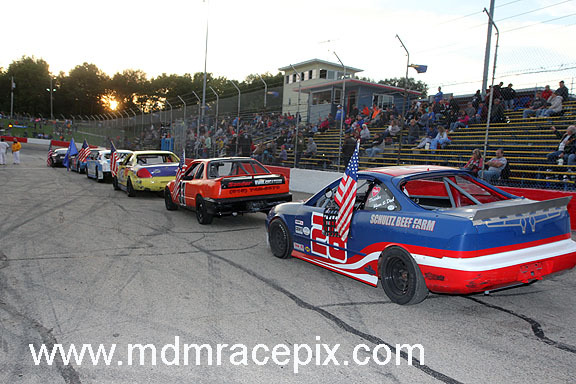 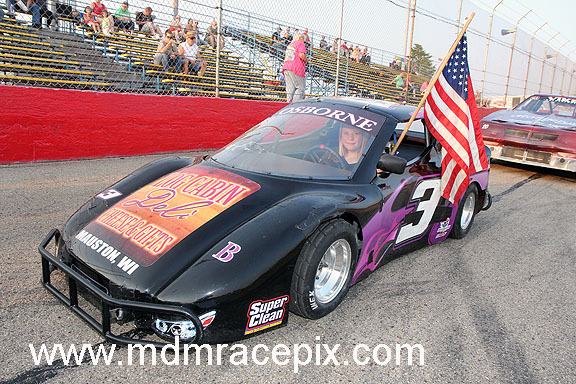 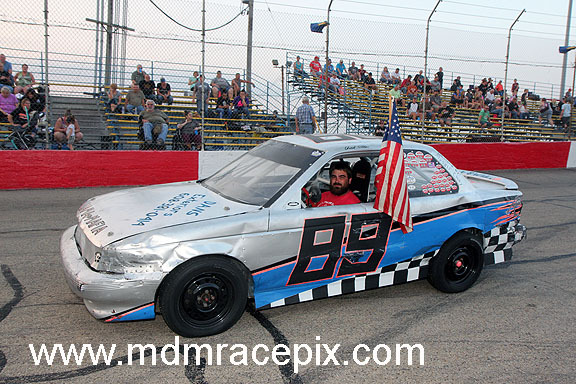 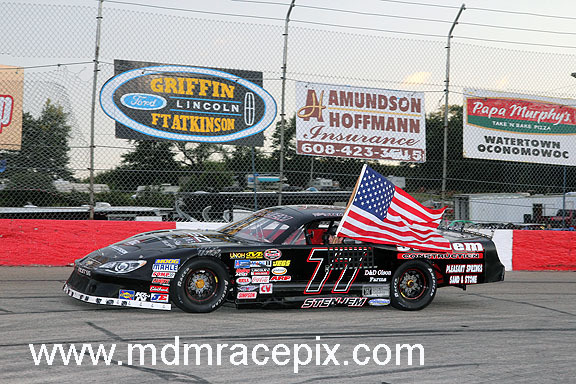 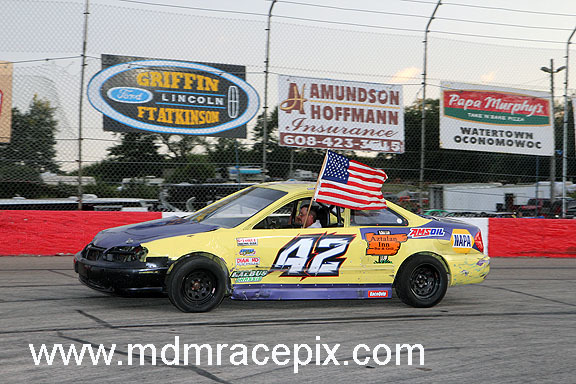 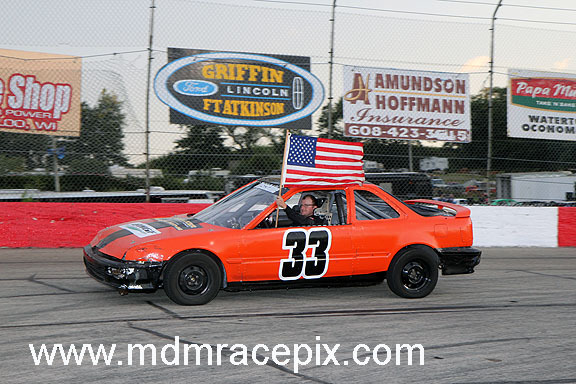 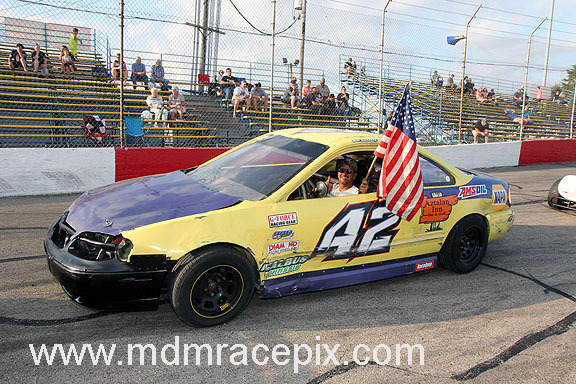 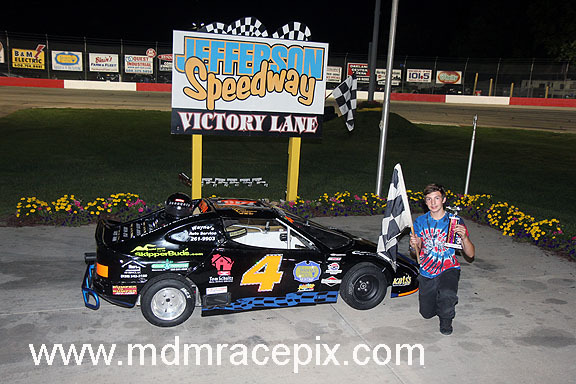 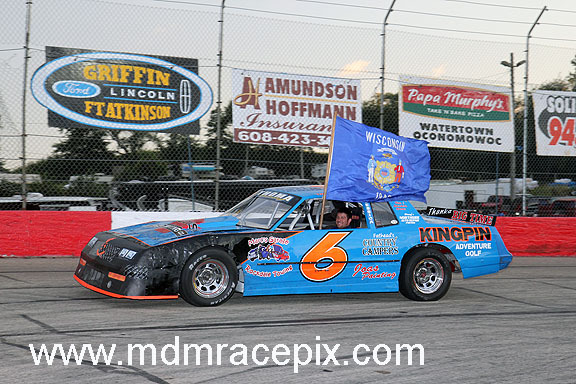 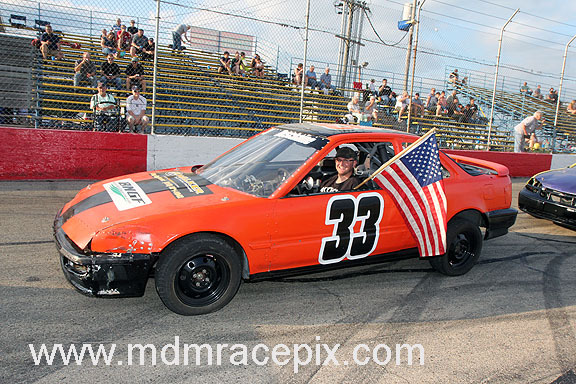 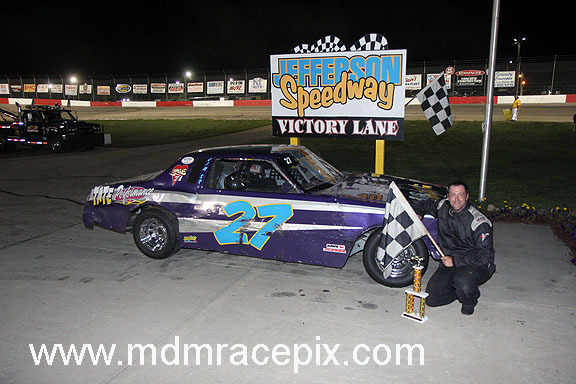 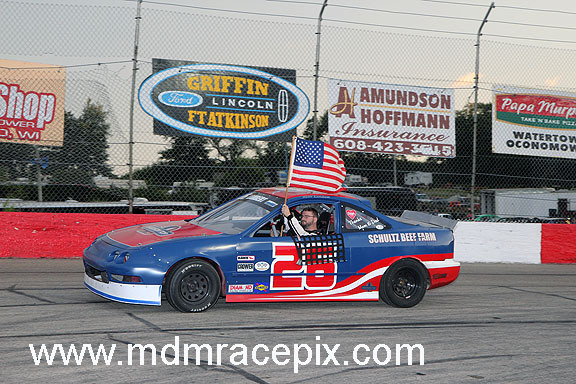 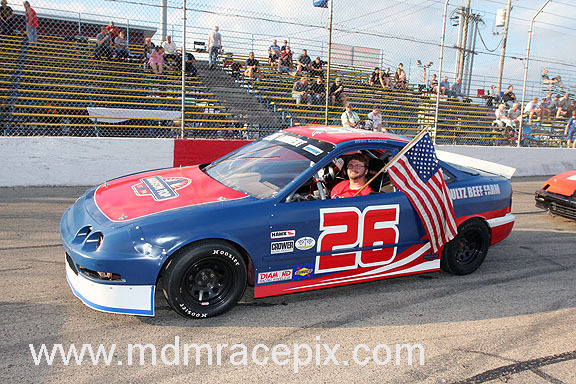 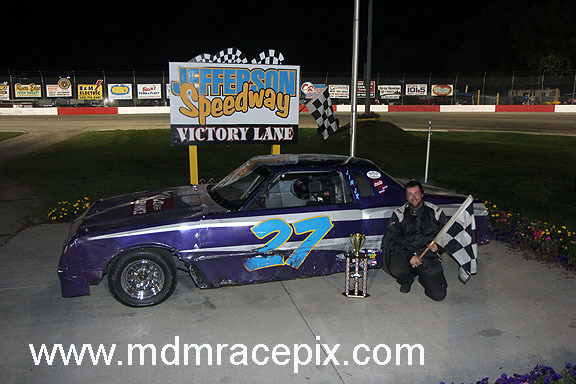 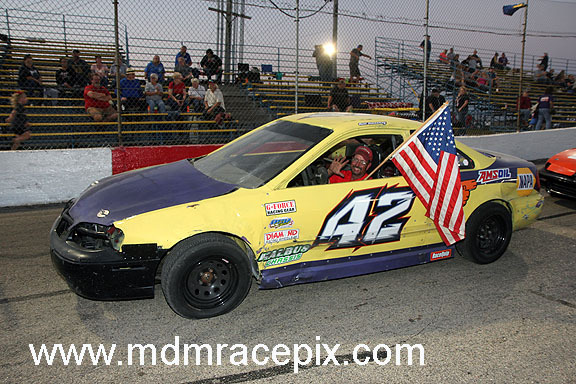 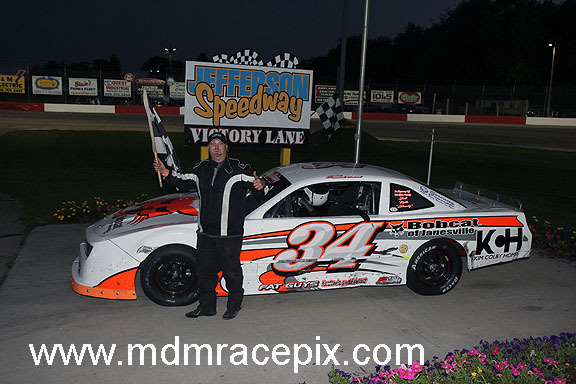 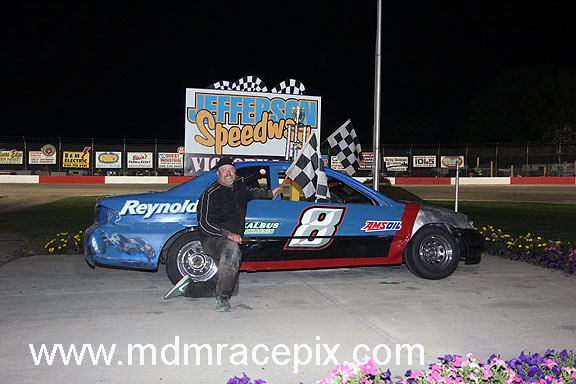 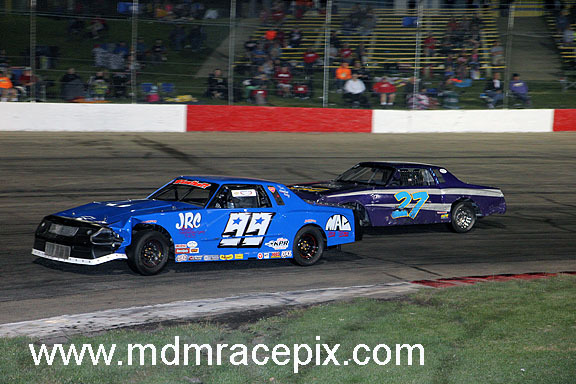 Three divisions came down to the final race of the season to determine the champ on Season Championship Night presented by Griffin Ford Lincoln of Fort Atkinson. 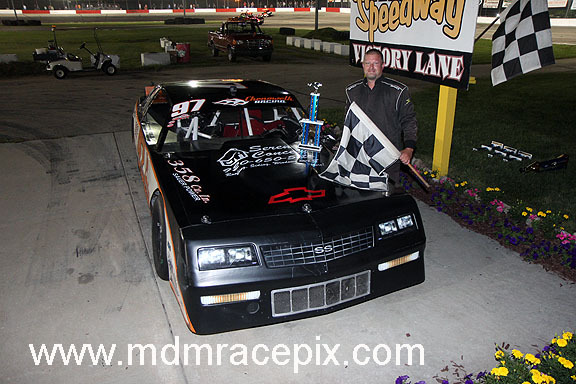 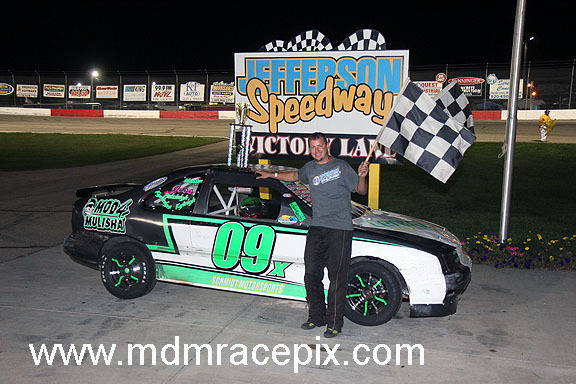 When the dust settled in the Late Model division, it was Dale Nottestad of Cambridge claiming a record fifth championship in Jefferson Speedway’s premier division. 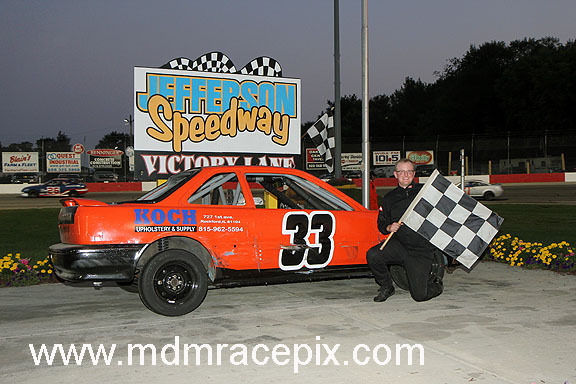 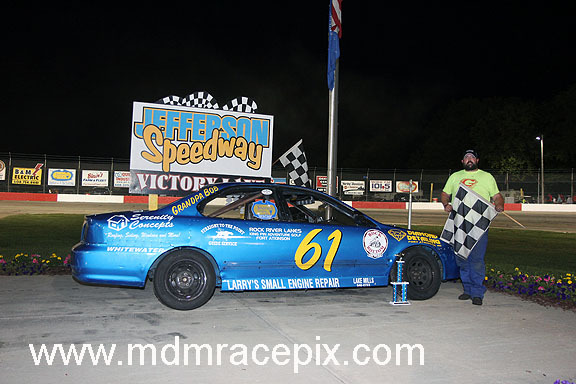 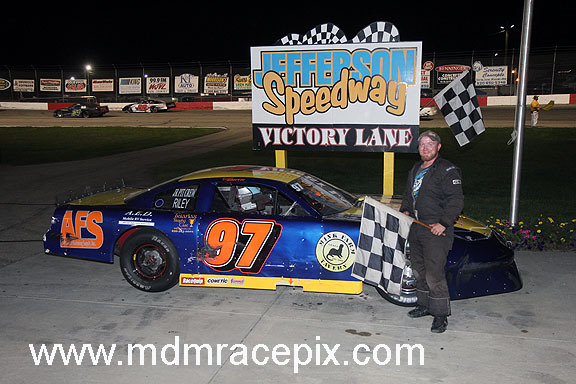 CAMBRIDGE, WI (Saturday, September 1, 2018) After coming up just short on several occasions in 2018, John Ovadal Jr finally captured the checkered flag at Jefferson Speedway on Saturday night. 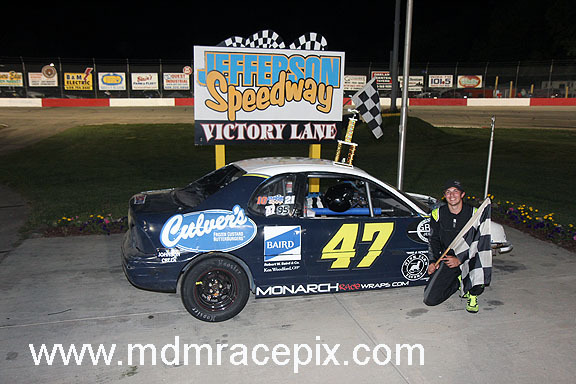 The Watertown pilot claimed the Culver’s of Johnson Creek 50 lap Late Model feature to secure his first win on the season while lightning filled the sky in the distance. 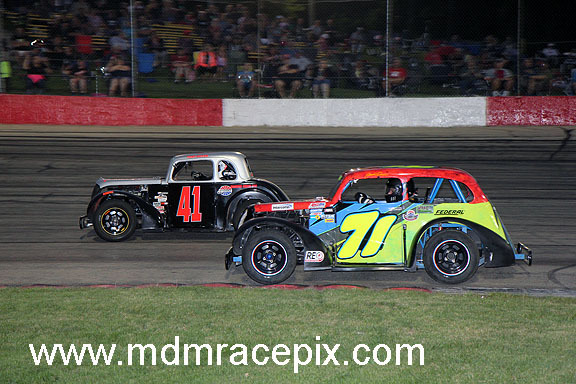 CAMBRIDGE, WI (Saturday, August 25, 2018) As the weeks wind down in the 2018 racing season, the battles on the track and in the standings are heating up. 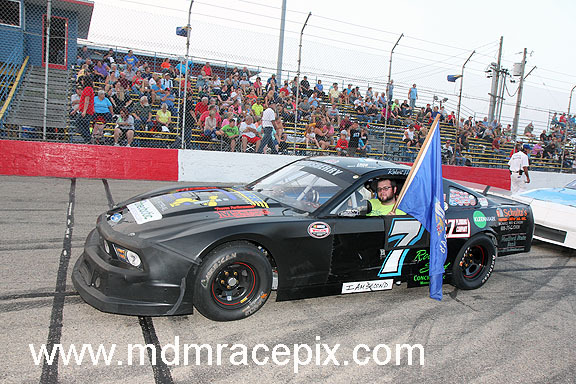 A dust up between the top two in Late Model points led to Lake Mills pilot, Shaun Scheel, claiming the Bean’s Helping Hands 50 lap feature event. 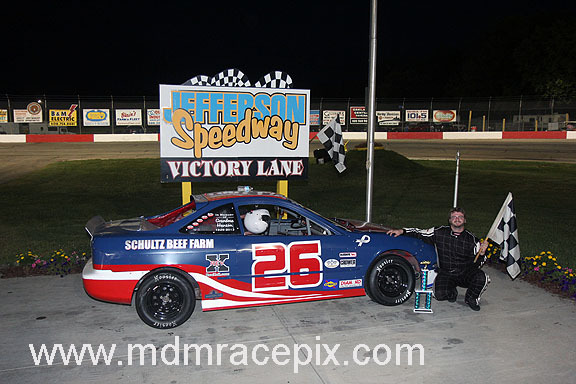 The win marks Scheel’s third feature victory of the season as he looks to close in on the points leader. 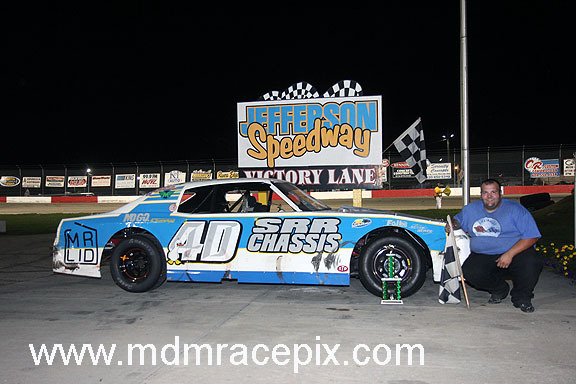 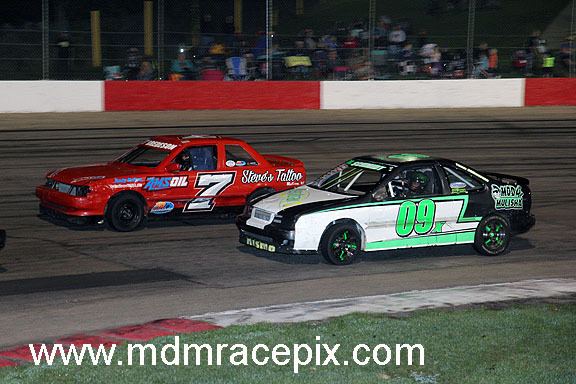 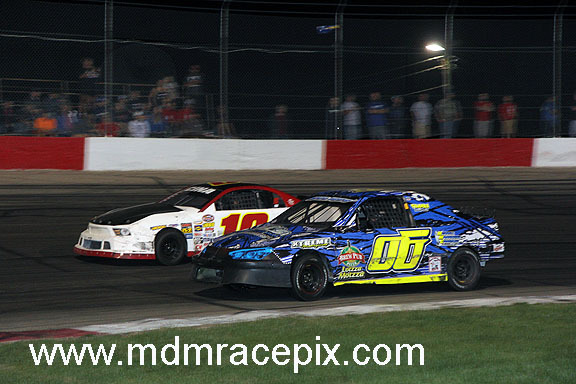 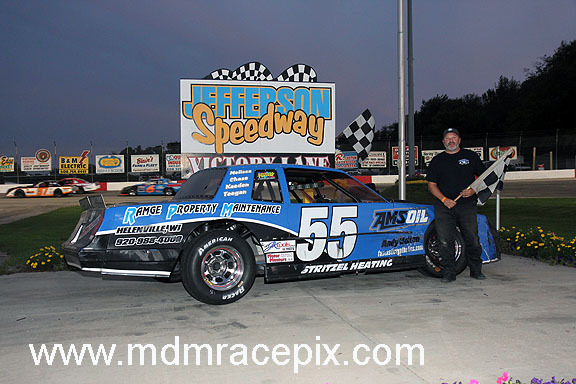 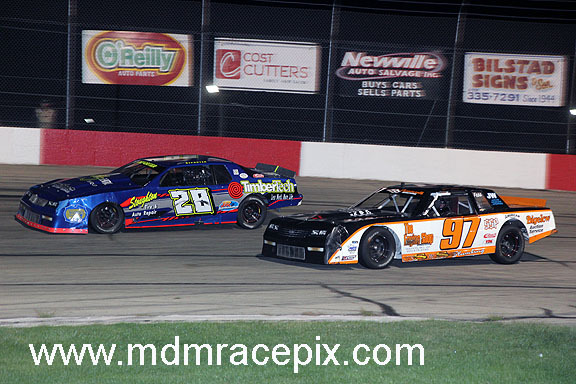 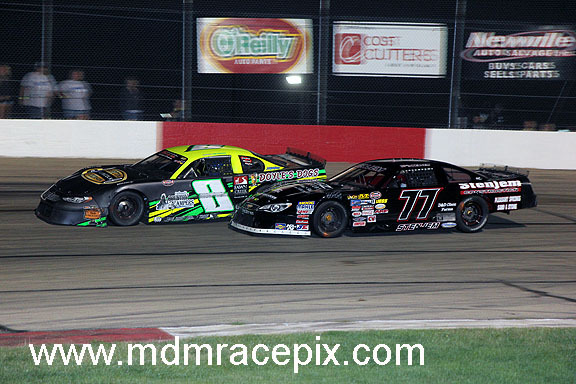 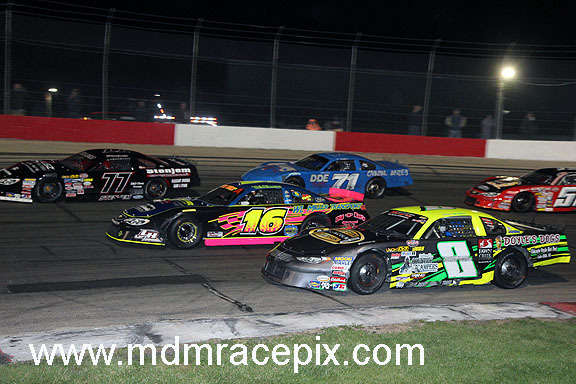 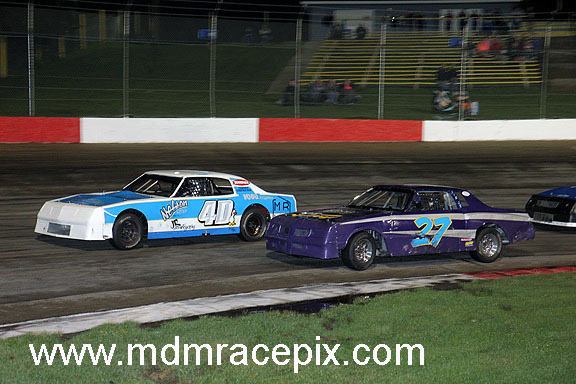 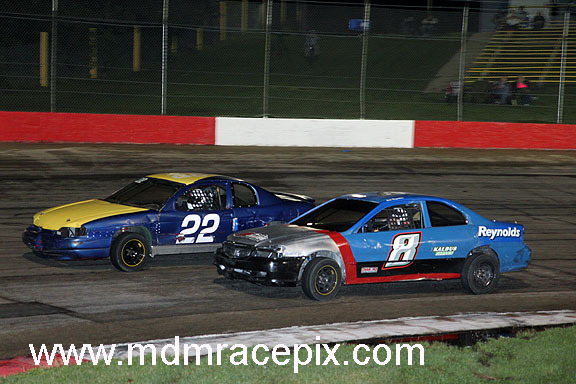 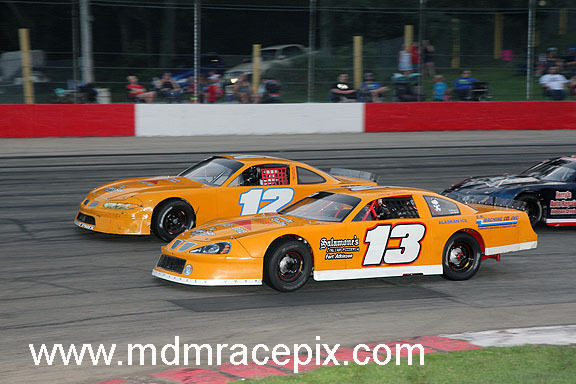 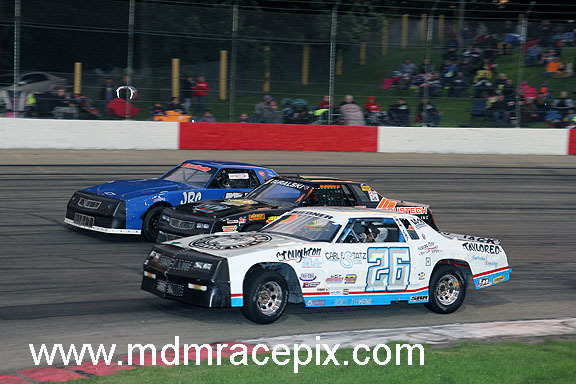 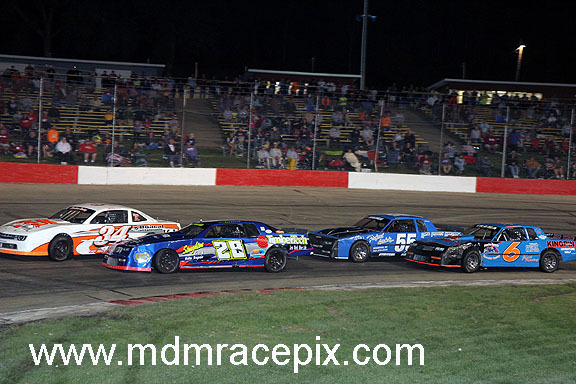 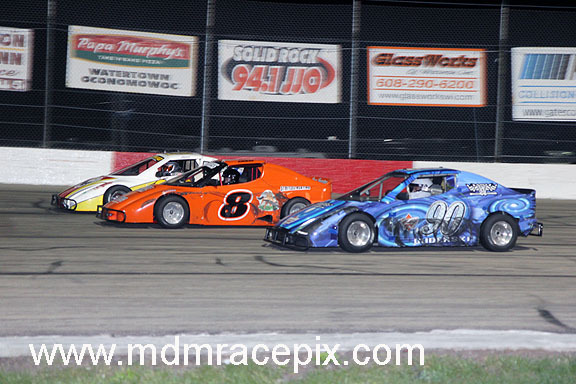 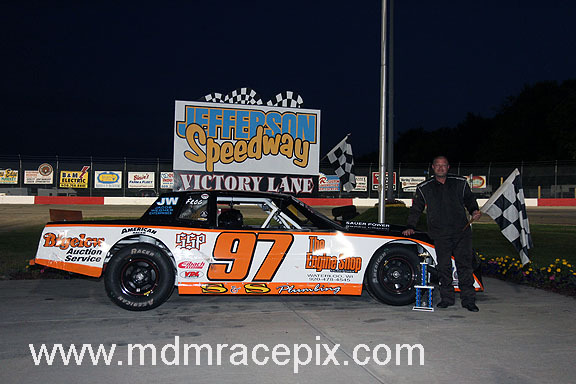 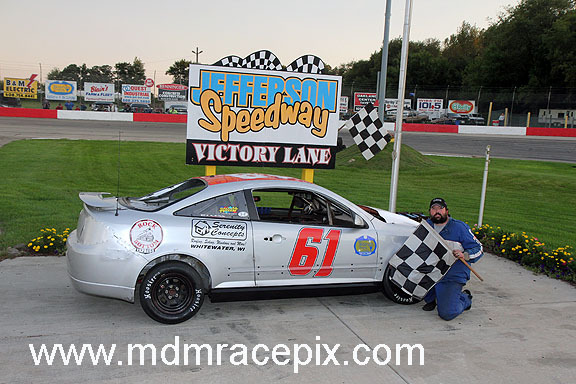 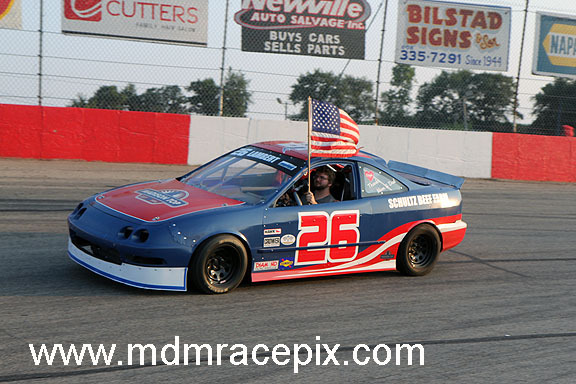 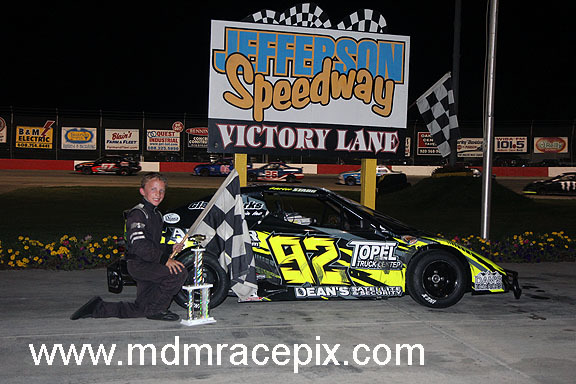 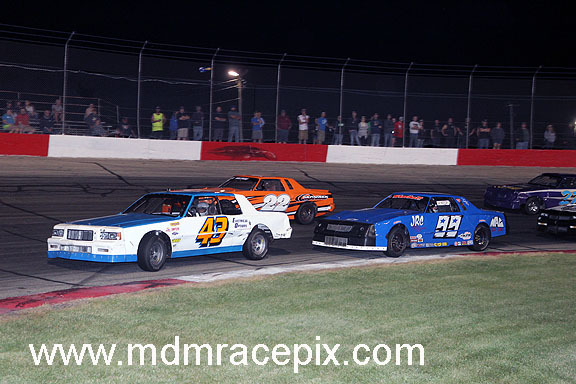 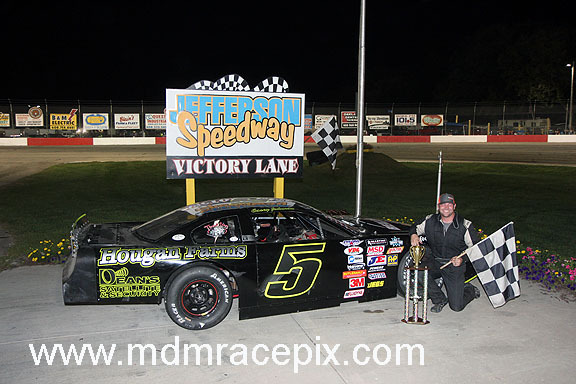 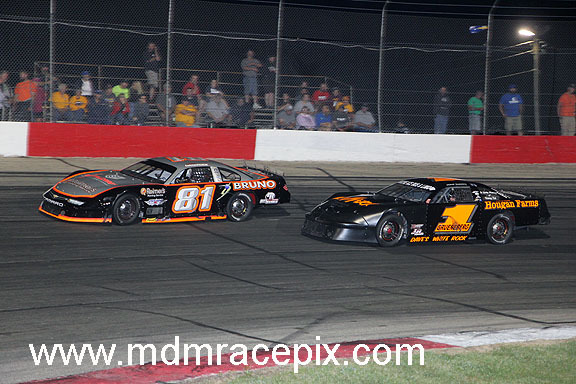 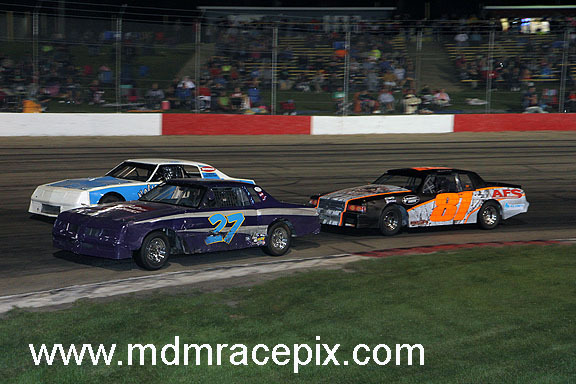 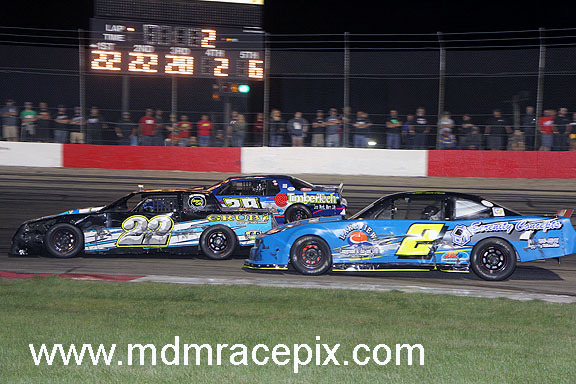 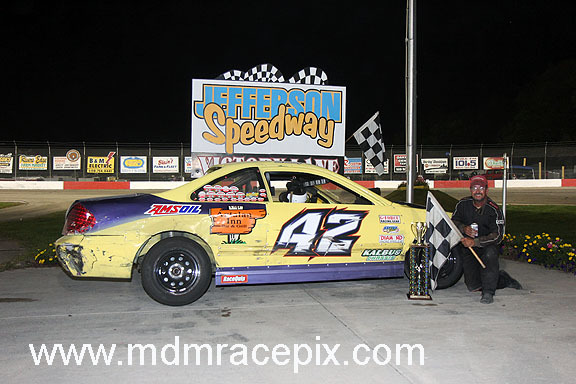 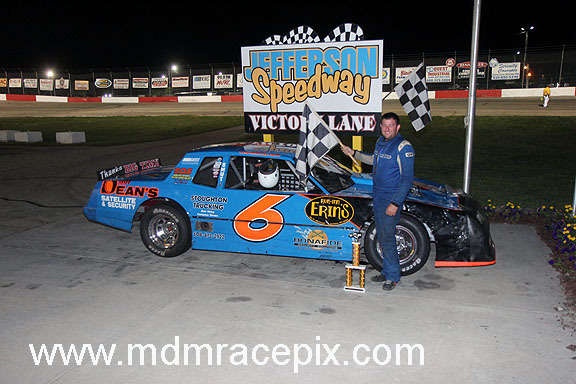 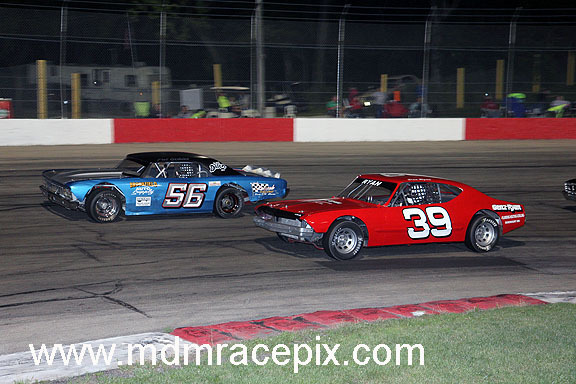 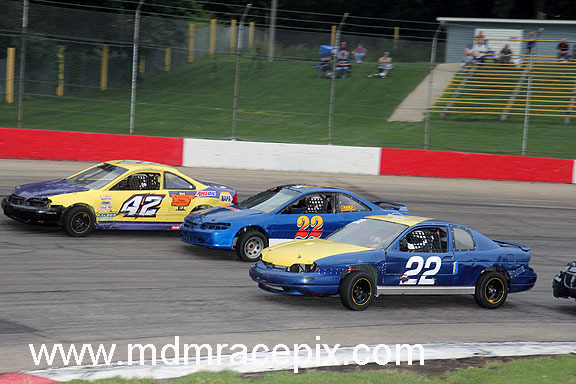 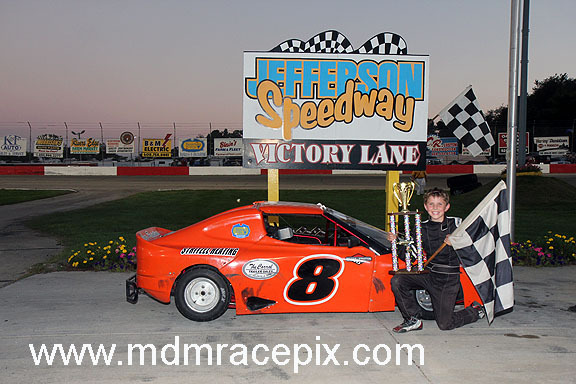 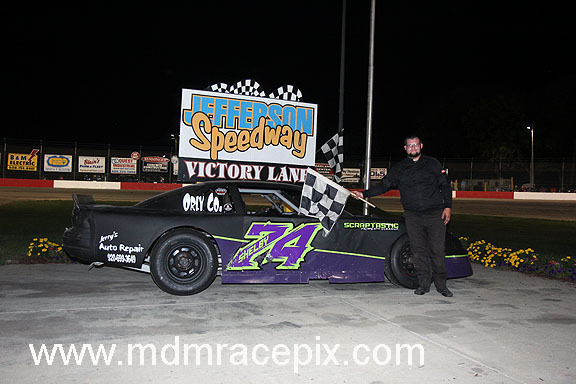 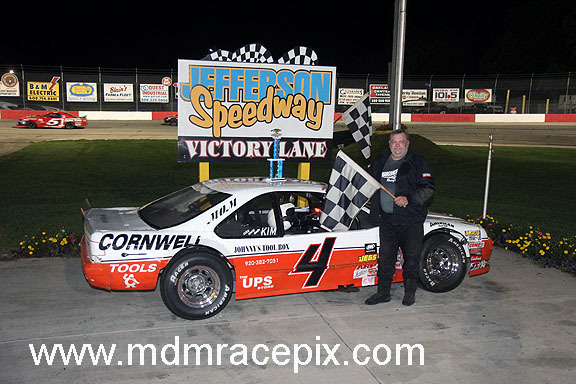 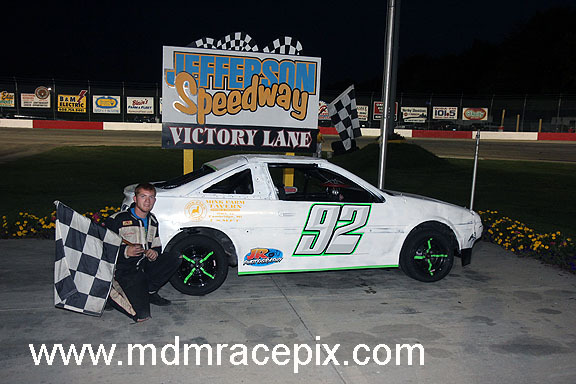 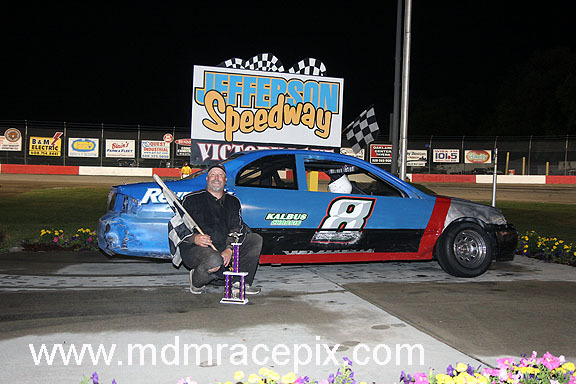 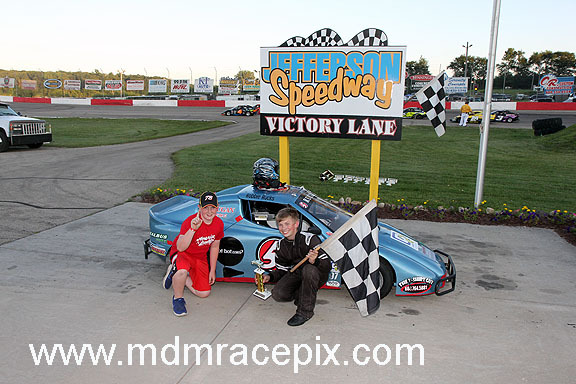 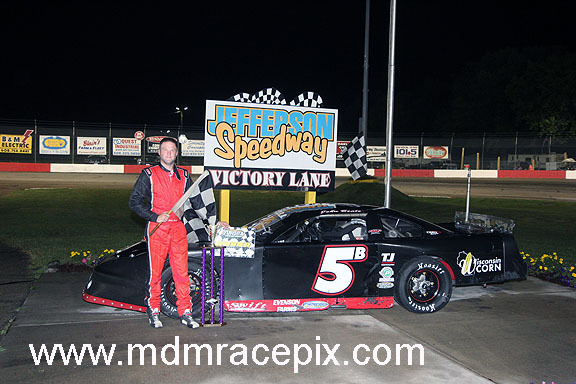 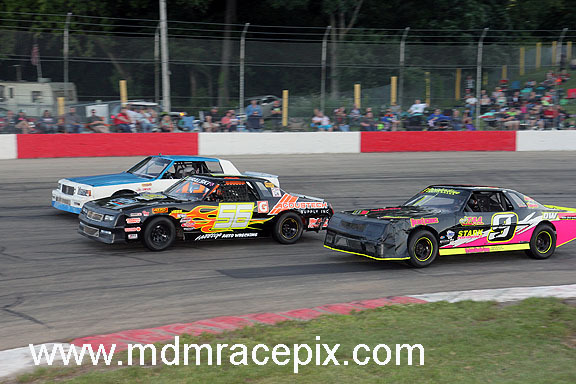 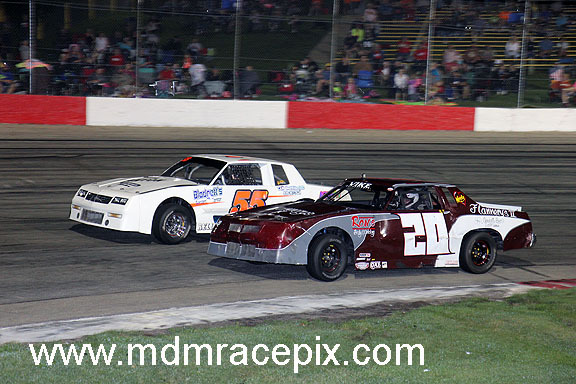 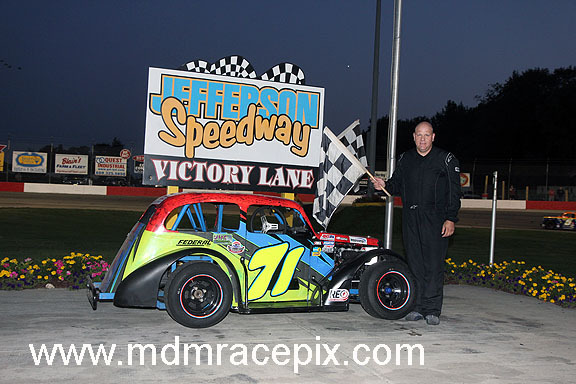 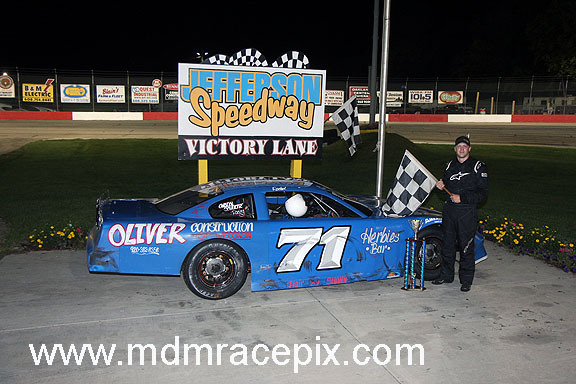 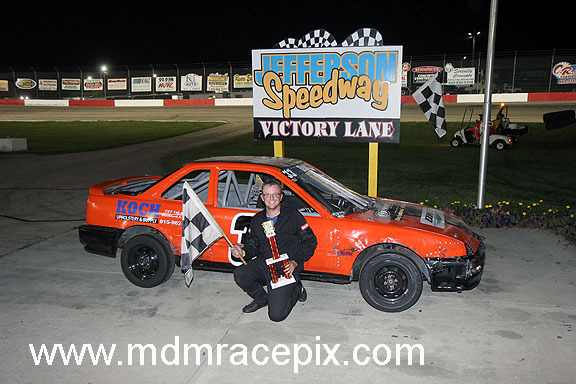 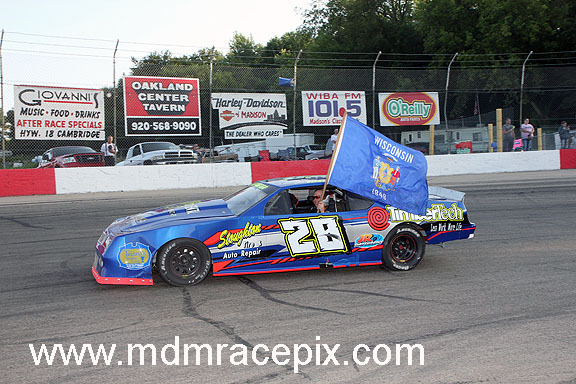 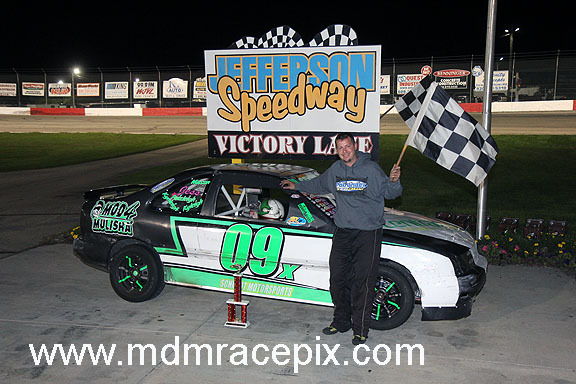 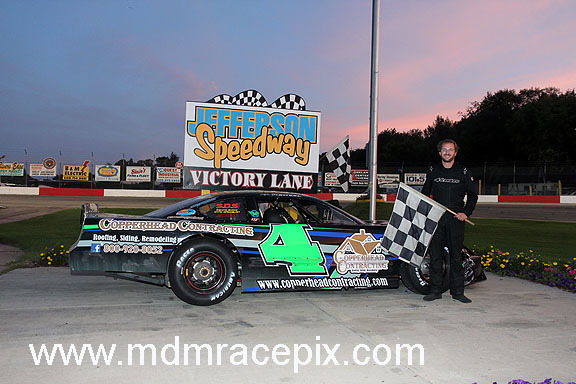 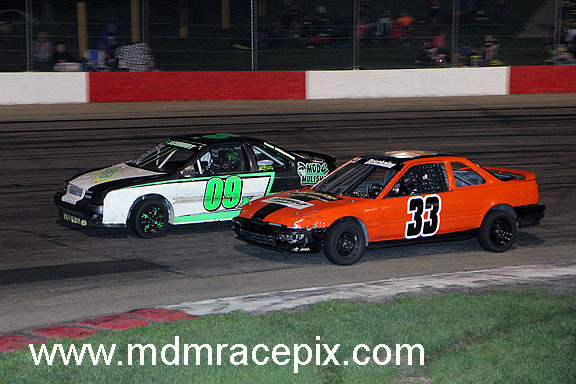 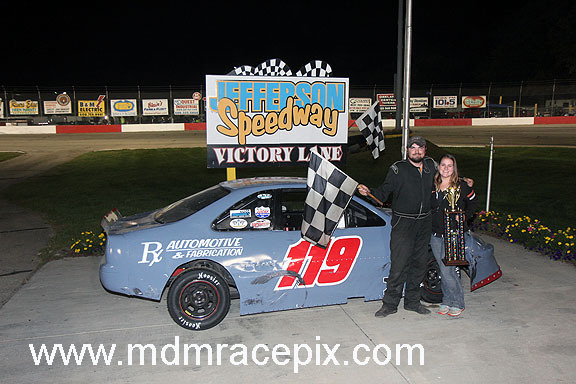 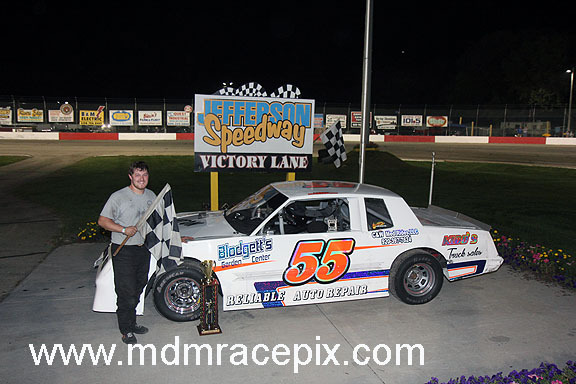 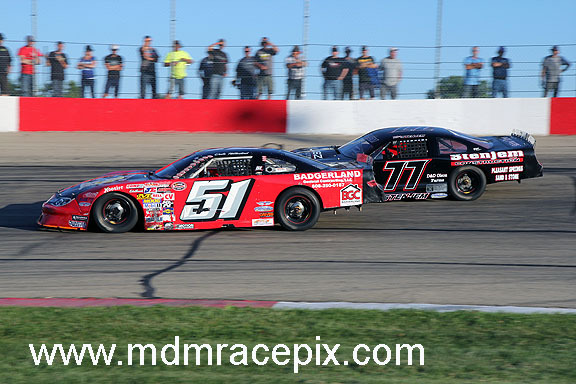 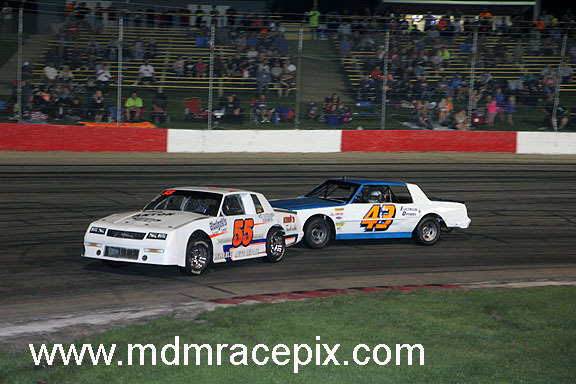 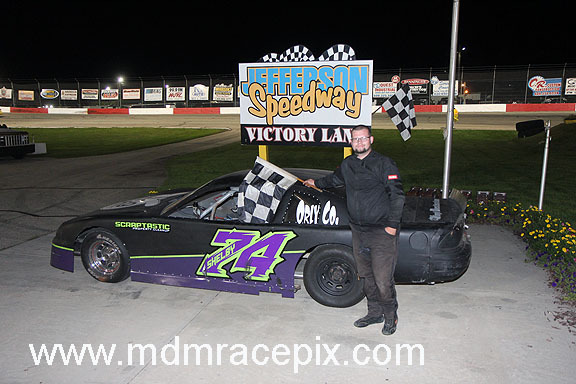 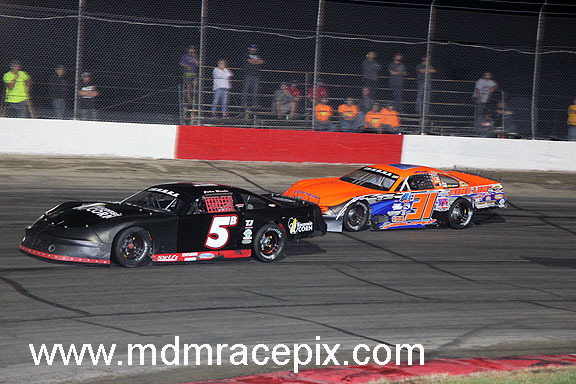 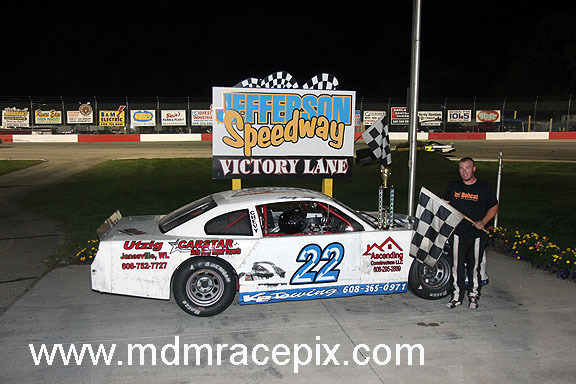 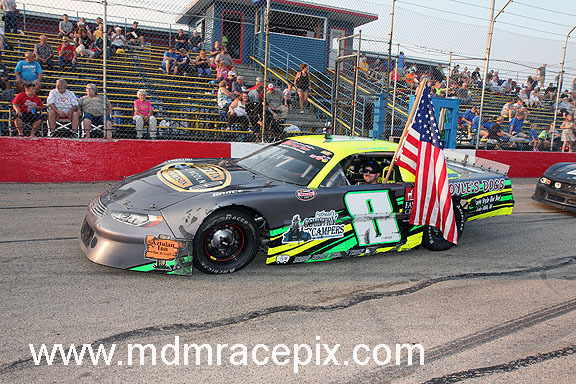 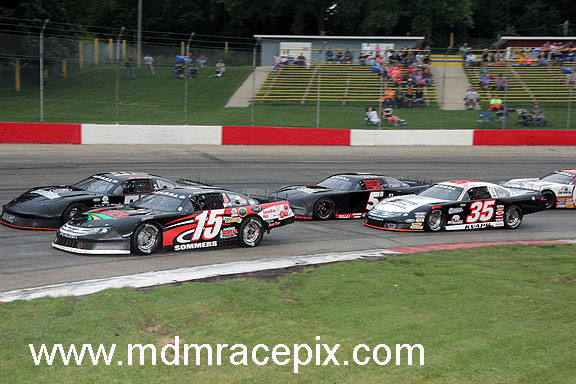 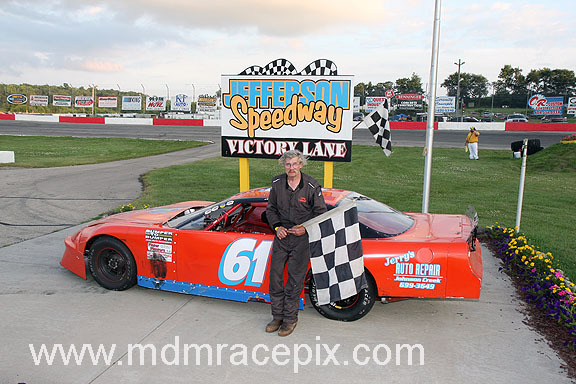 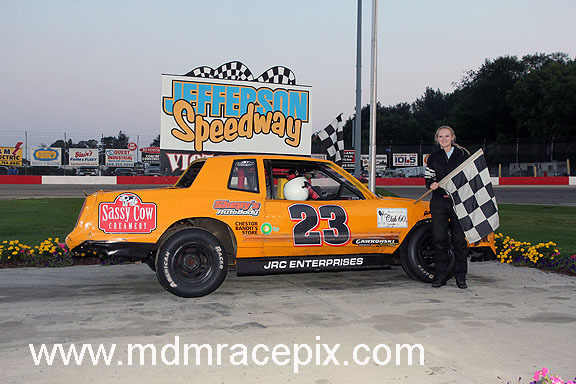 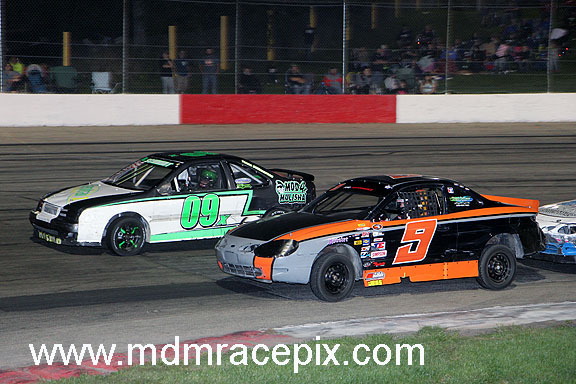 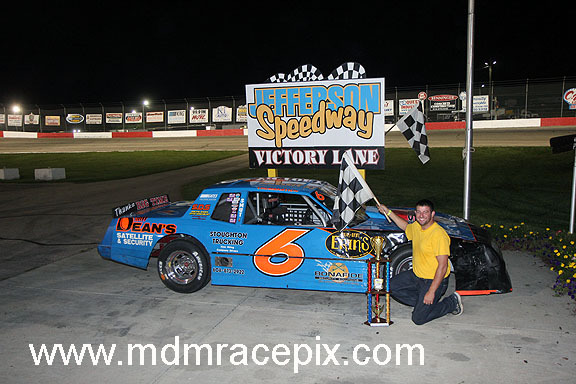 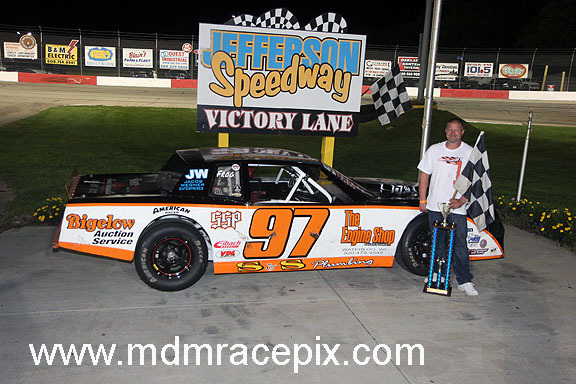 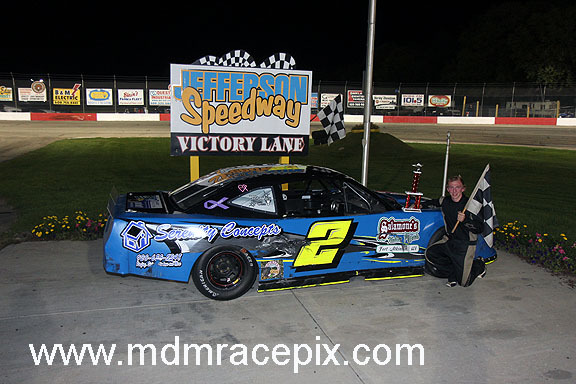 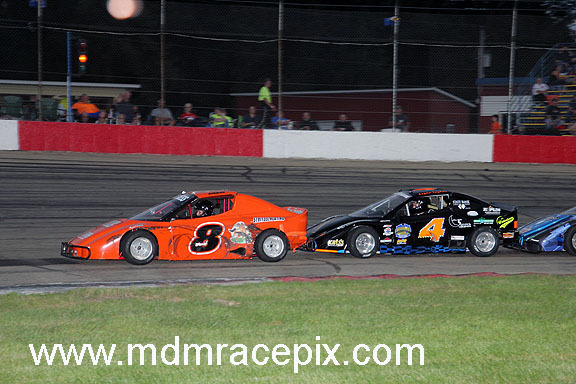 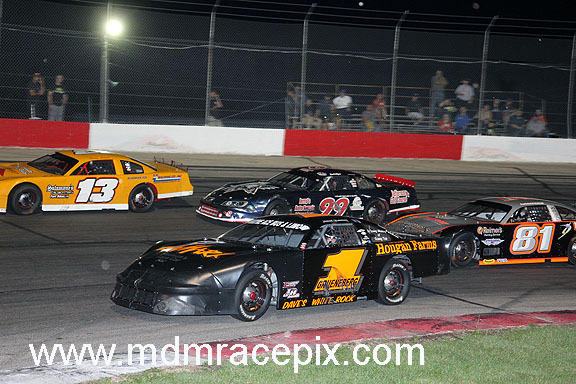 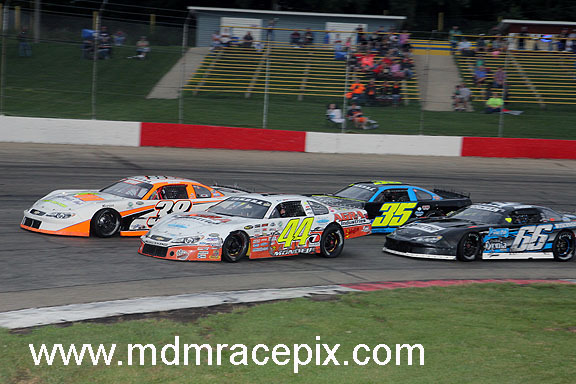 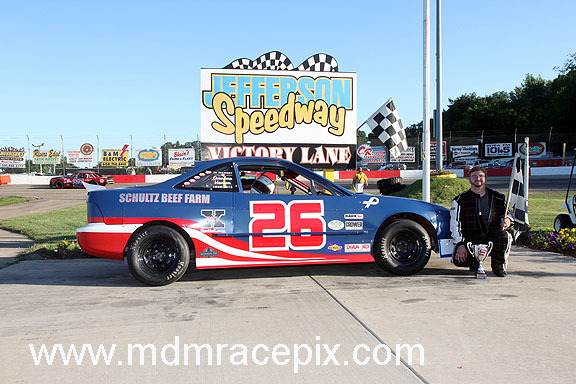 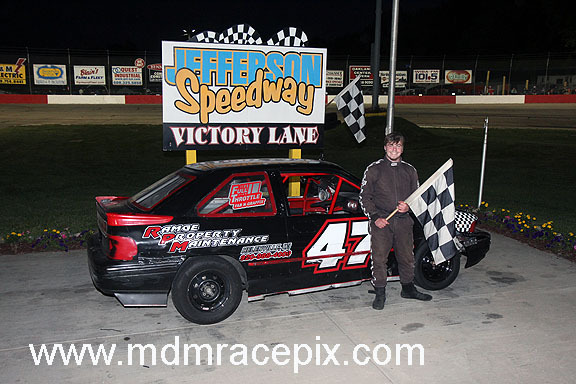 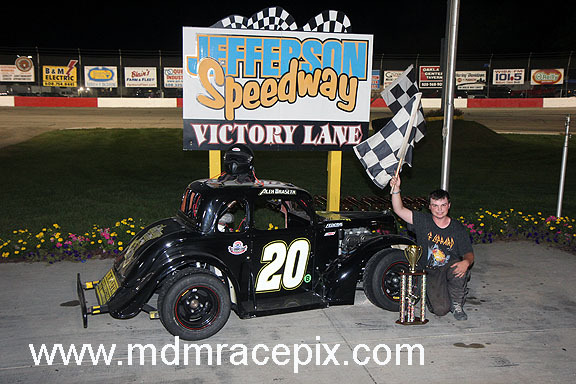 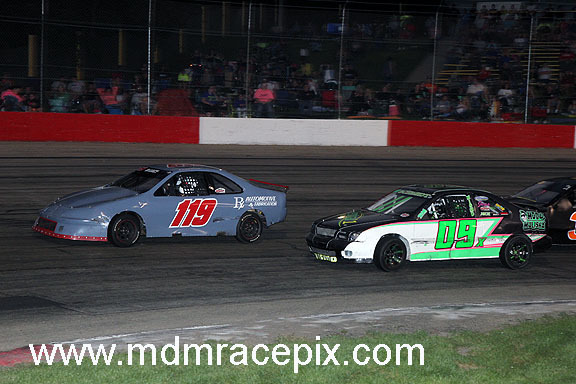 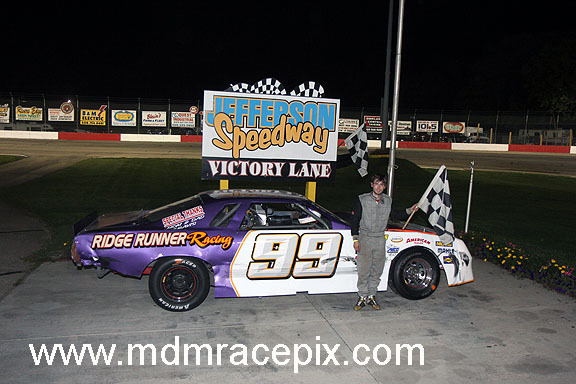 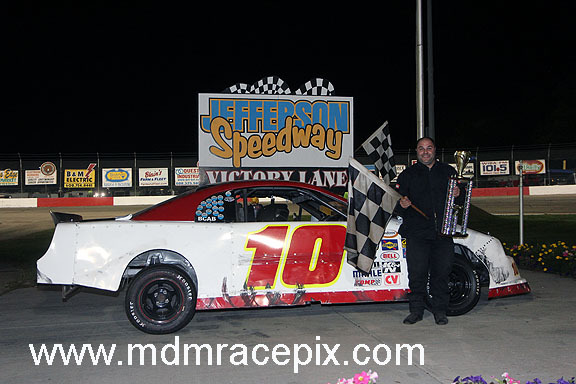 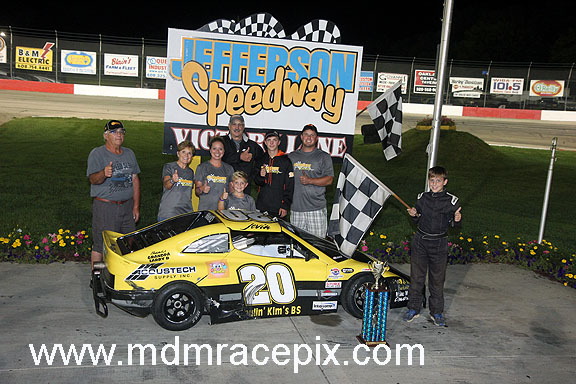 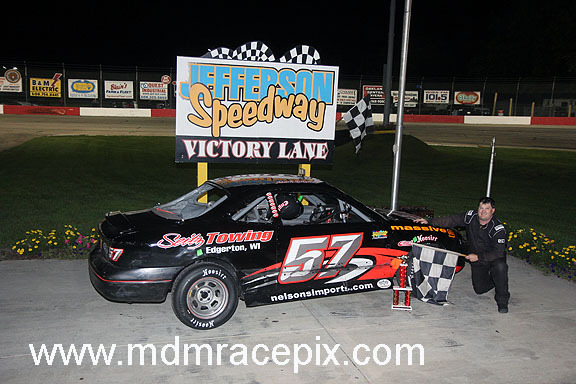 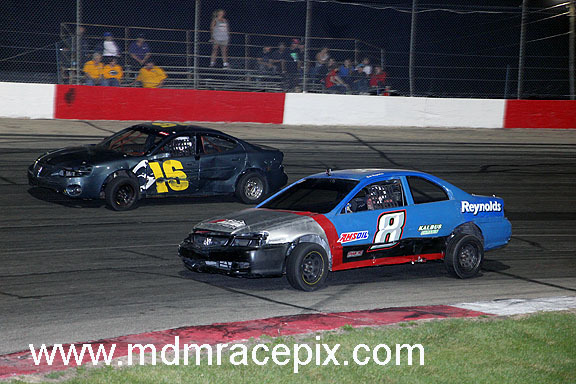 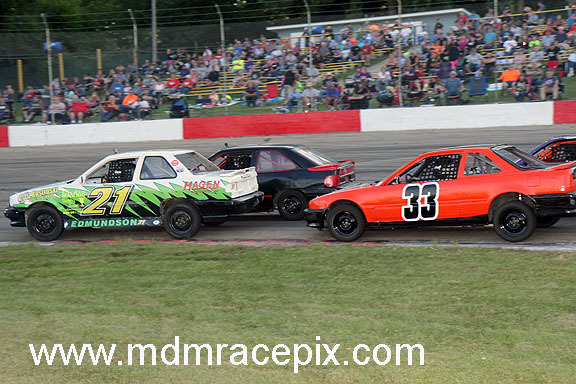 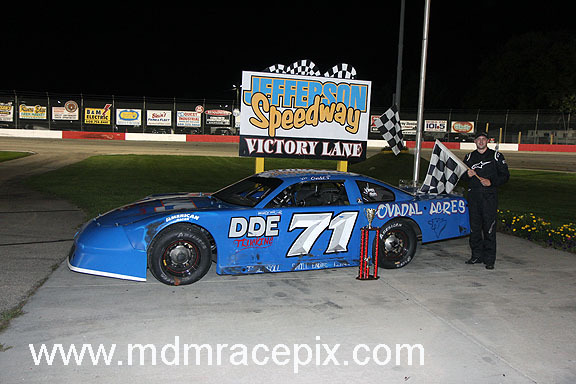 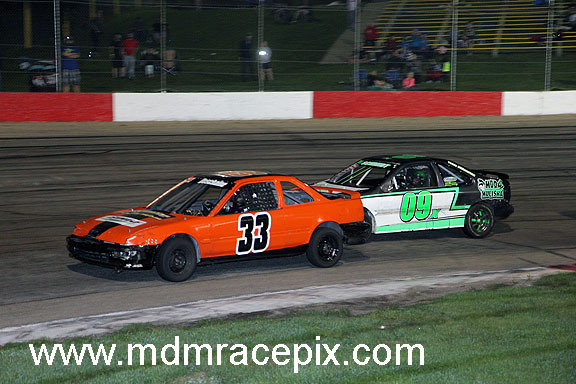 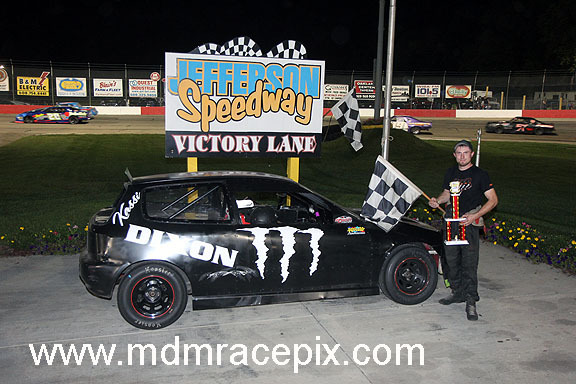 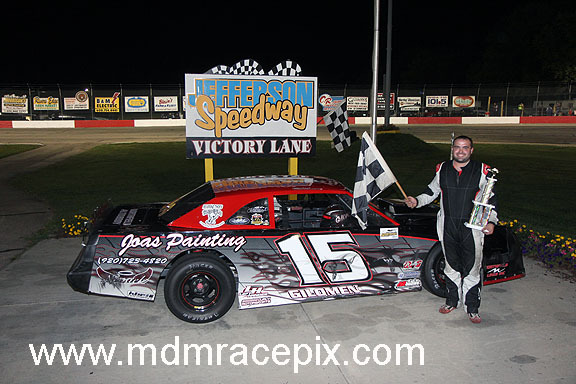 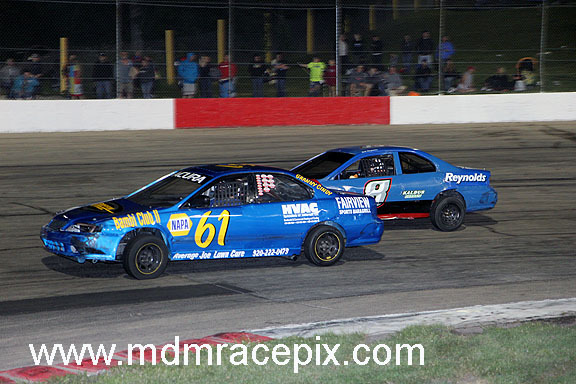 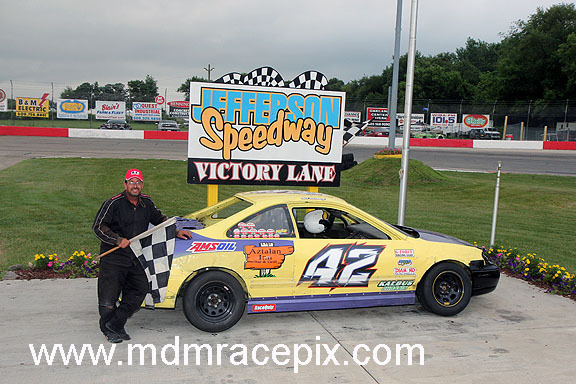 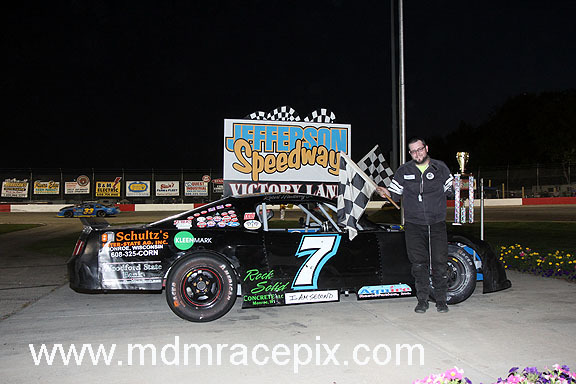 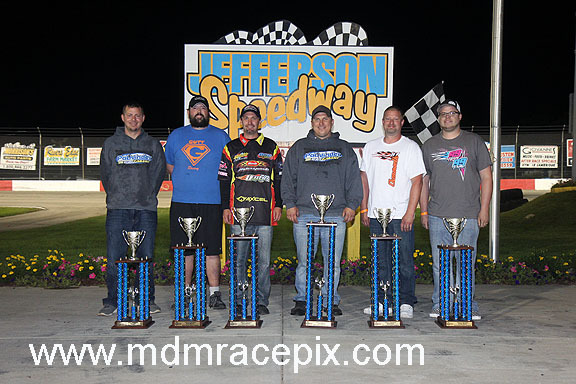 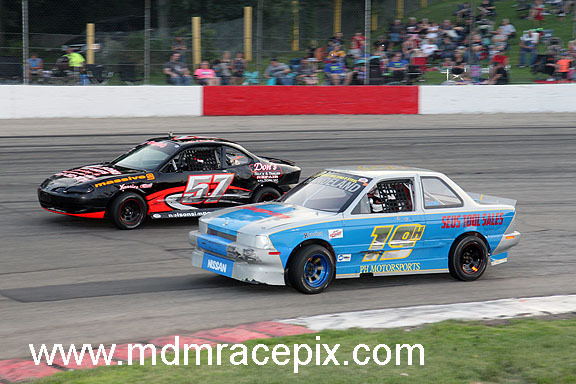 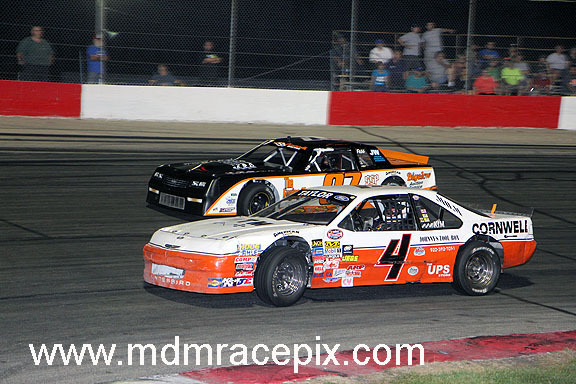 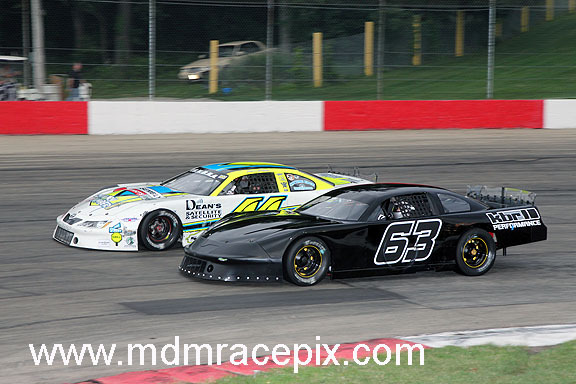 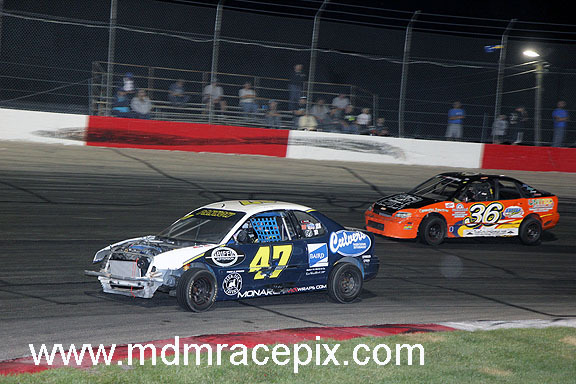 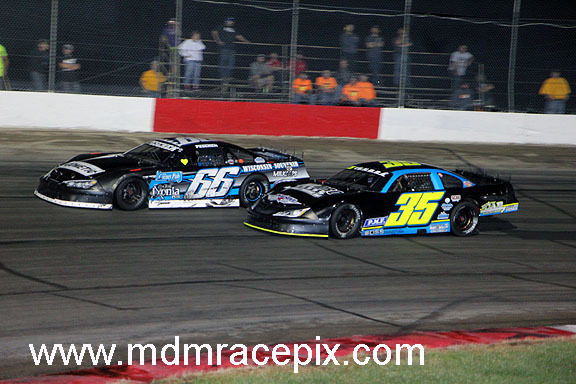 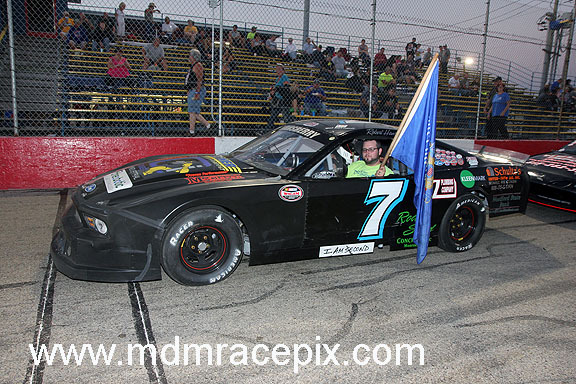 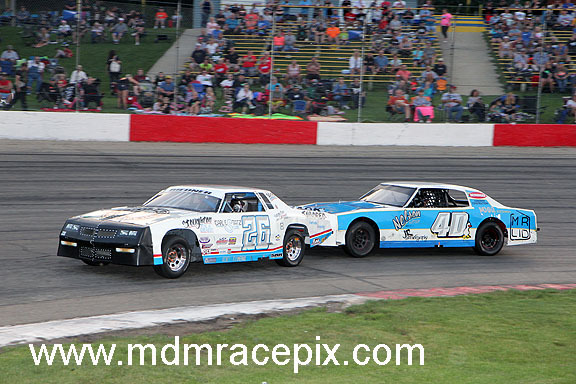 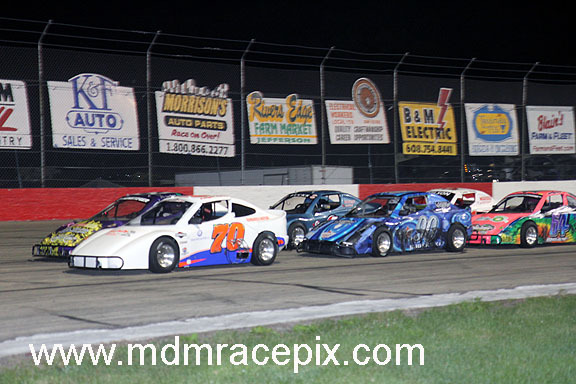 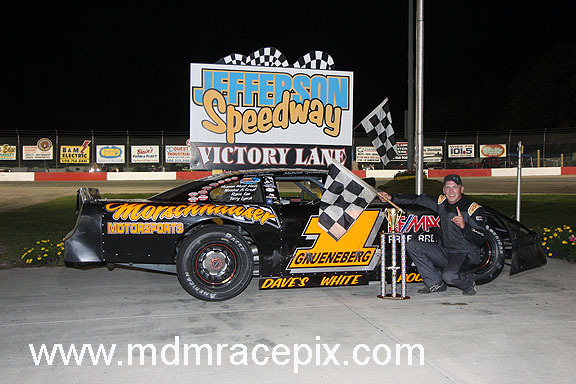 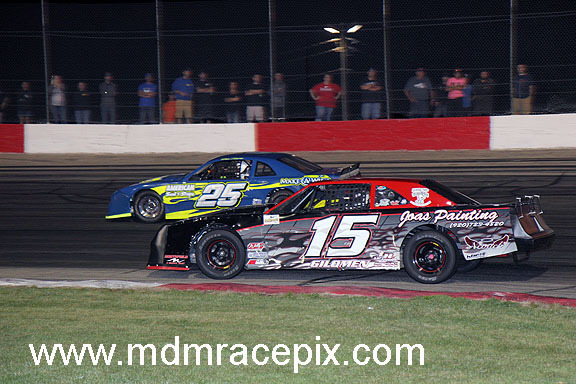 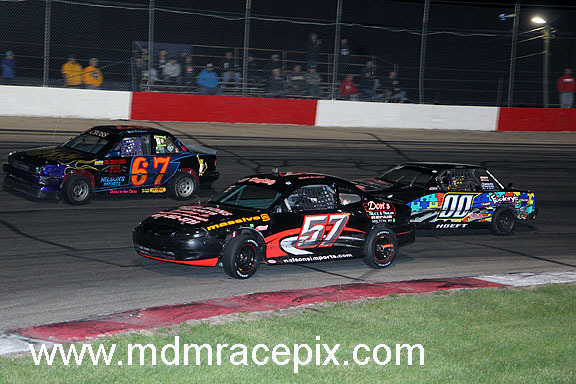 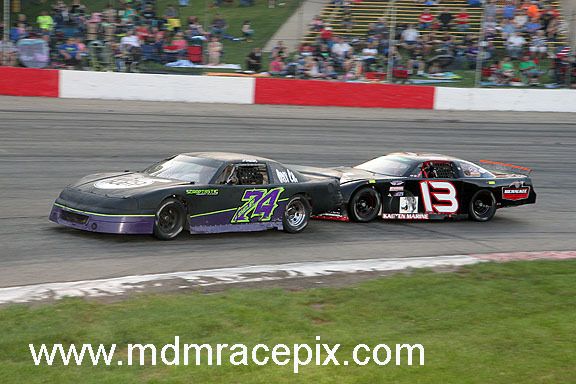 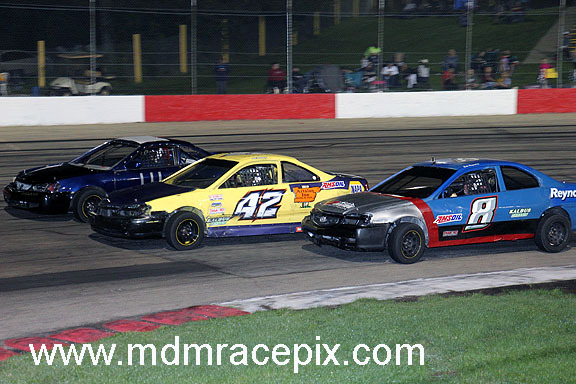 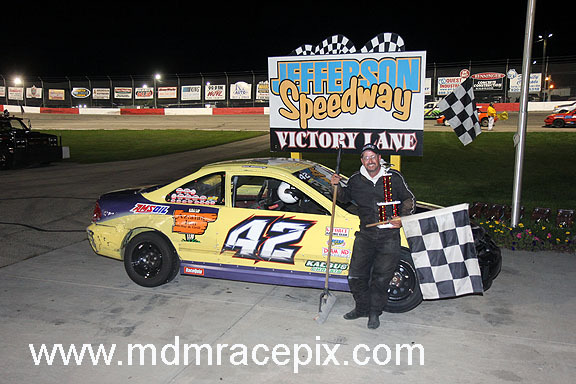 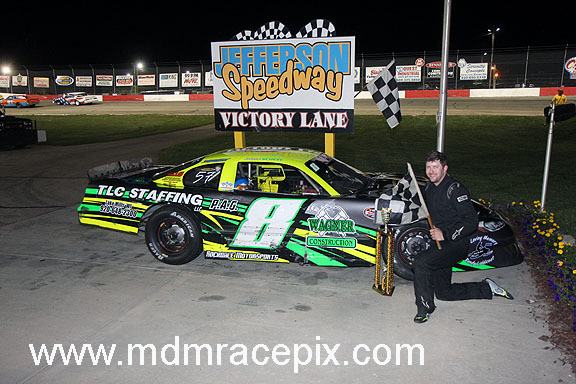 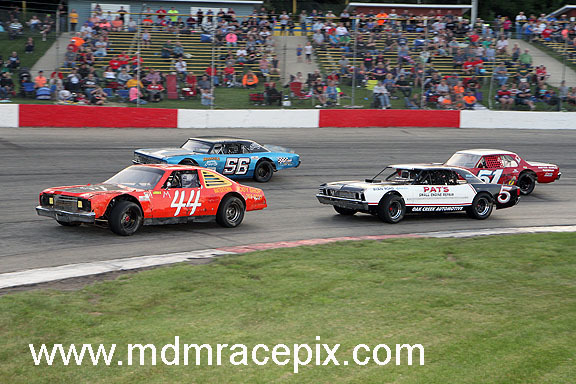 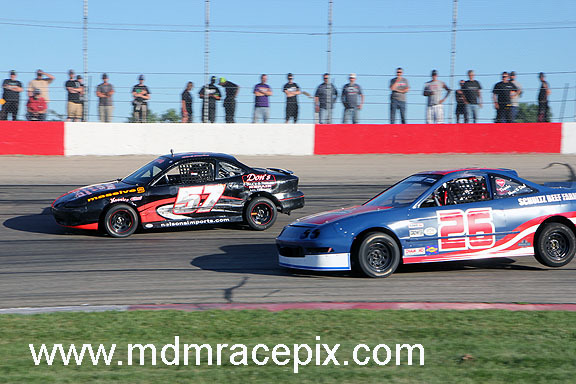 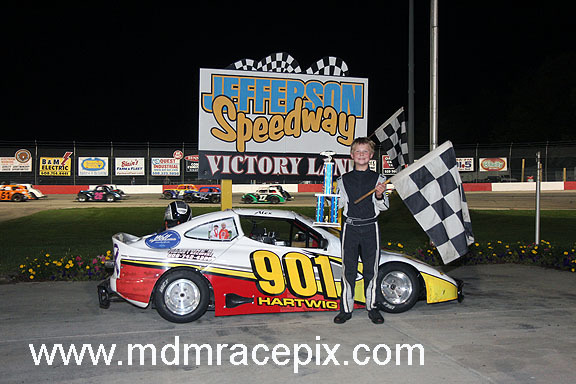 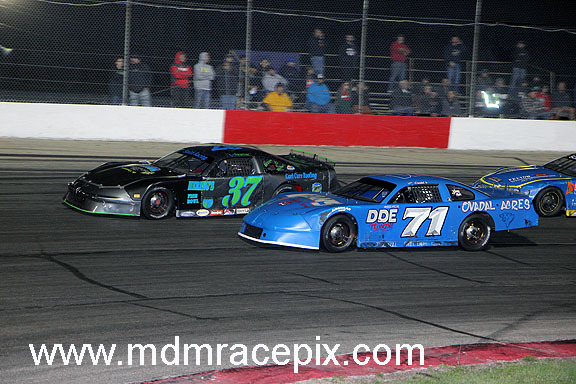 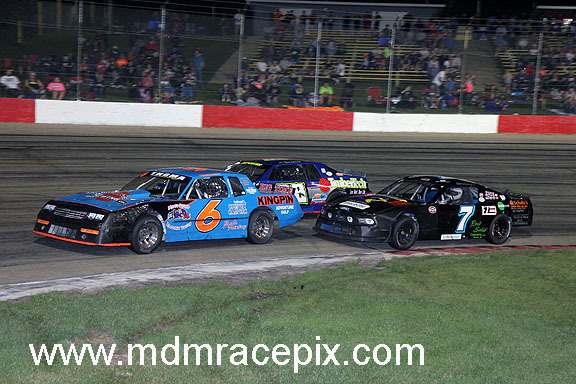 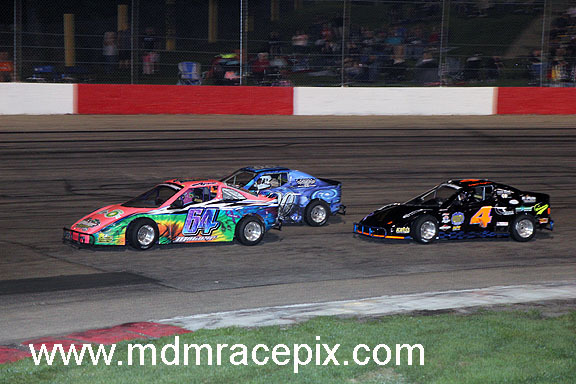 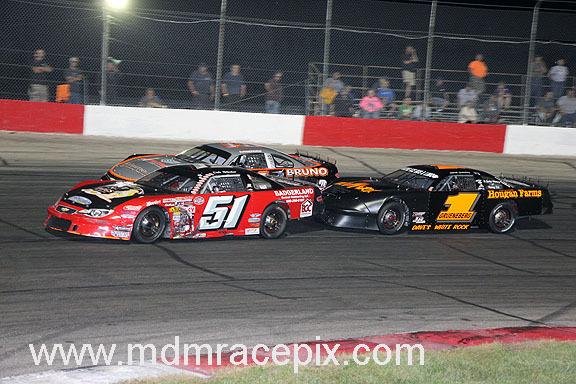 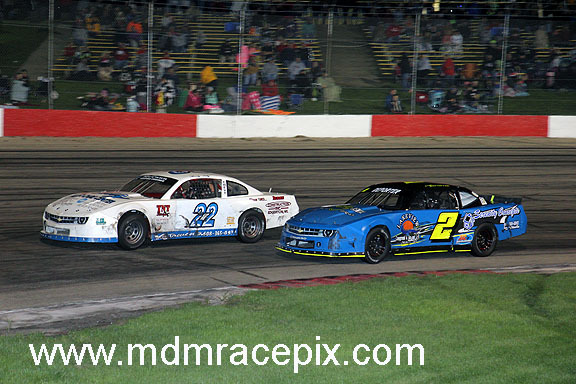 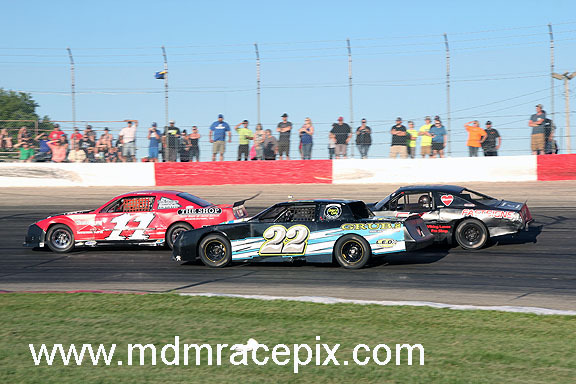 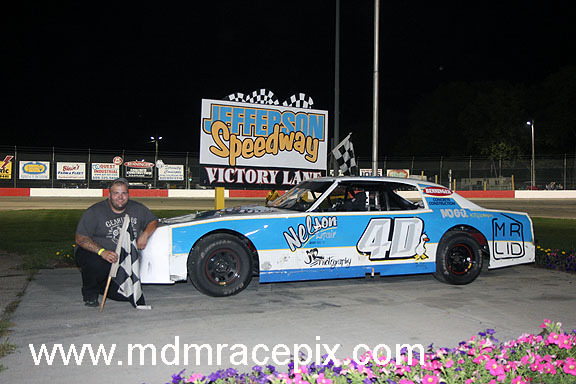 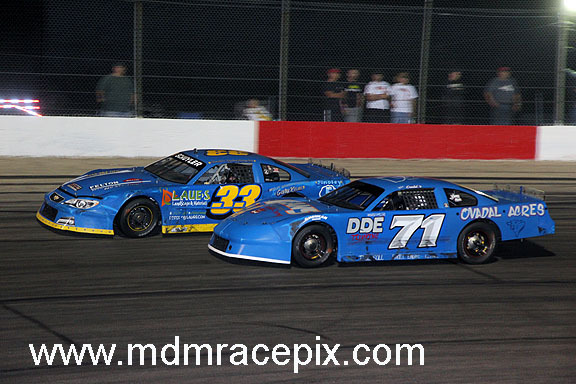 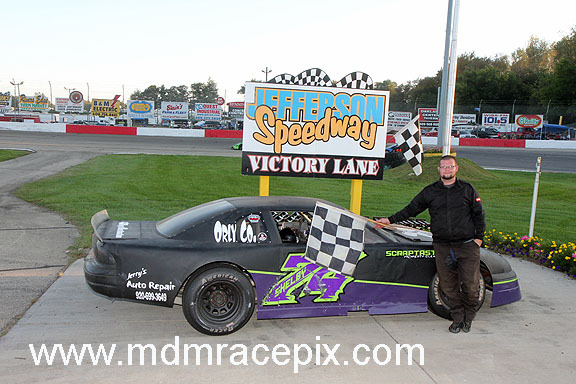 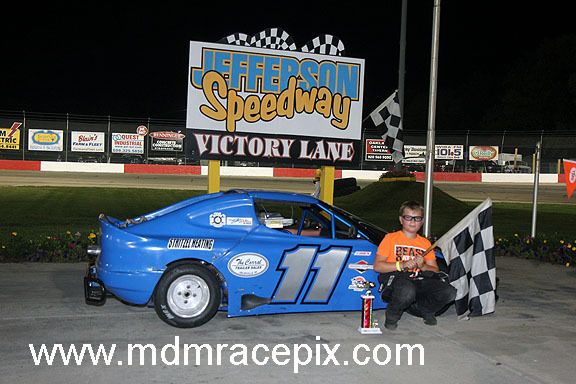 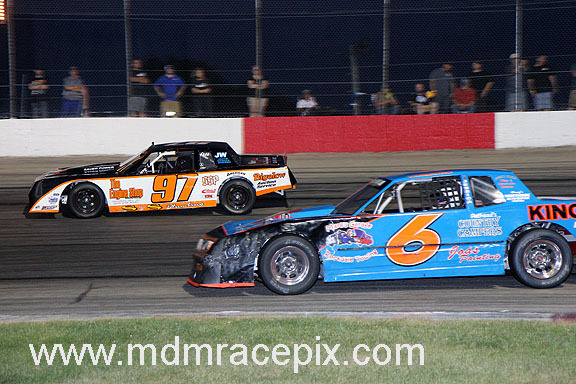 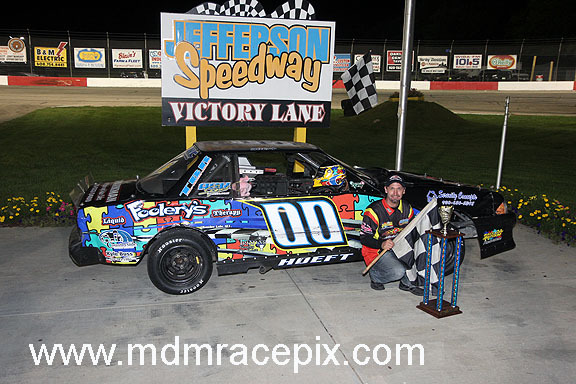 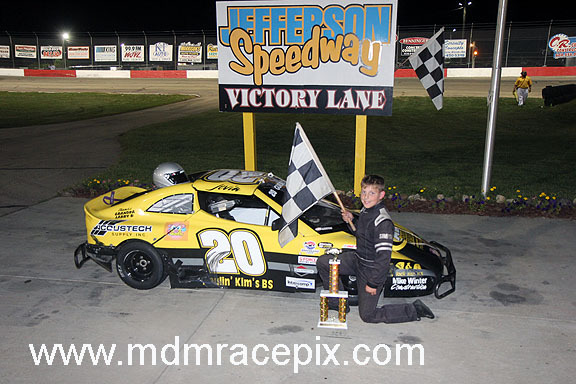 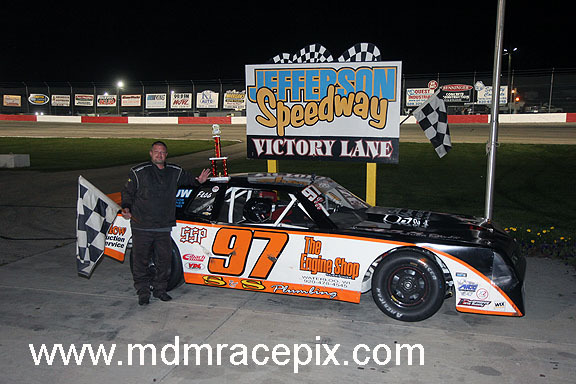 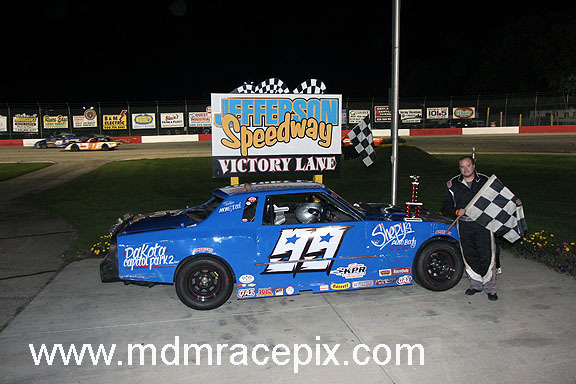 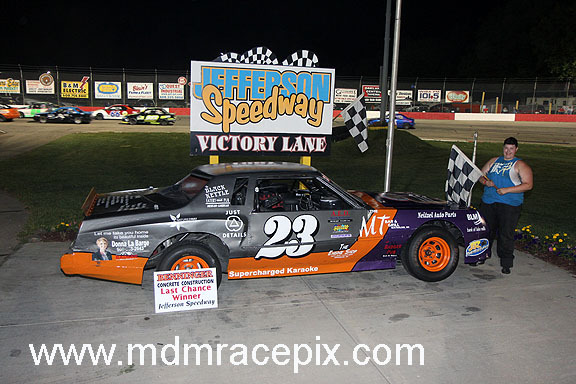 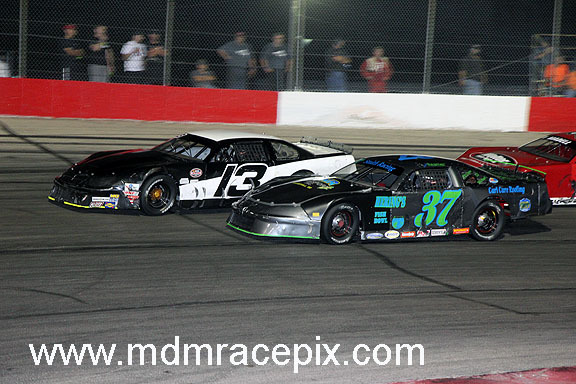 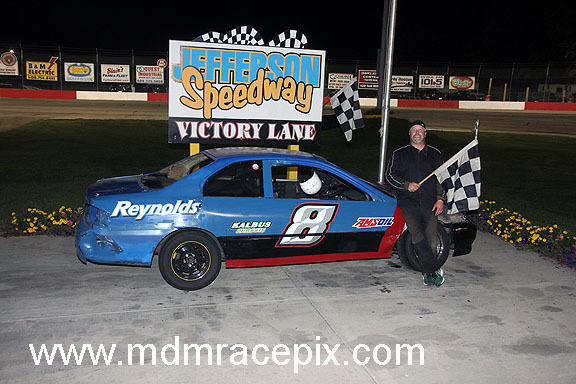 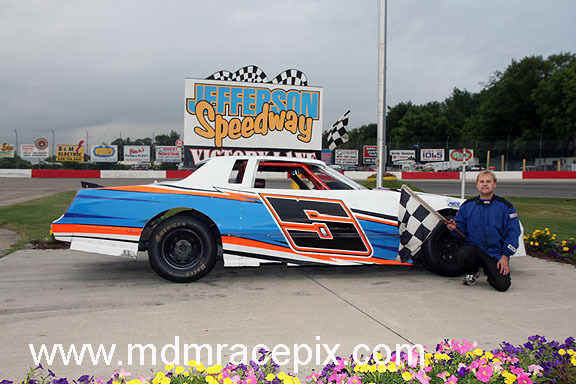 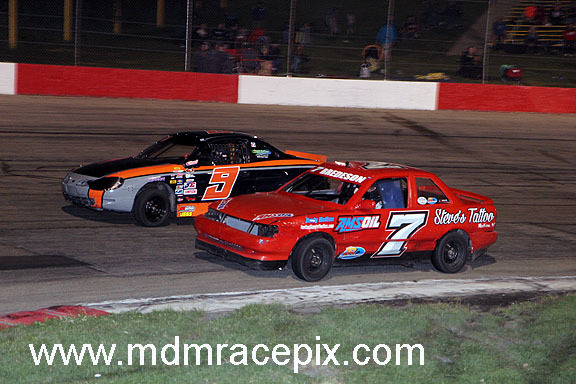 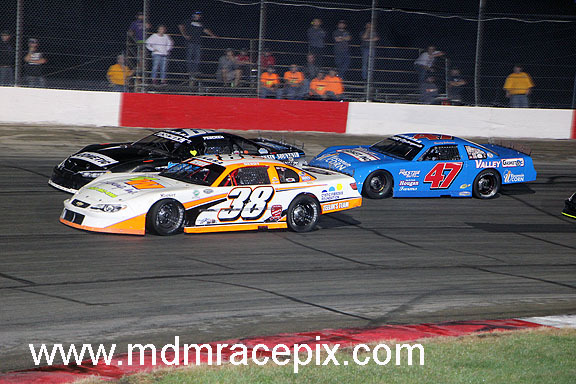 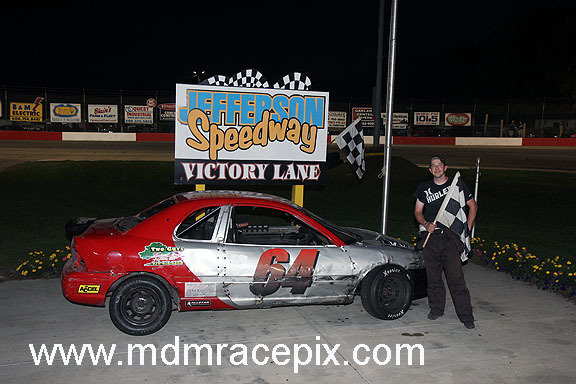 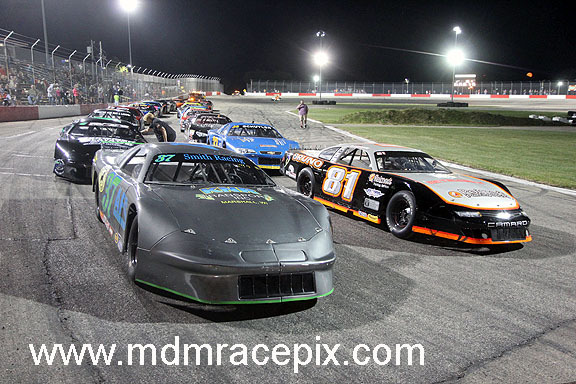 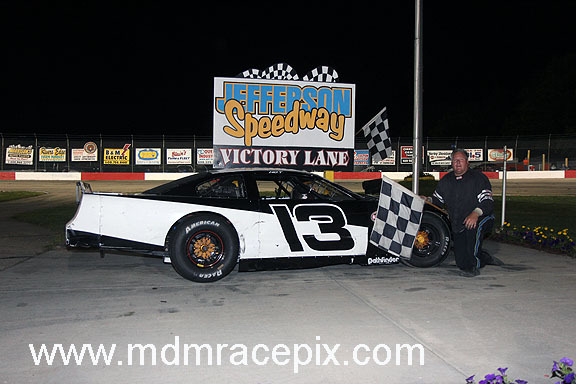 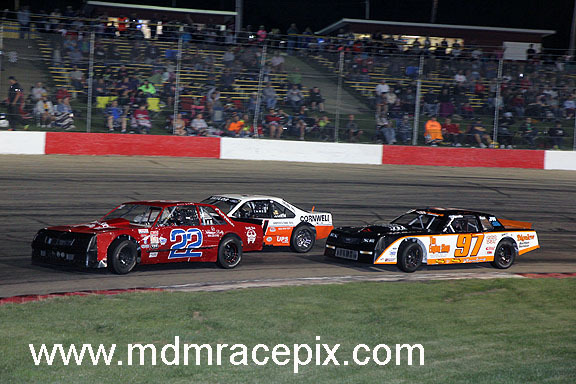 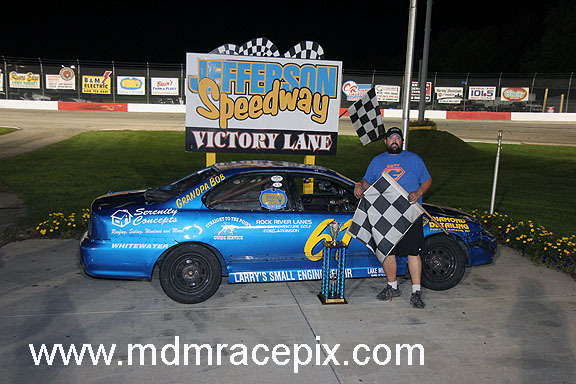 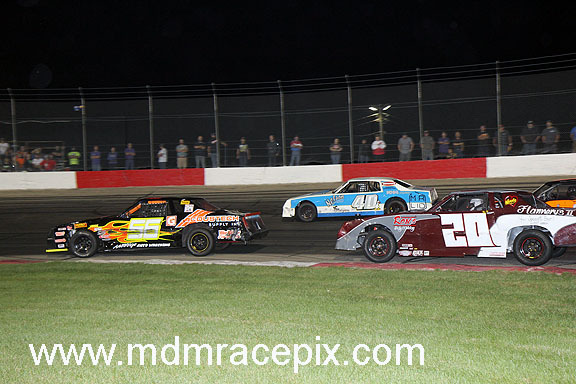 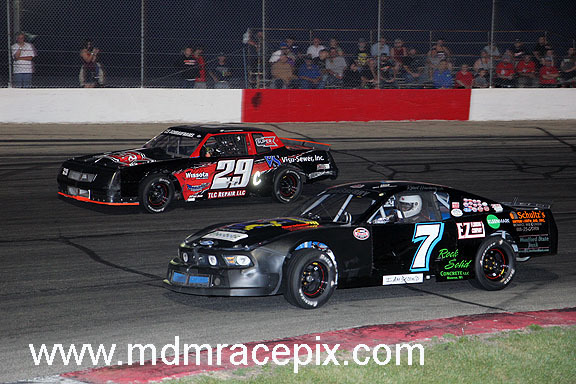 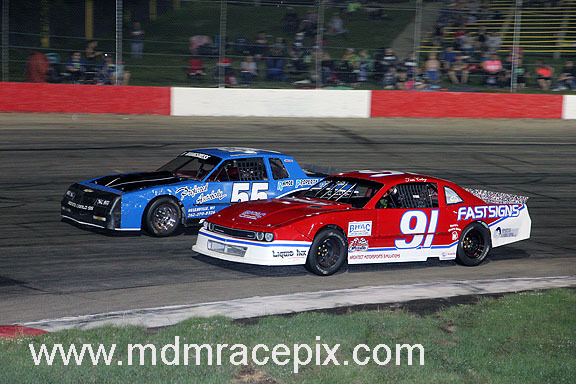 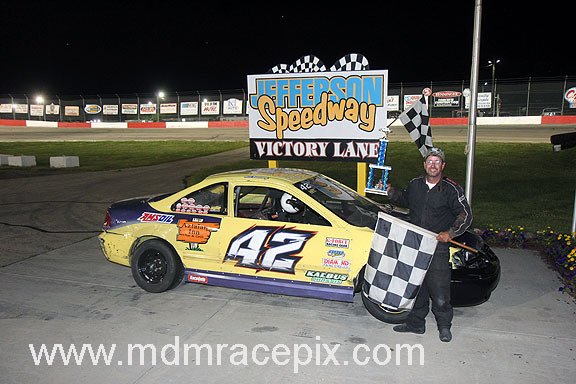 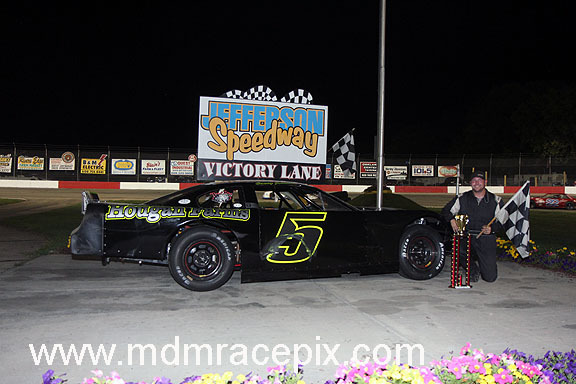 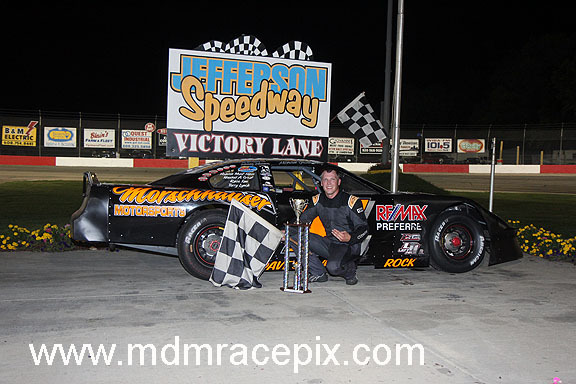 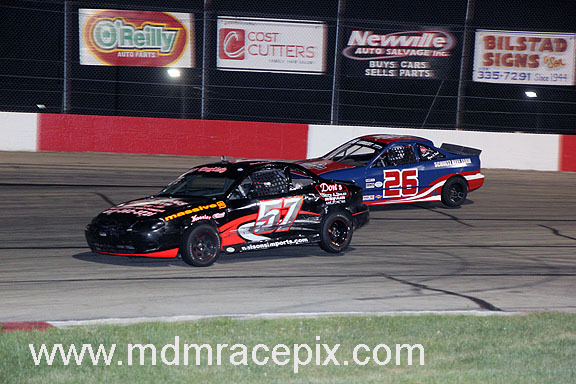 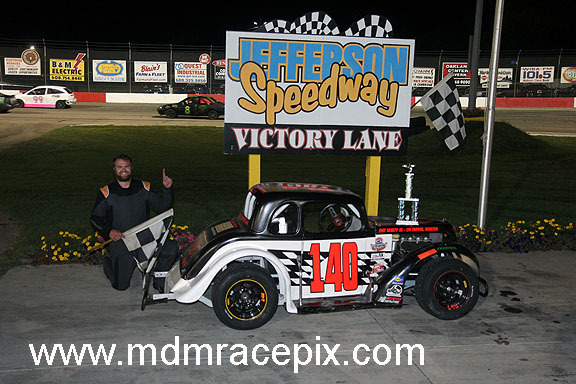 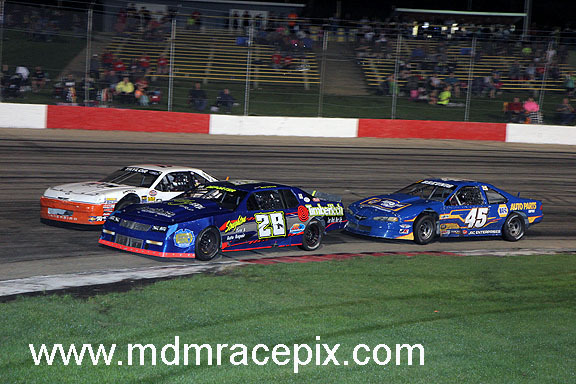 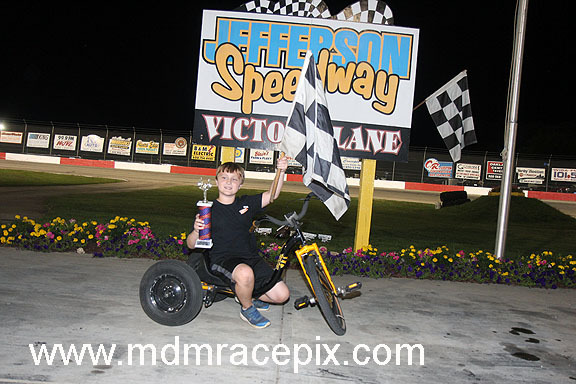 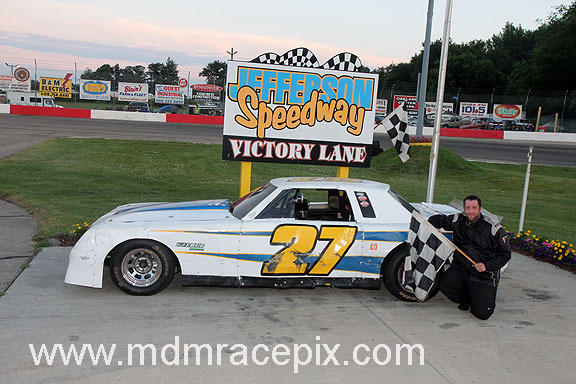 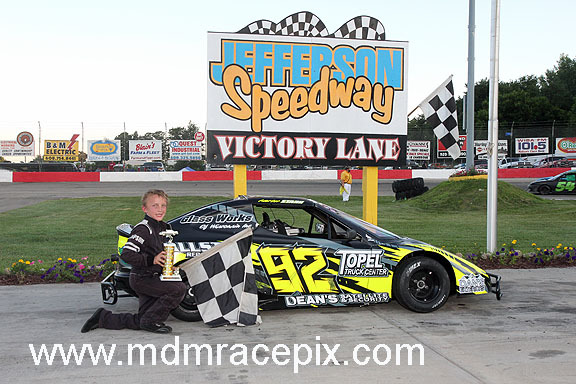 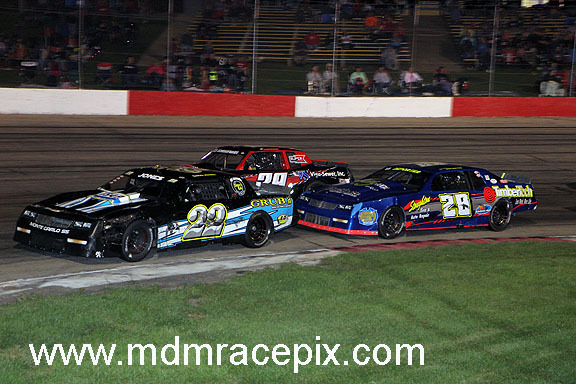 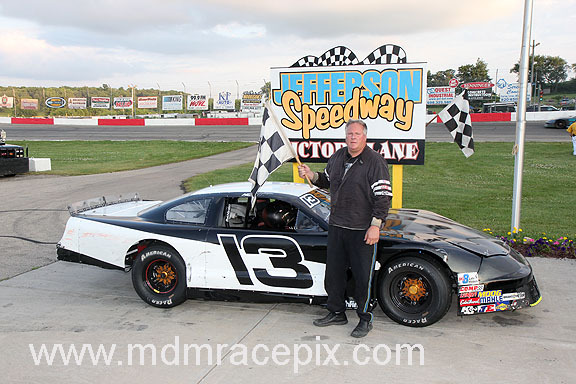 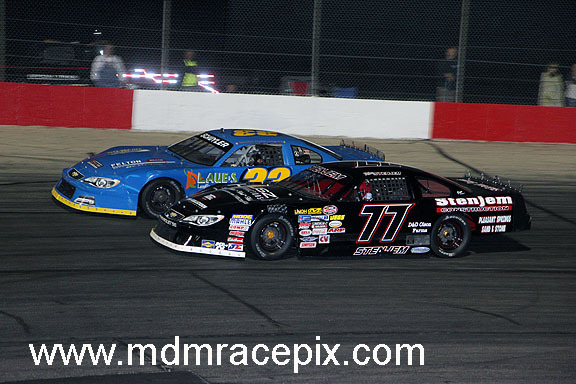 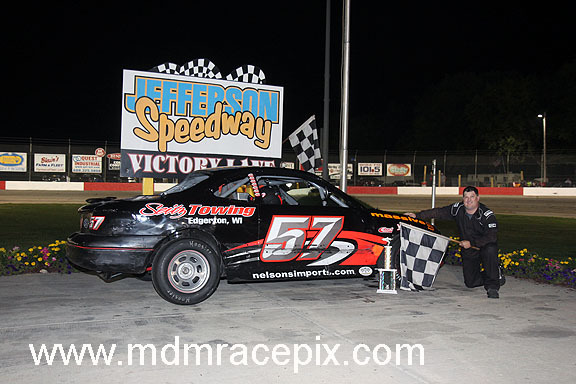 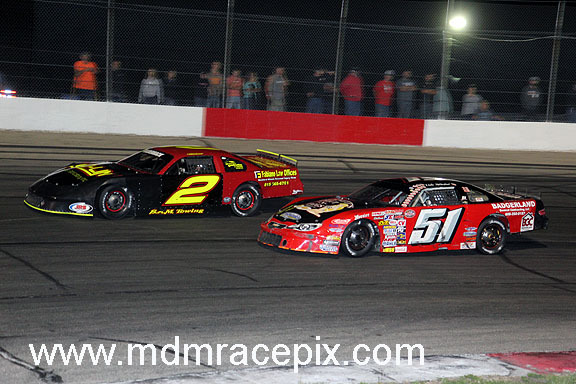 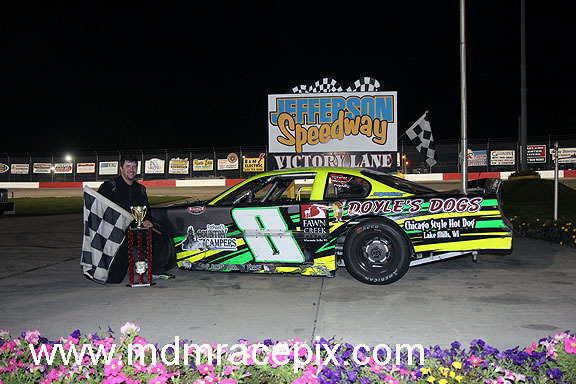 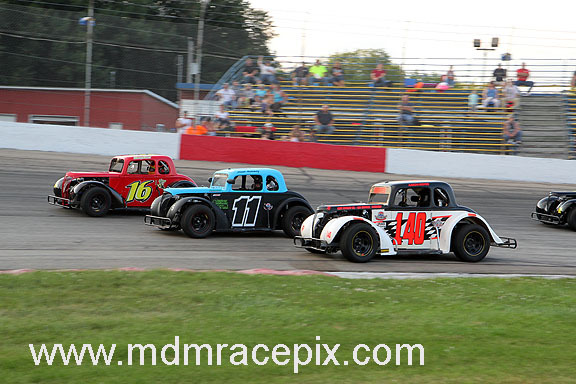 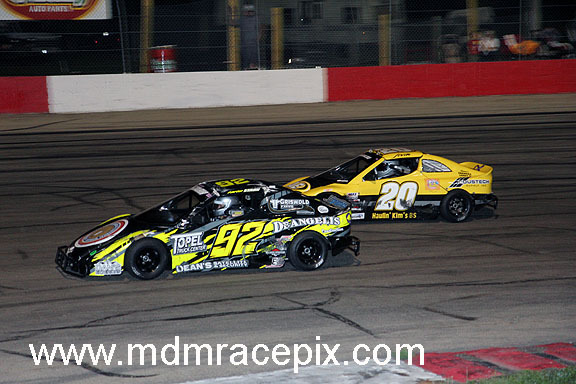 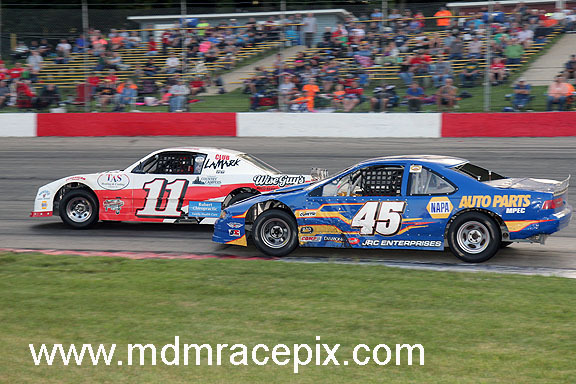 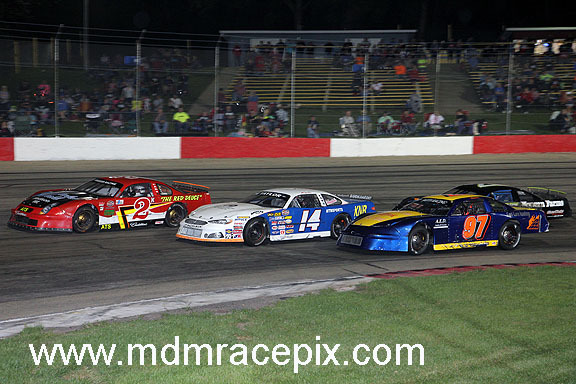 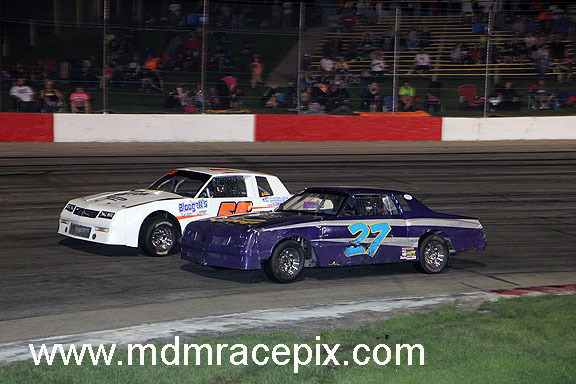 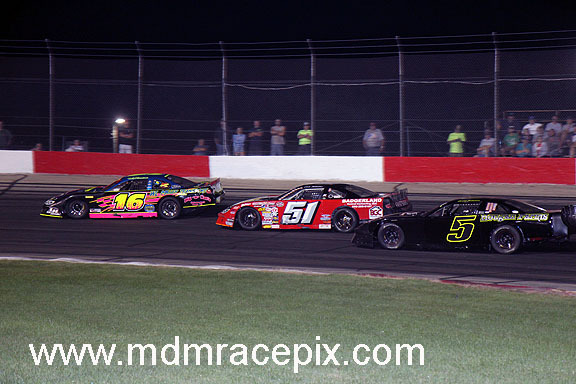 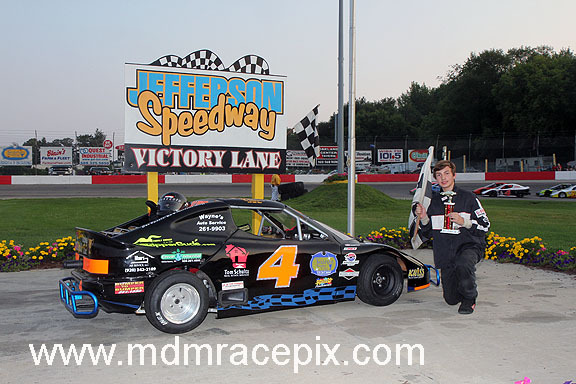 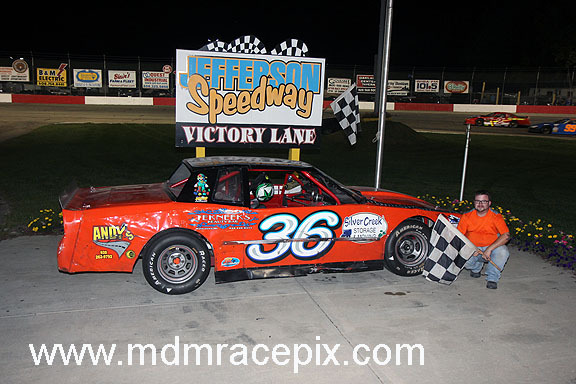 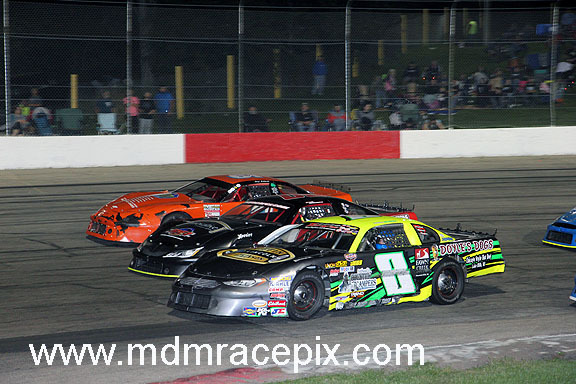 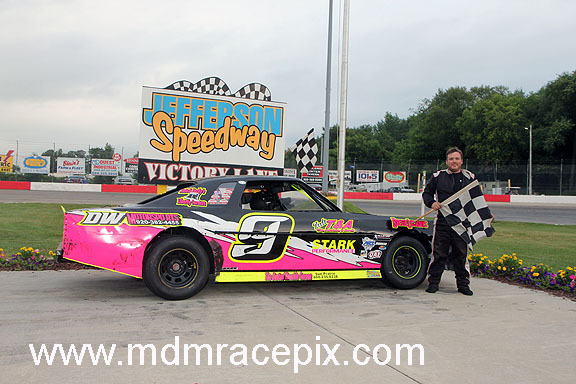 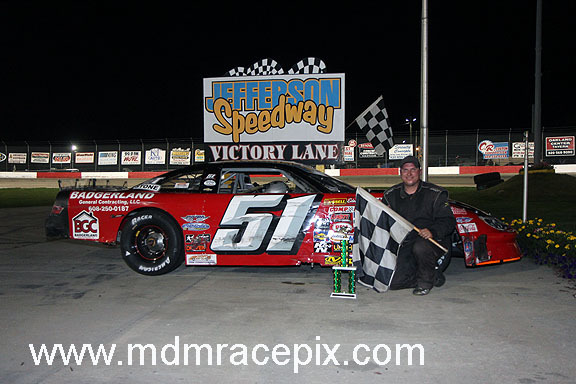 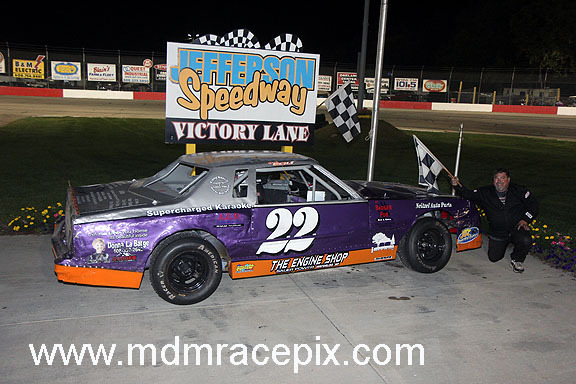 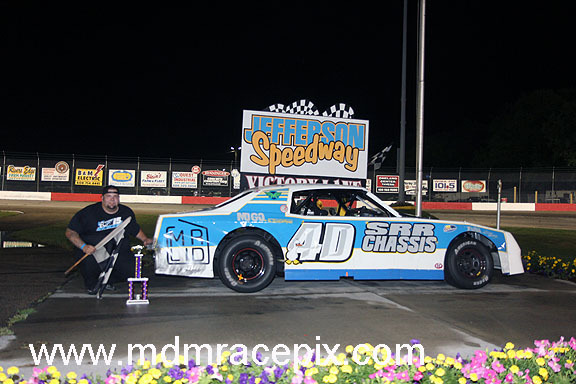 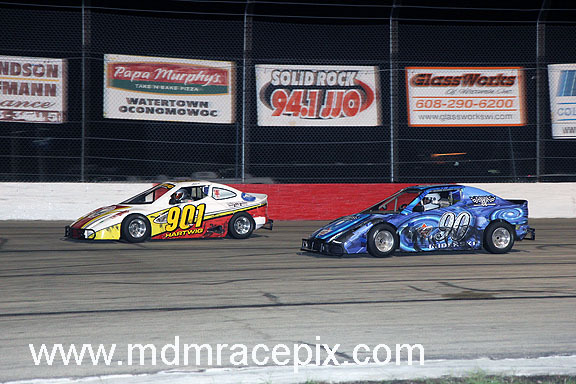 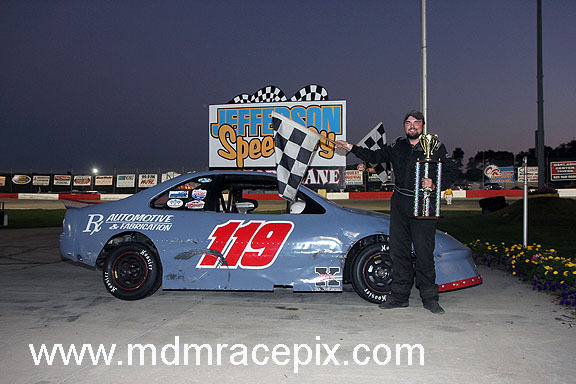 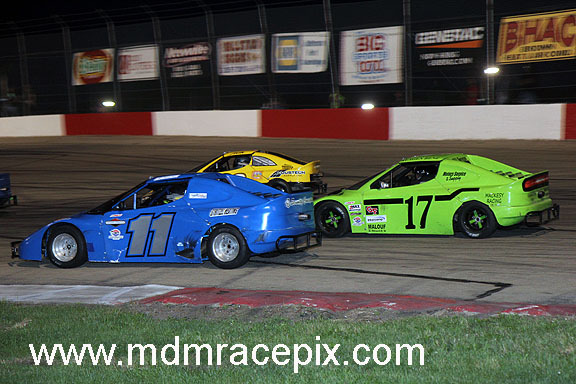 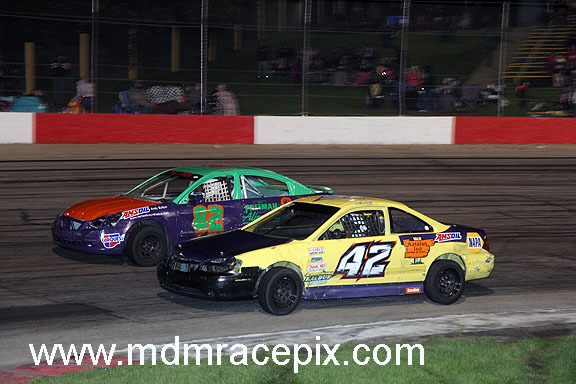 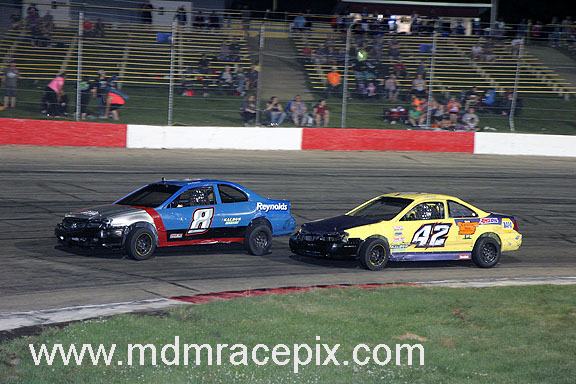 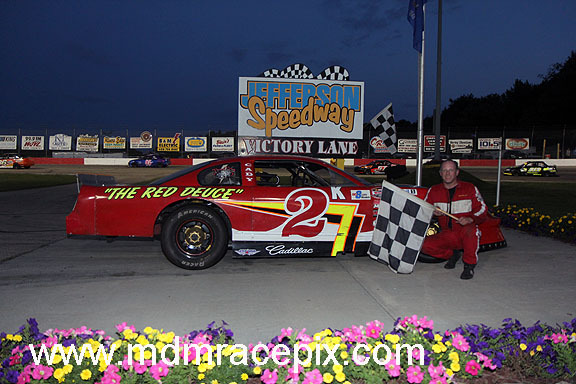 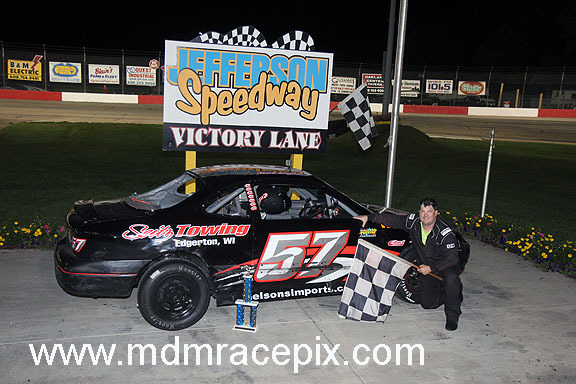 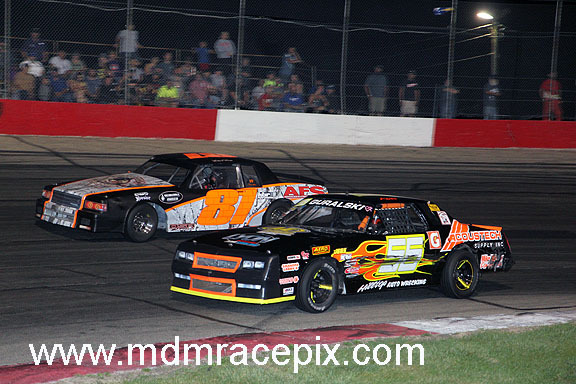 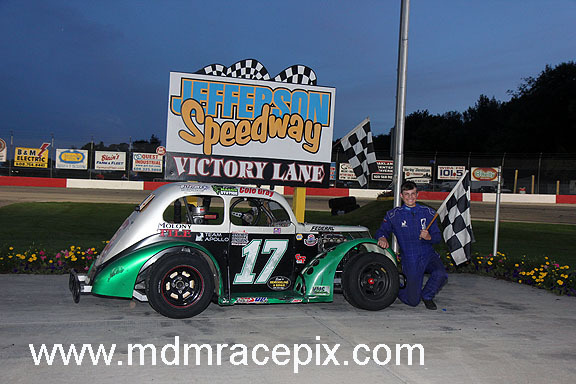 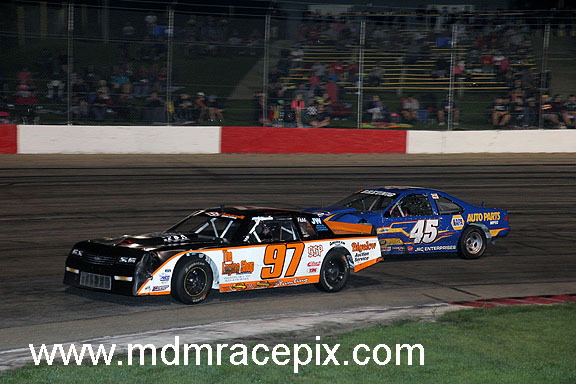 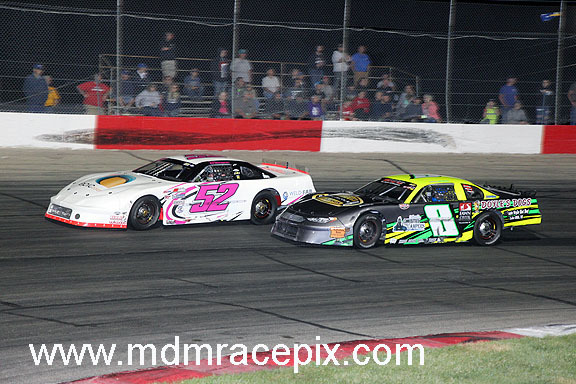 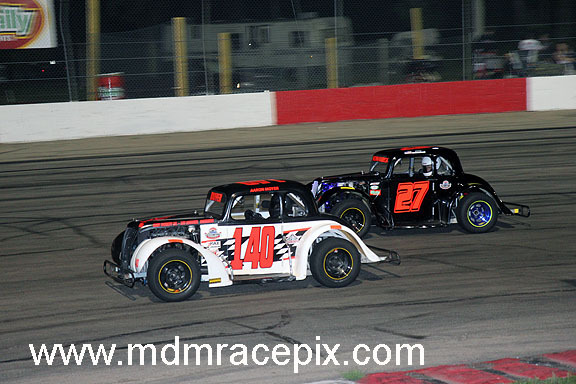 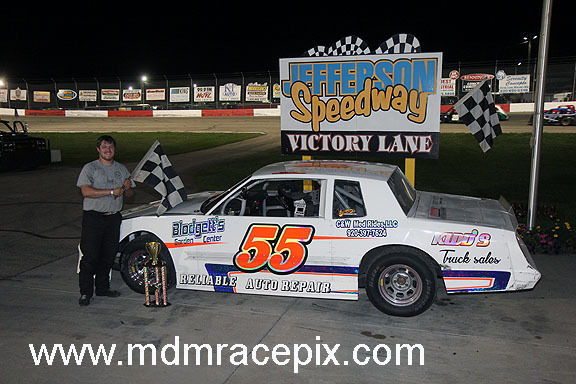 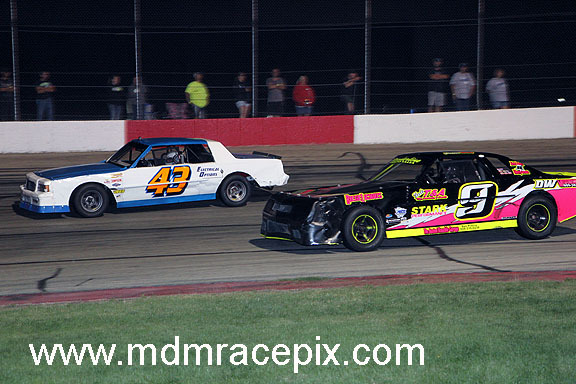 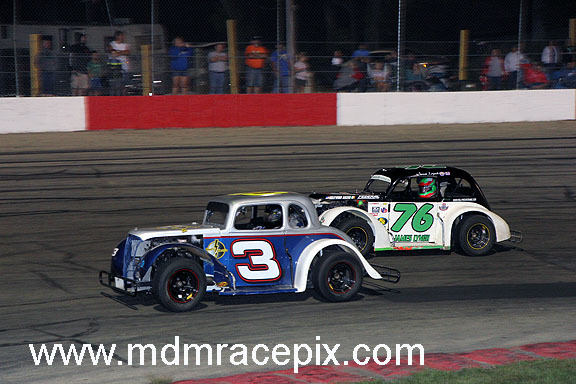 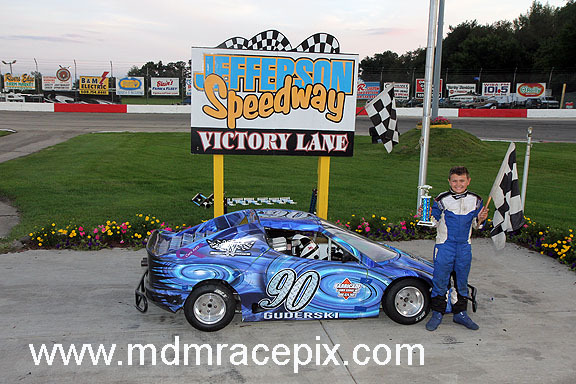 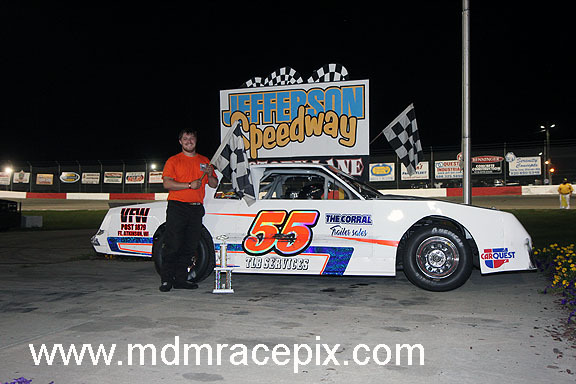 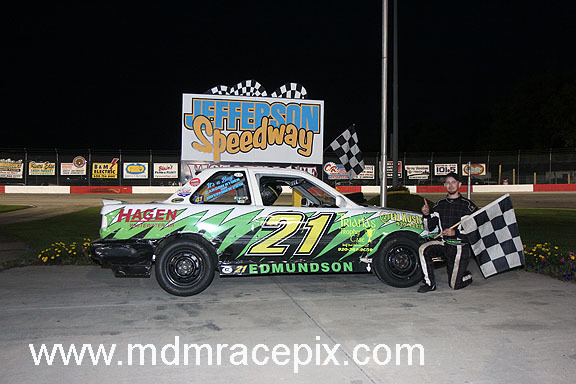 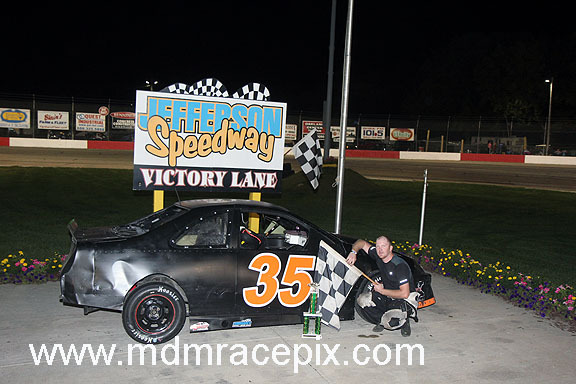 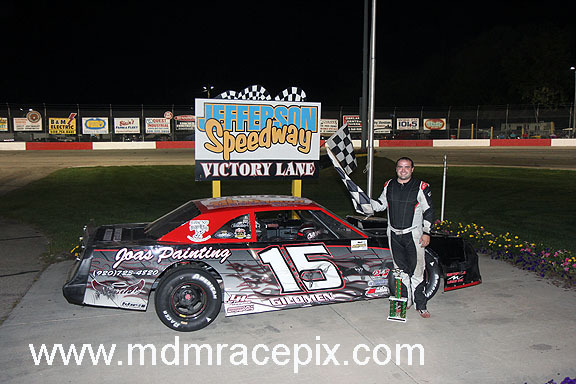 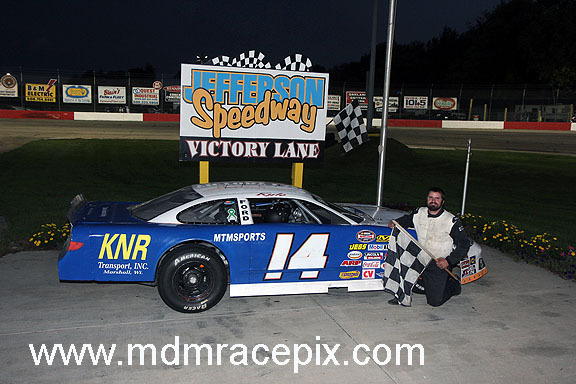 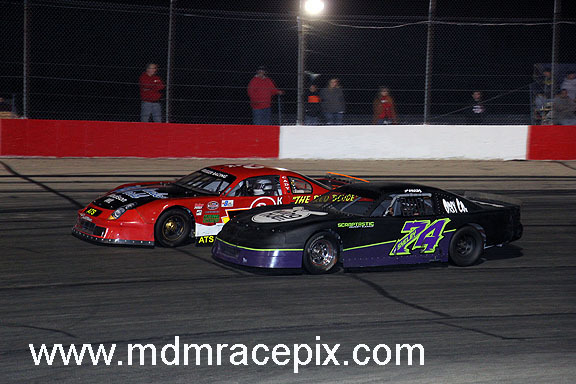 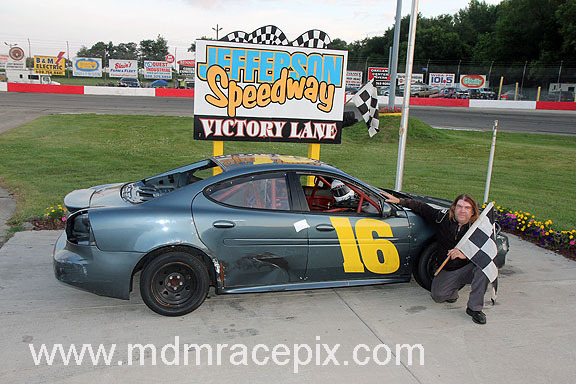 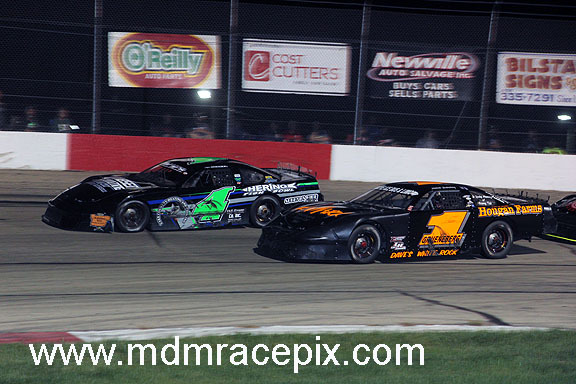 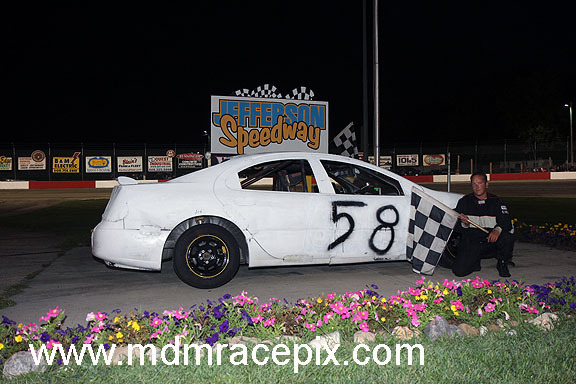 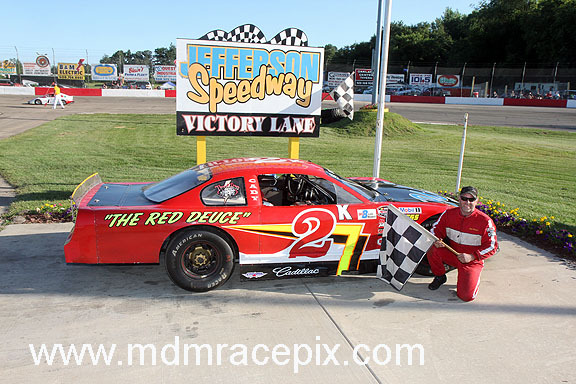 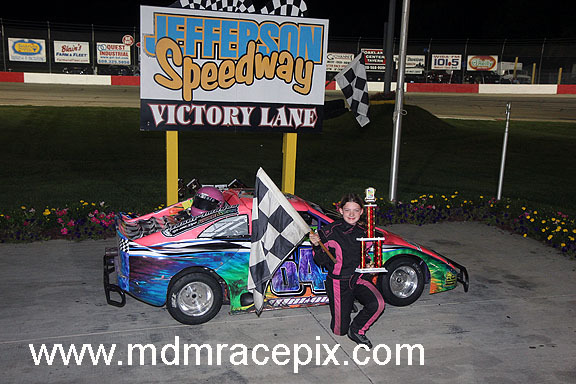 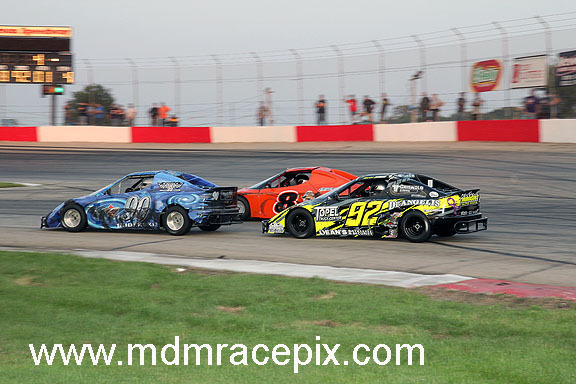 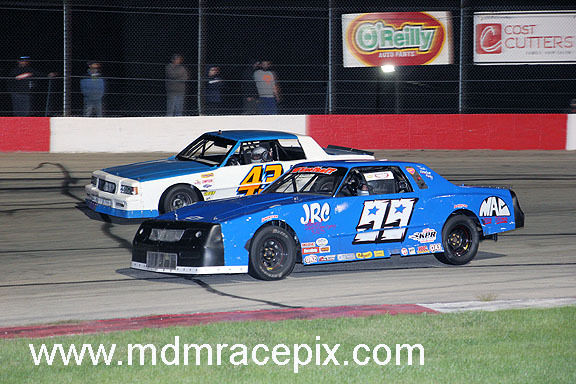 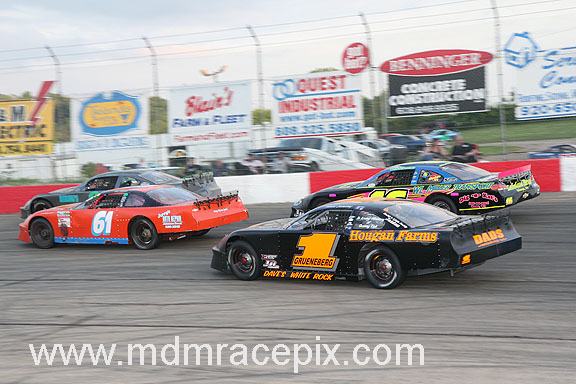 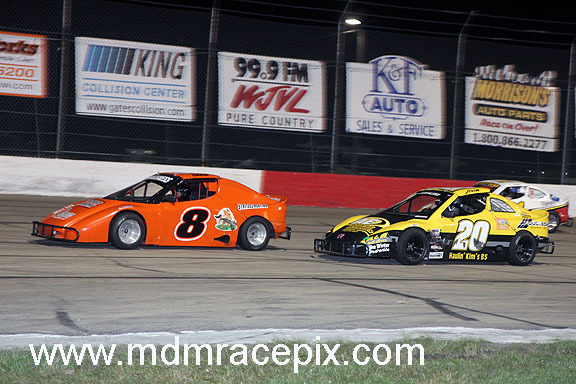 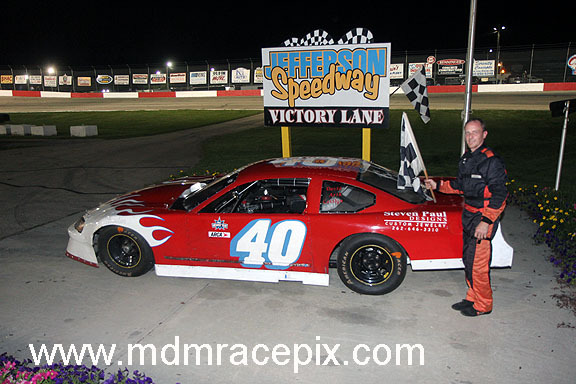 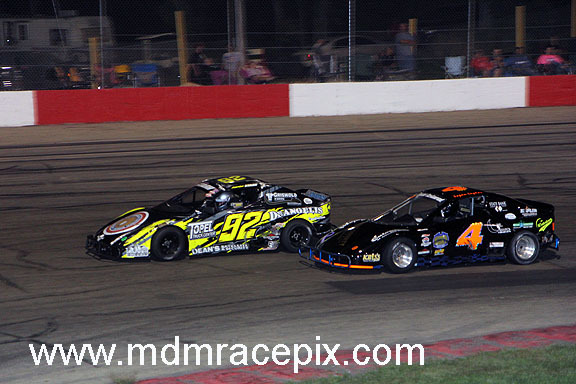 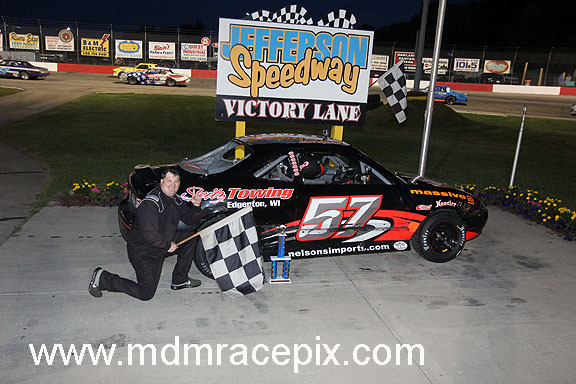 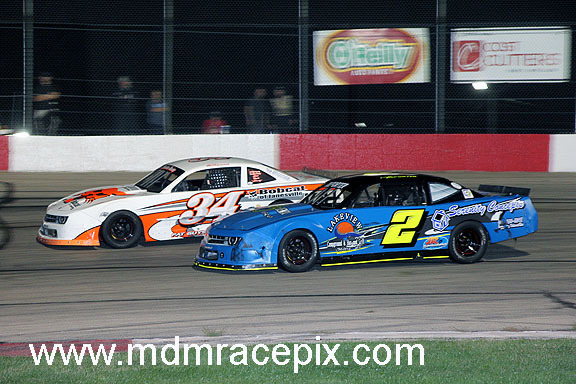 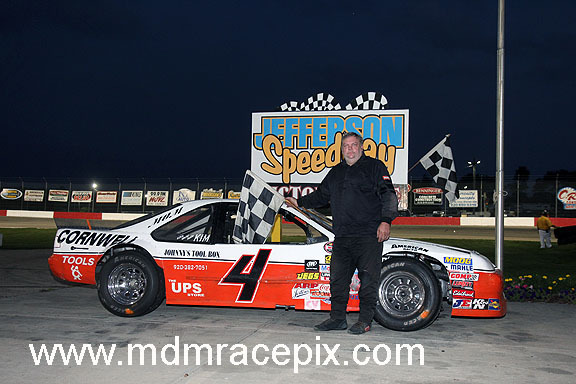 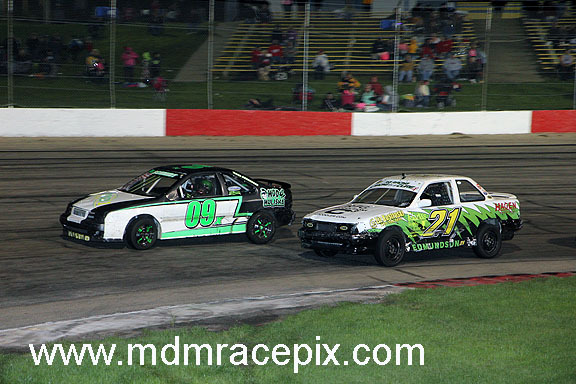 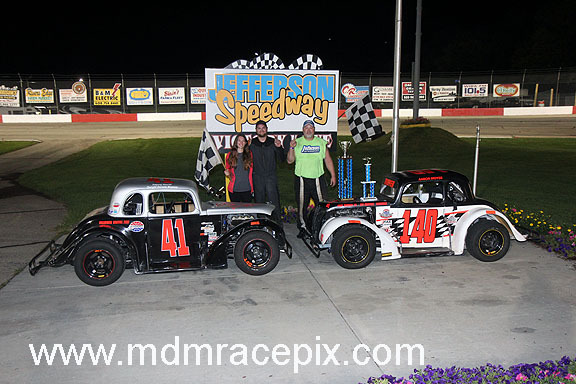 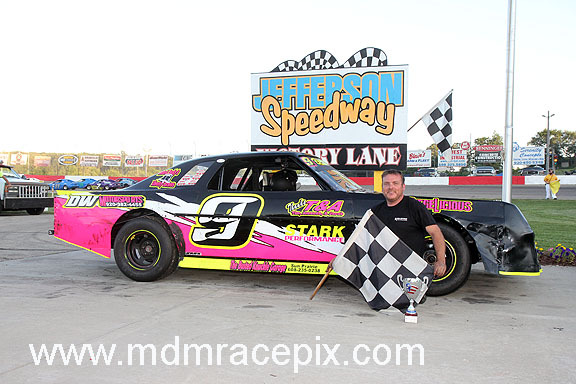 In addition to the season points chase battles, the Badgerland Challenge Series battles were settled as the best Late Model and Sportsman drivers from Jefferson Speedway and Madison International Speedway went head to head. 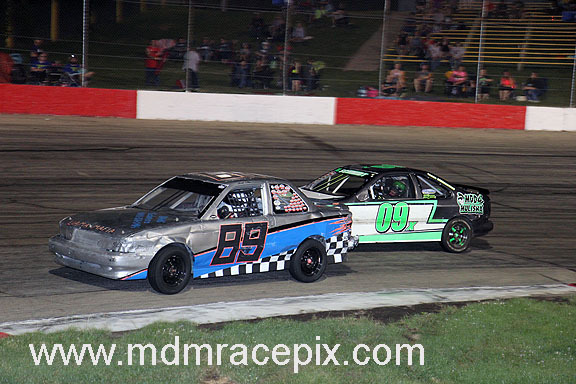 CAMBRIDGE, WI (Saturday, August 18, 2018) The points races in several divisions at Wisconsin’s Action Track remain extremely tight as we head down the stretch in the 2018 racing season. 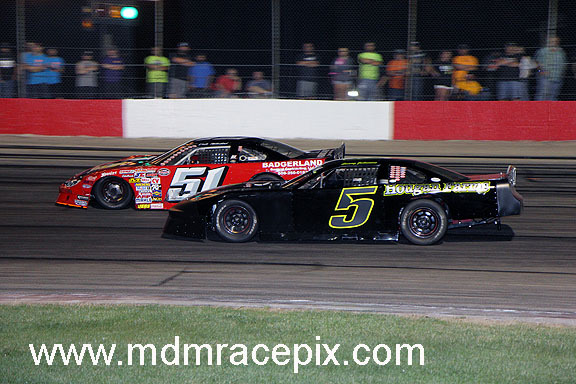 This holds true in the Late Model division as well with four time champ, Dale Nottestad, hot on the heels of Michael Grueneberg. 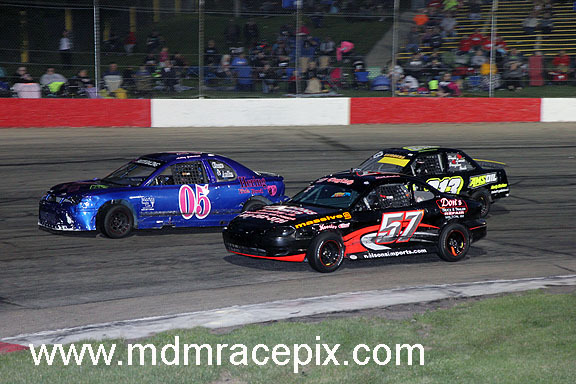 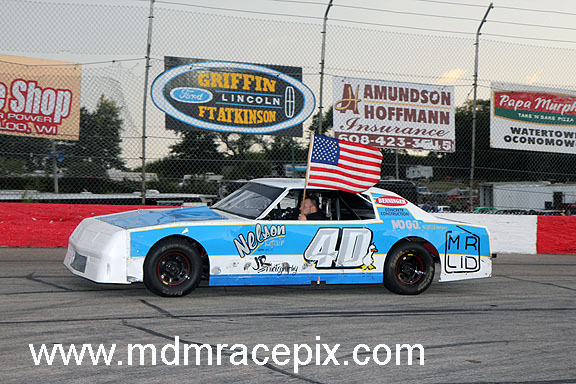 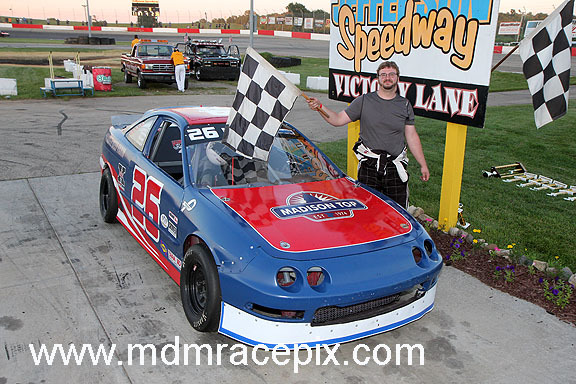 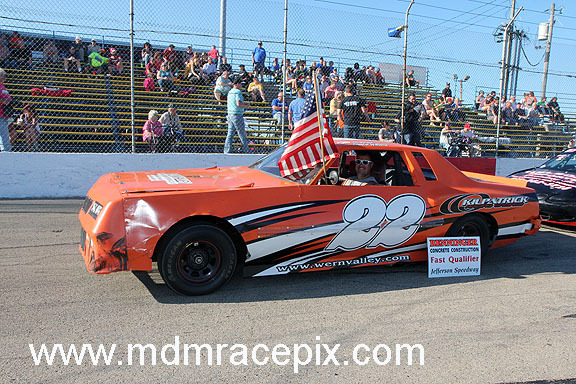 Grueneberg managed to extend his advantage in the standings slightly on Saturday, as he laid claim to the Cost Cutters 50 lap feature event. 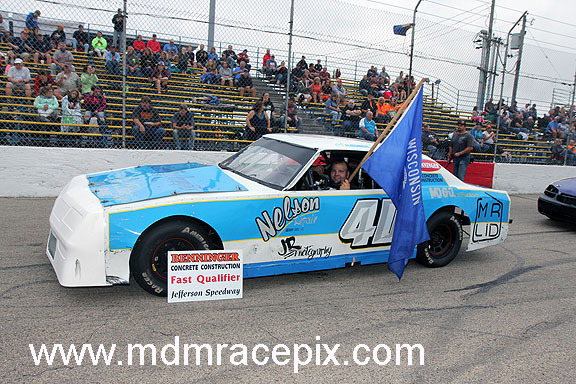 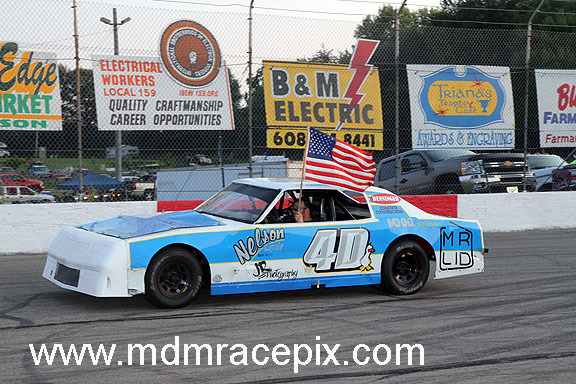 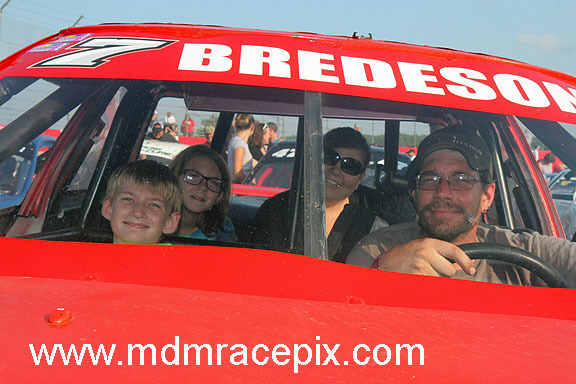 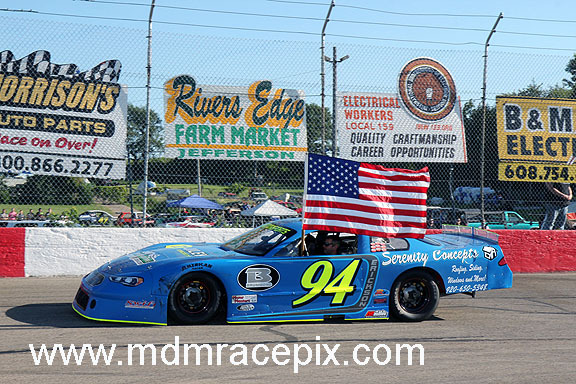 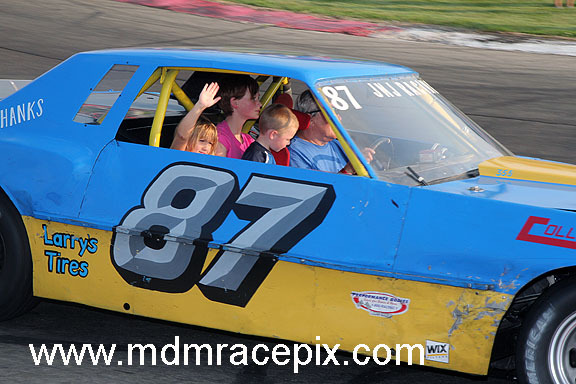 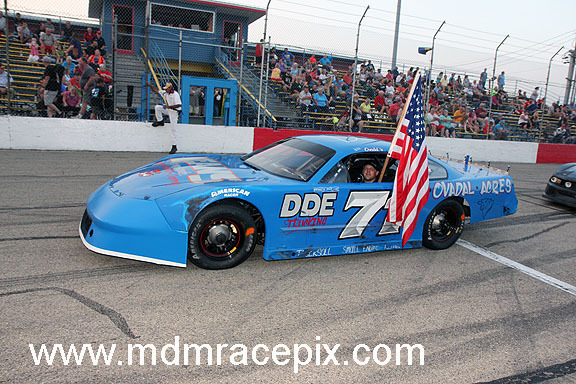 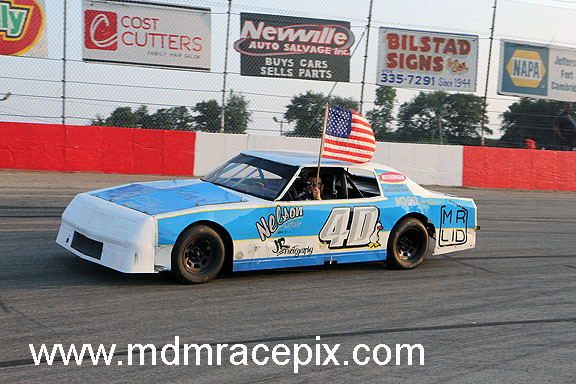 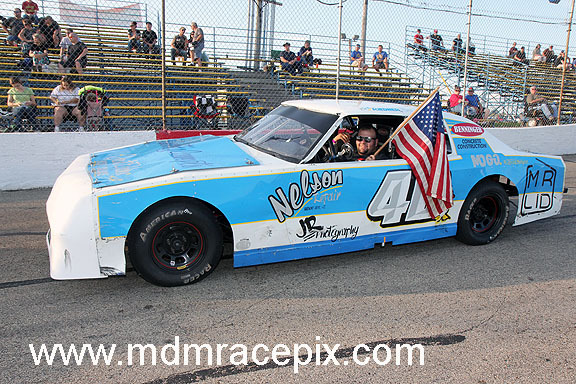 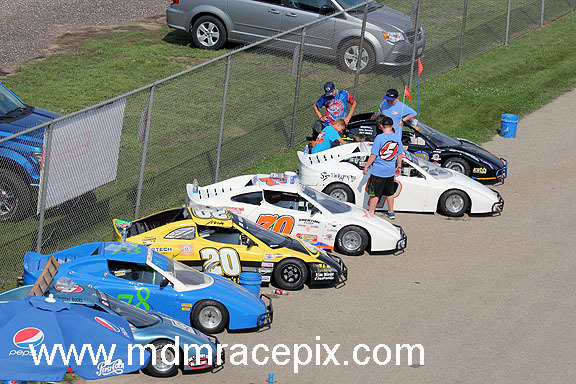 The Wisconsin Dells pilot is in search of his first Late Model crown at Jefferson Speedway. 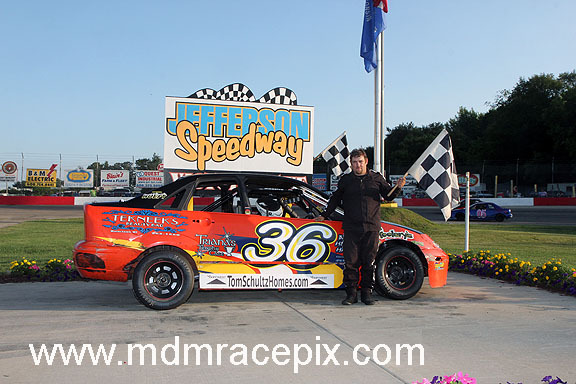 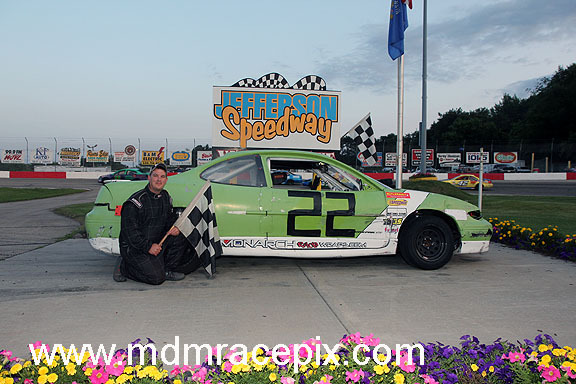 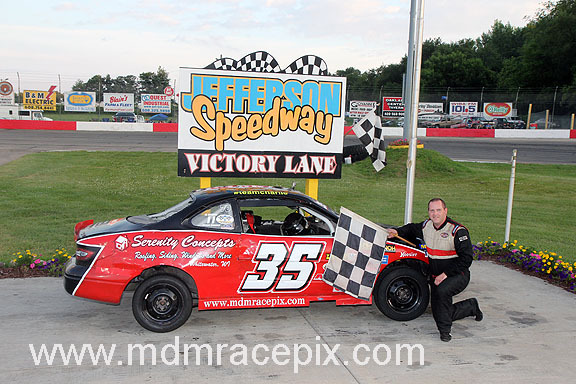 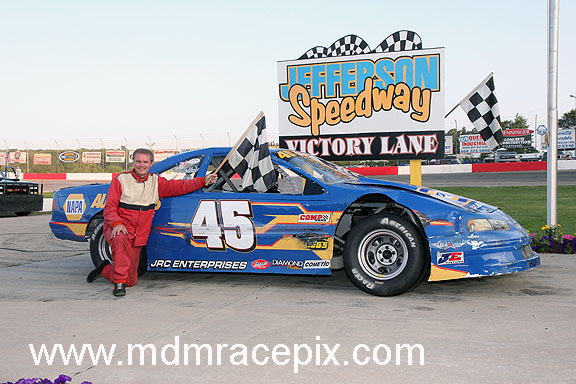 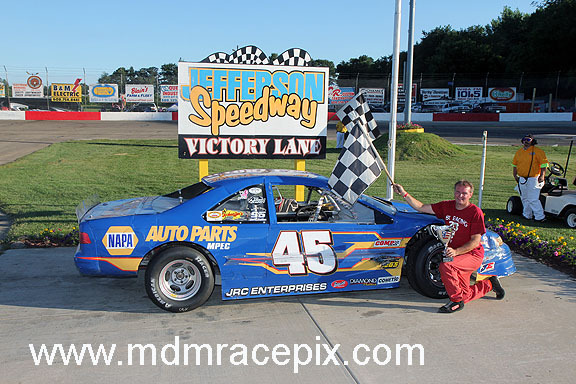 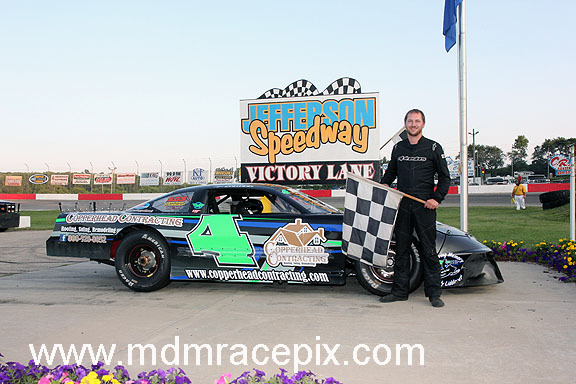 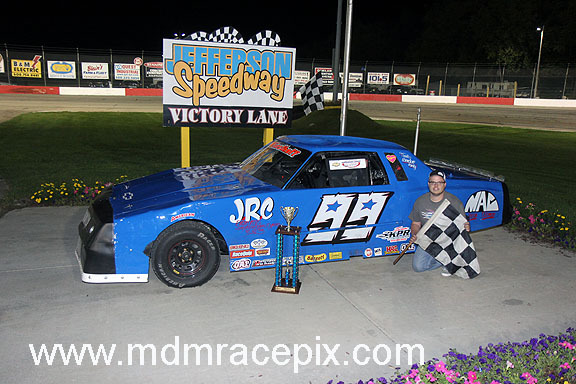 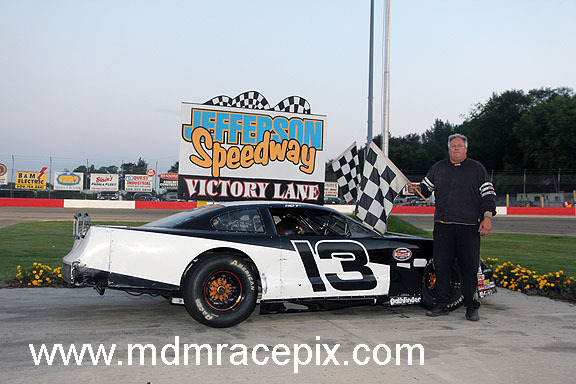 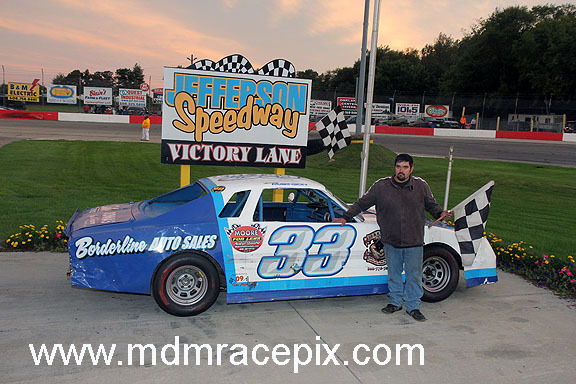 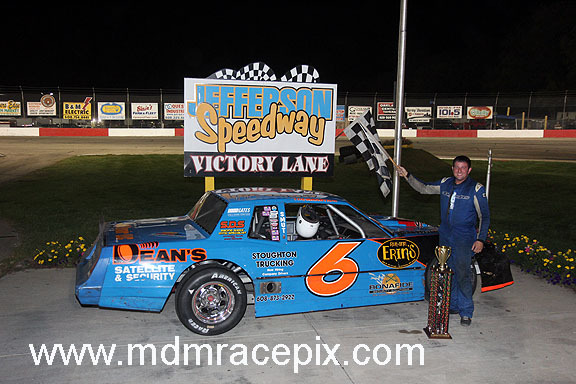 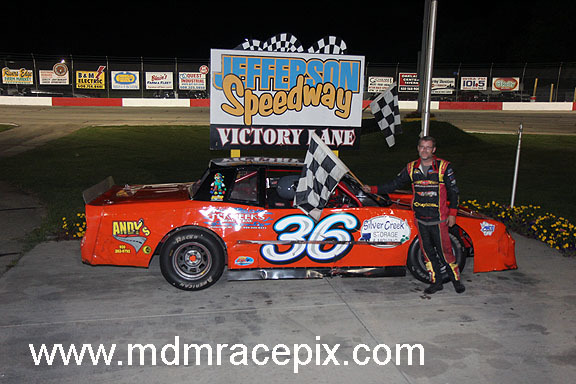 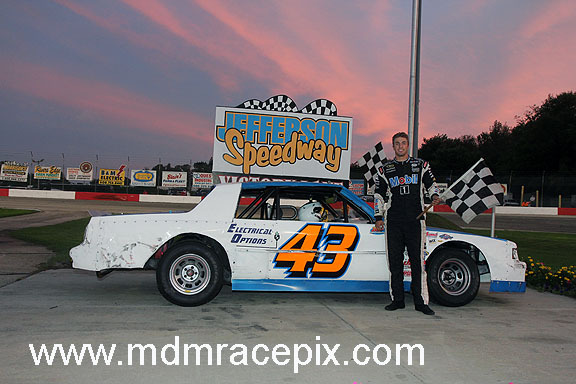 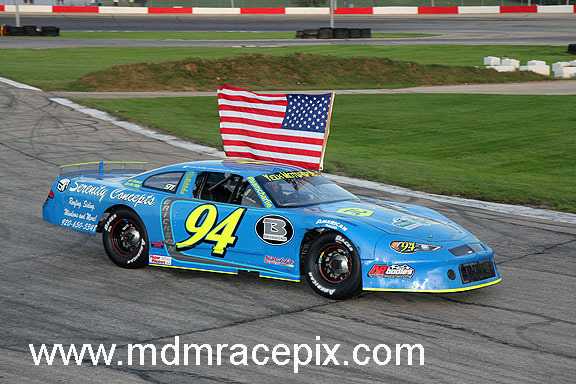 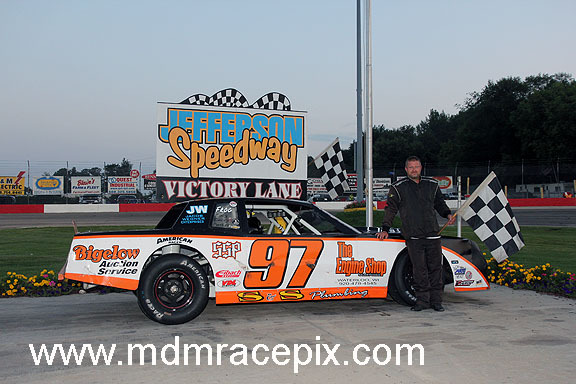 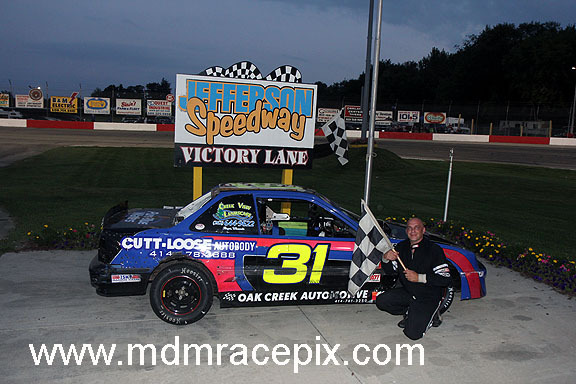 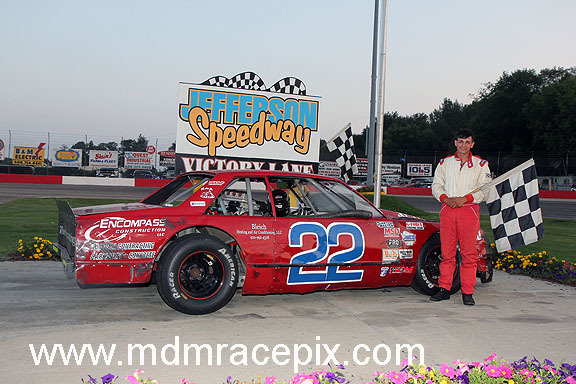 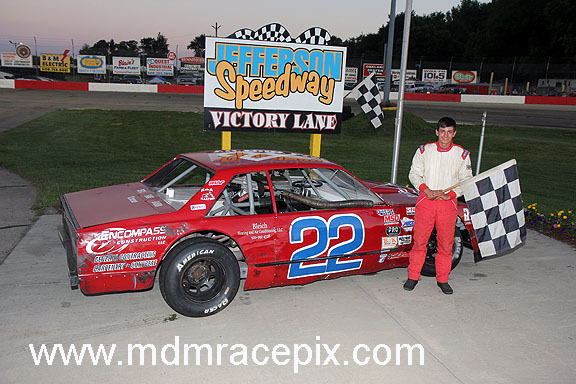 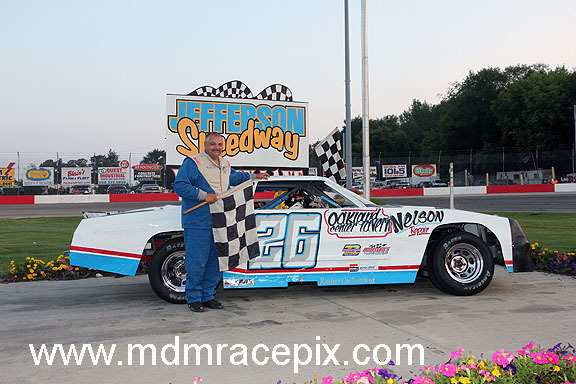 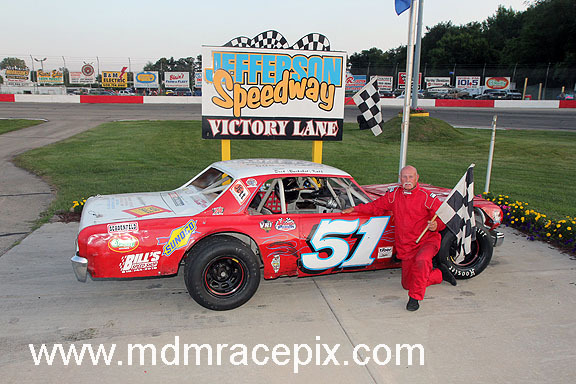 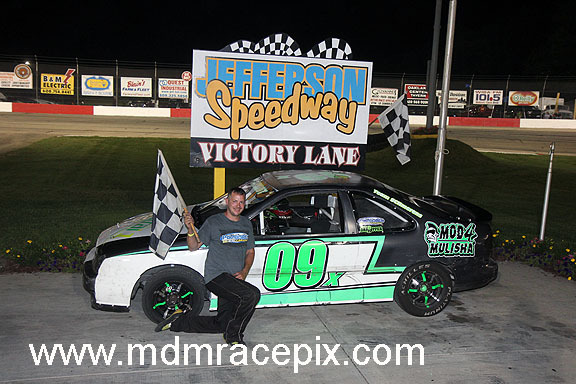 CAMBRIDGE, WI (Saturday, August 11, 2018) Three time Late Model champion, Casey Johnson of Edgerton, has been missing in action at Jefferson Speedway since he dominated last season’s Wisconsin State Championships. 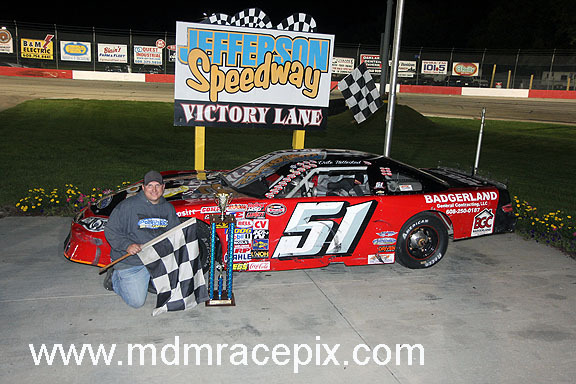 Johnson returned to Wisconsin’s Acton Track on Saturday night and picked up right where he left off last season. 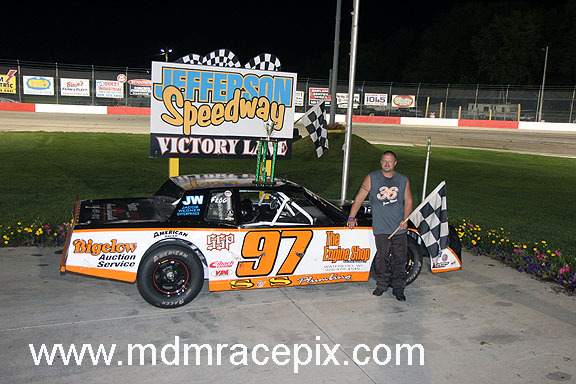 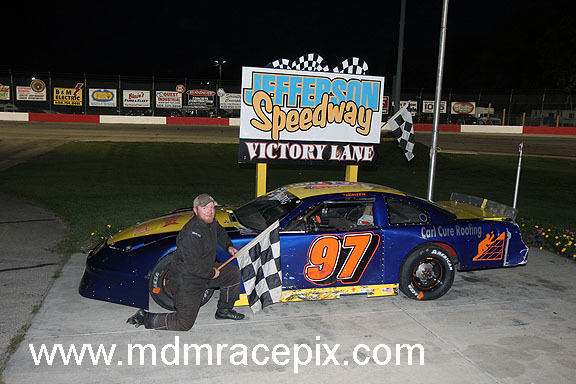 Johnson charged to the front of the IBEW Local 159 Late Model feature event and captured the win after 50 laps of hot and heavy racing intensity. 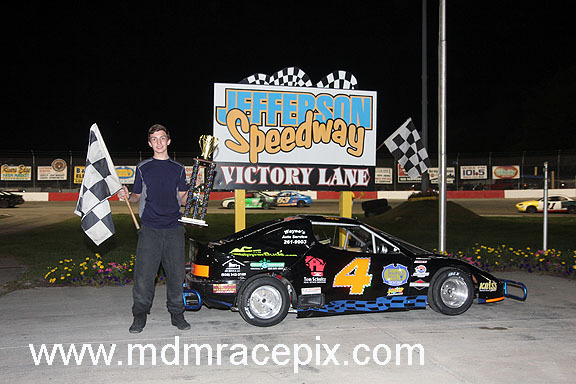 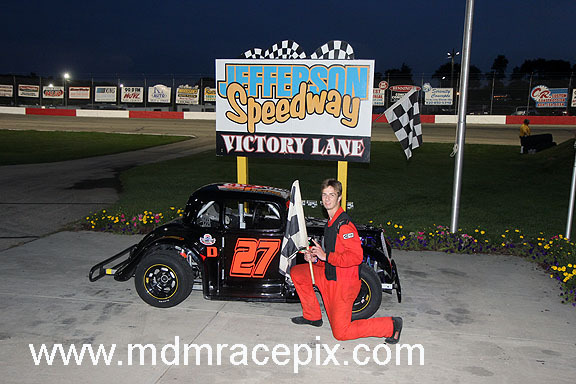 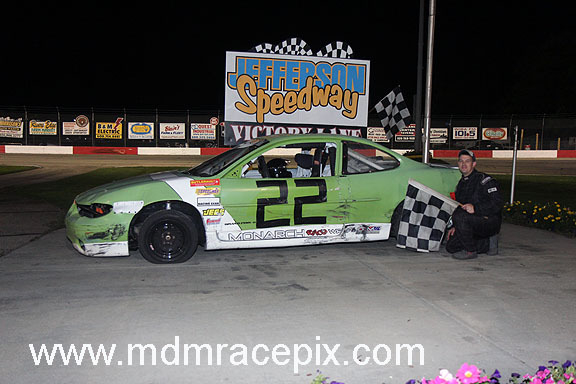 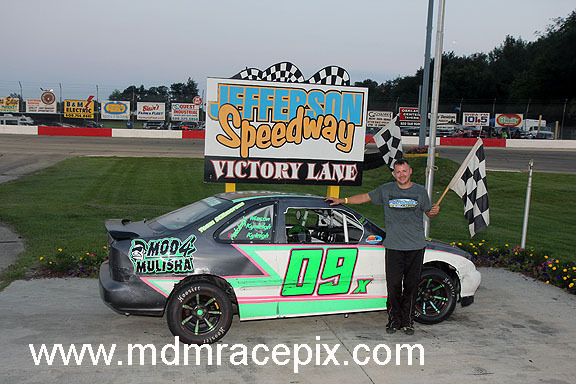 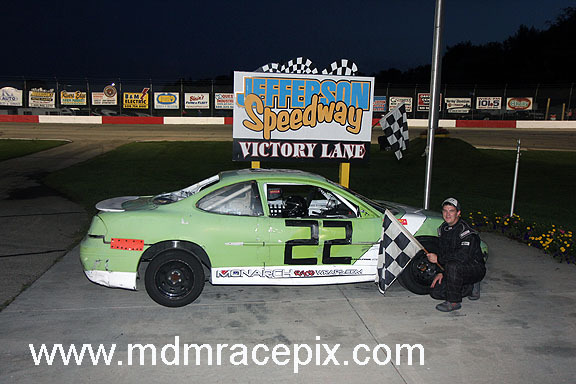 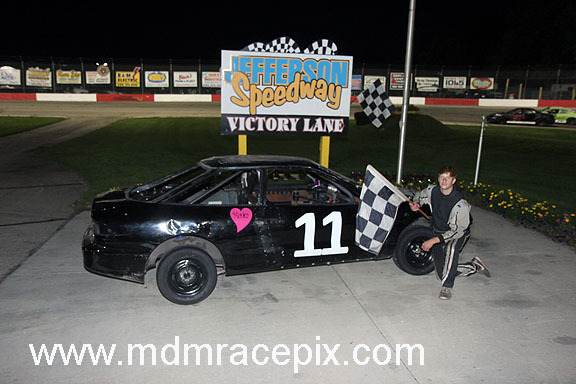 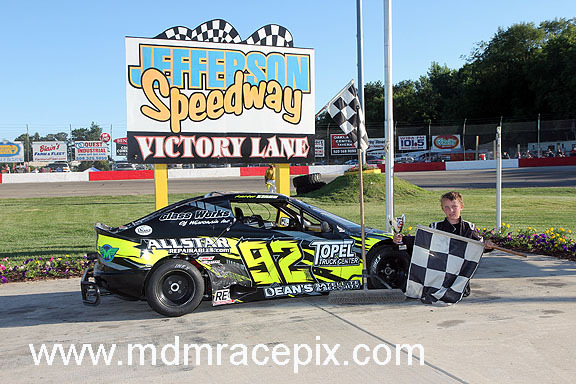 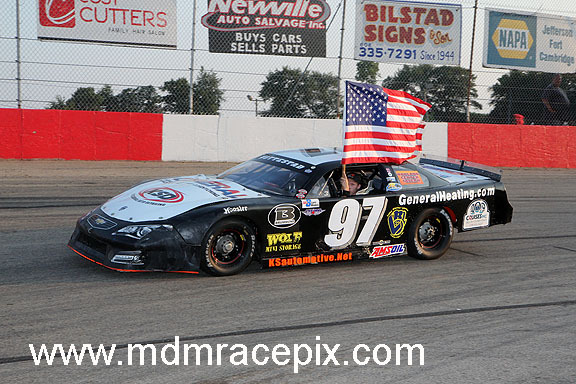 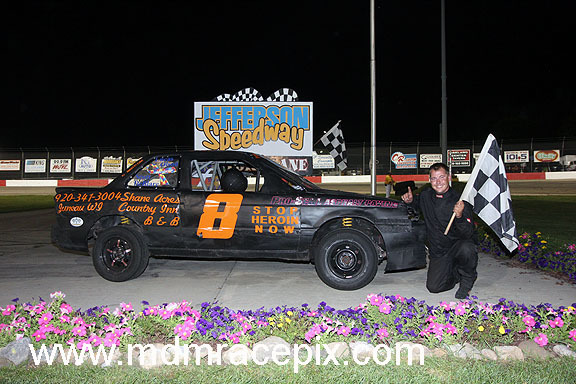 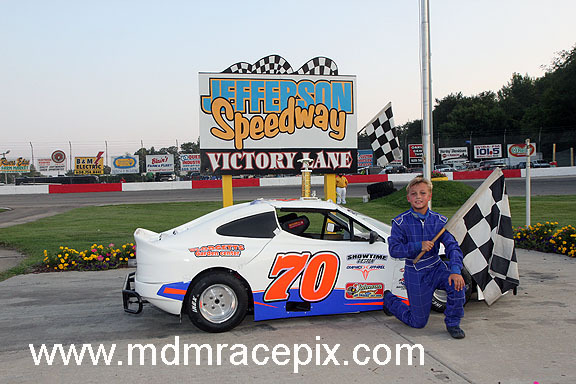 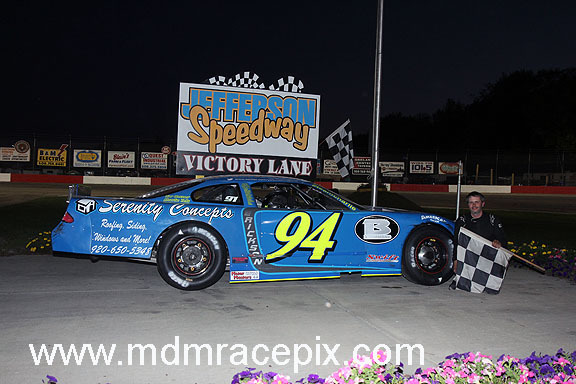 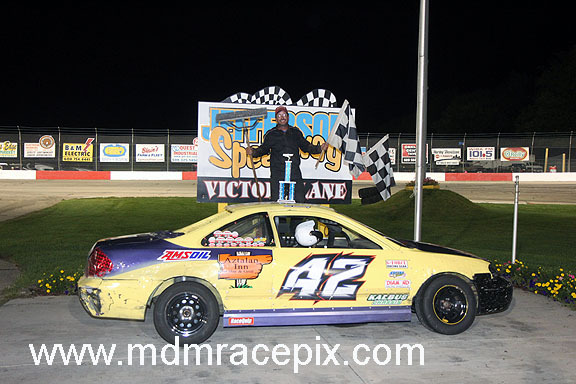 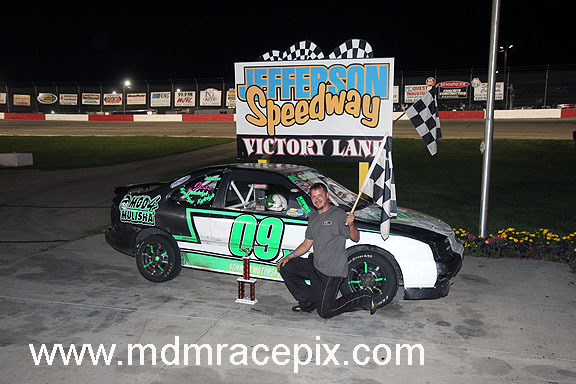 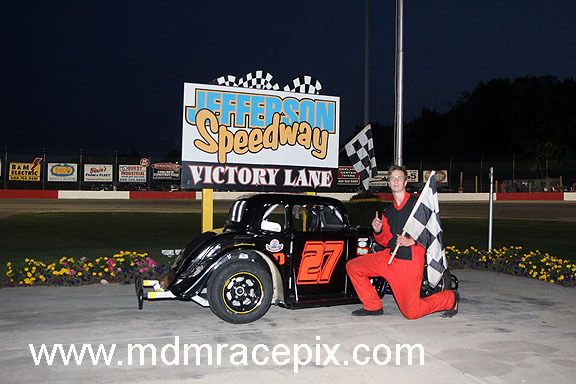 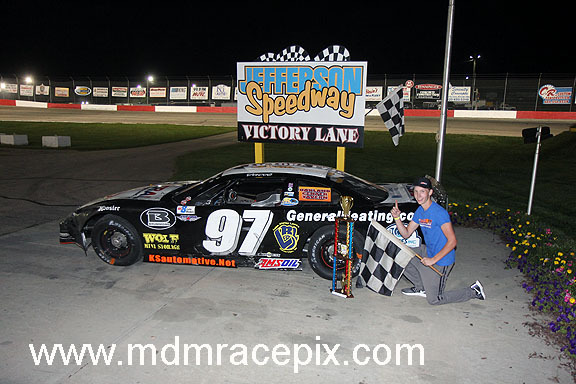 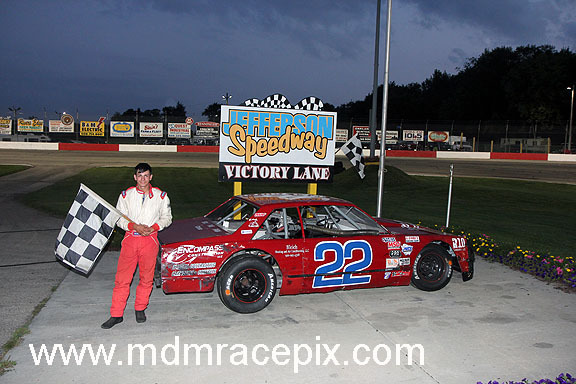 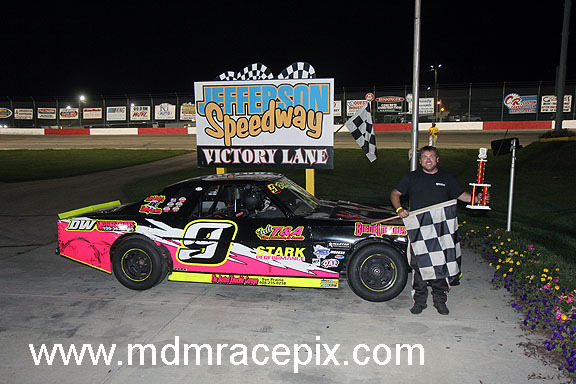 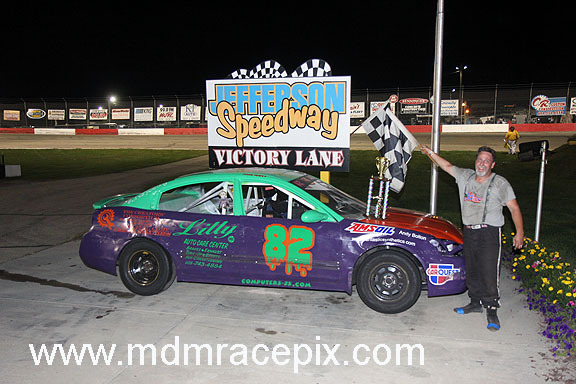 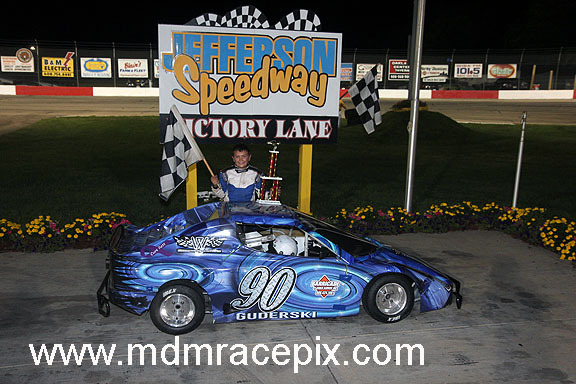 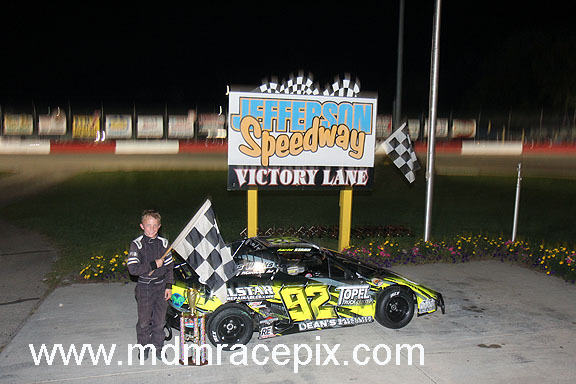 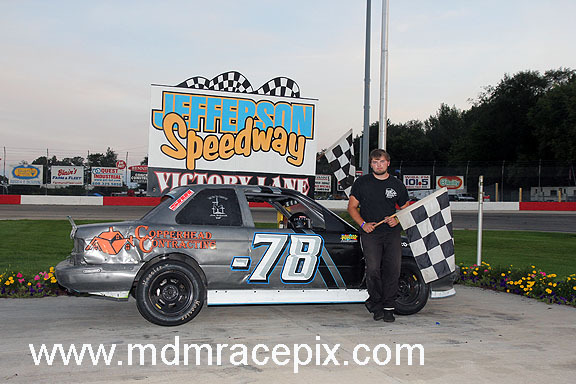 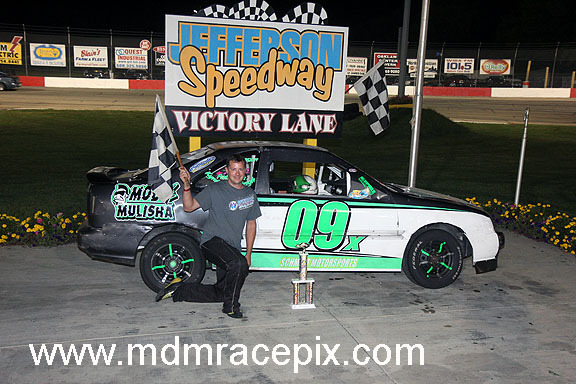 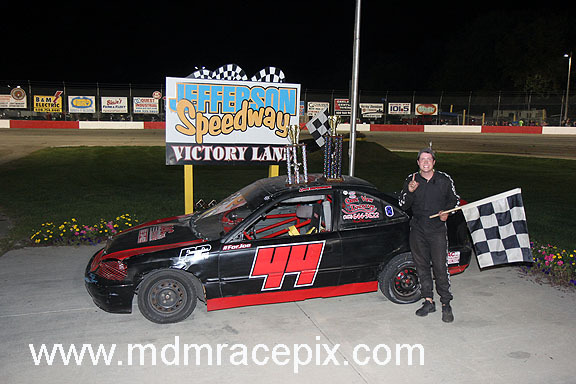 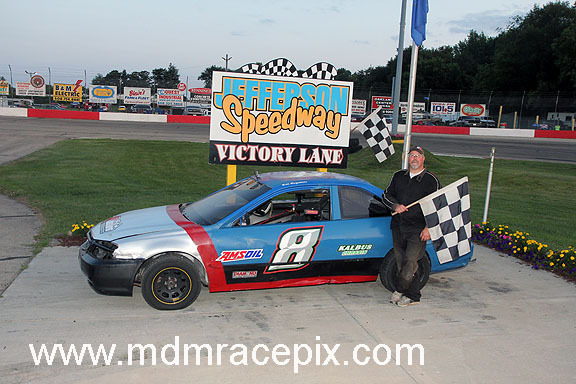 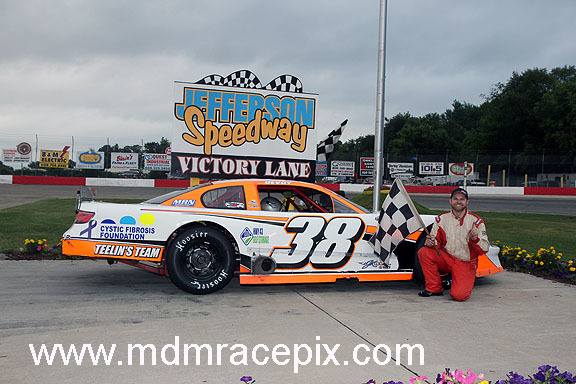 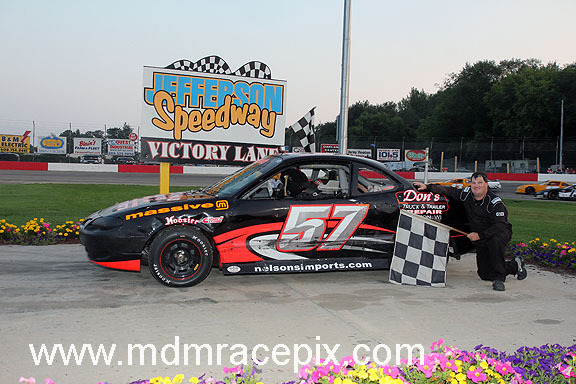 CAMBRIDGE, WI (Saturday, July 28, 2018) Utica pilot, Riley Stenjem, scored his first career Late Model feature victory on Saturday night at Jefferson Speedway. 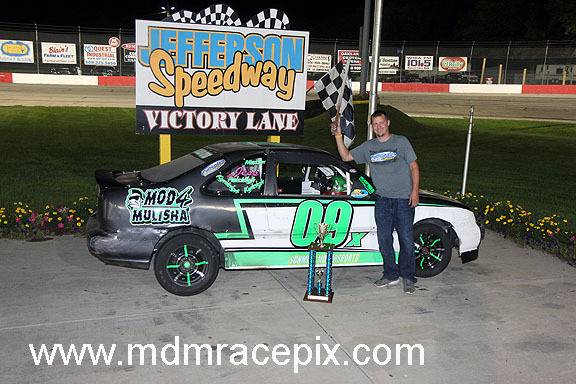 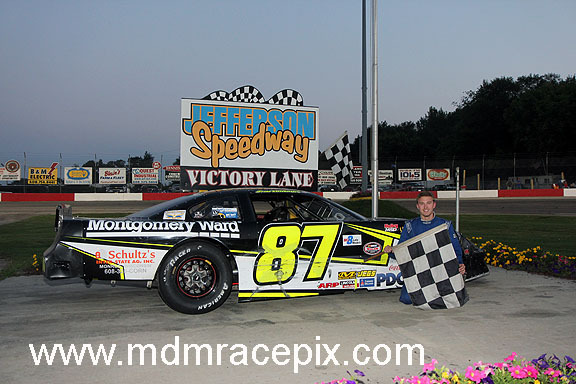 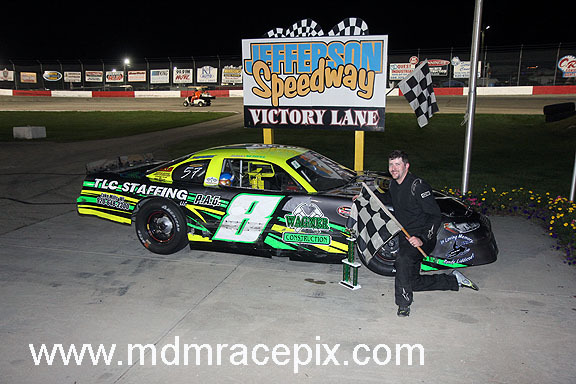 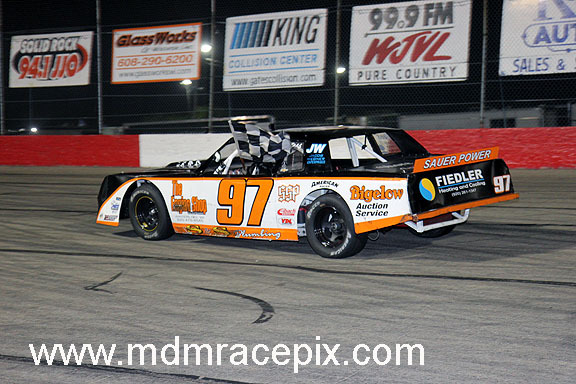 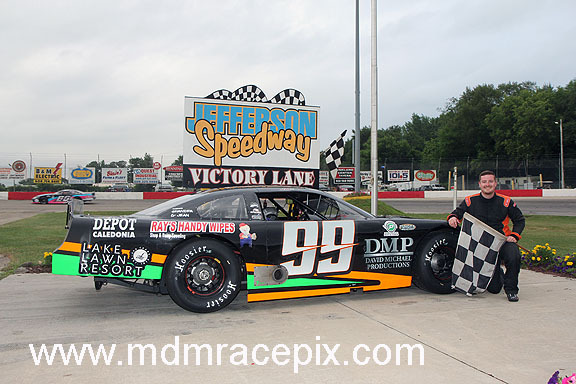 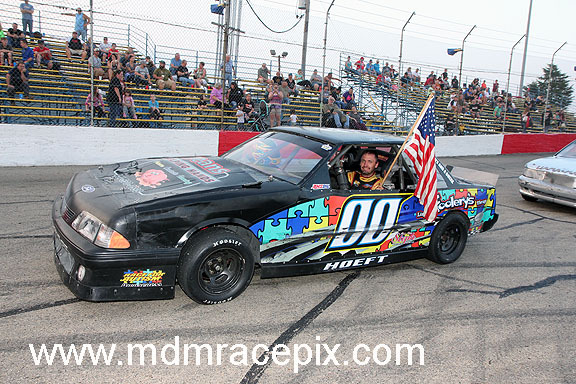 Stenjem waged a great battle with Dylan Schuyler on his way to winning the MDA 50 lap Late Model feature presented by Harley Davidson of Madison. 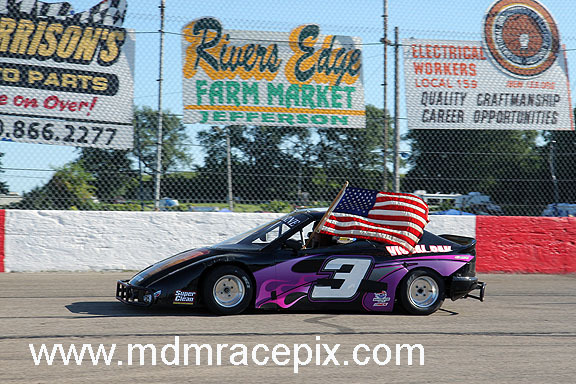 CAMBRIDGE, WI. 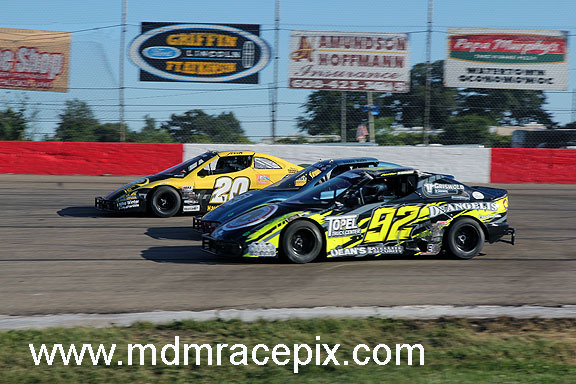 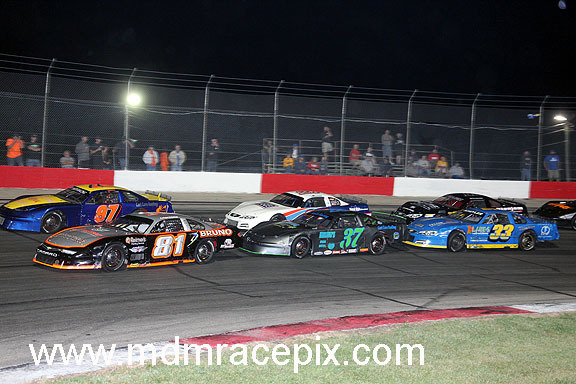 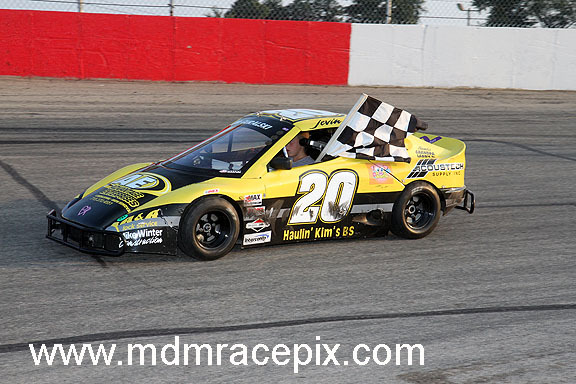 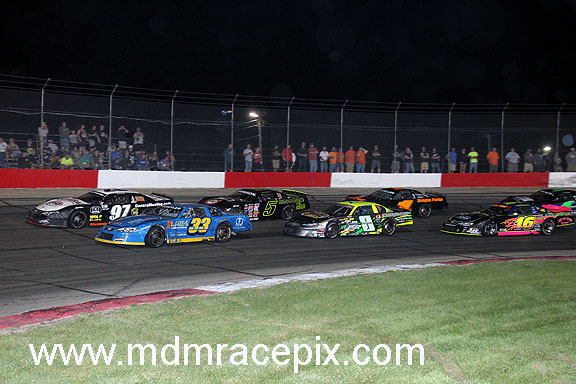 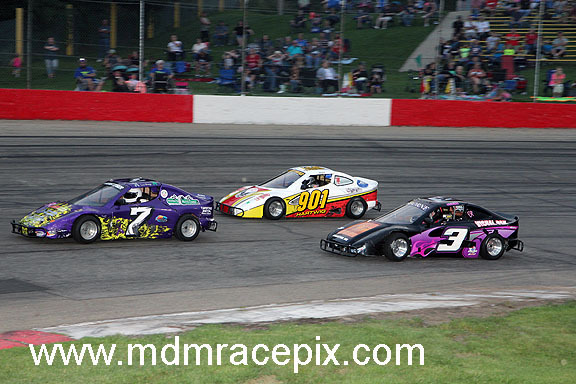 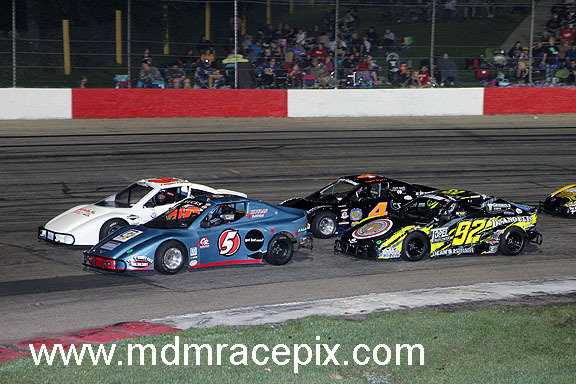 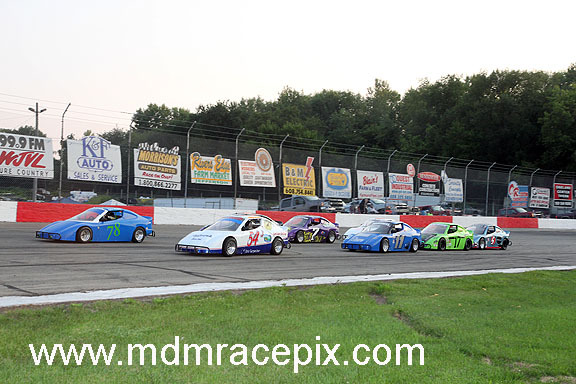 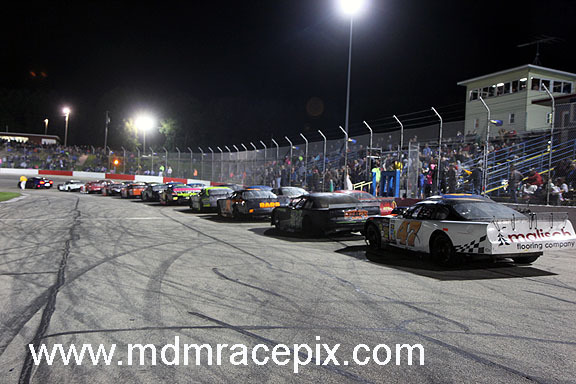 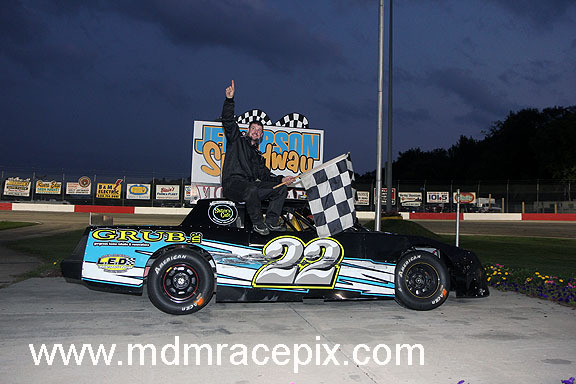 (July 21, 2018) – On a night where more laps were turned in an effort to dry the racing surface than in actual competition, the portion of the TUNDRA Super Late Model Series event Mother Nature did allow was overflowing with action. 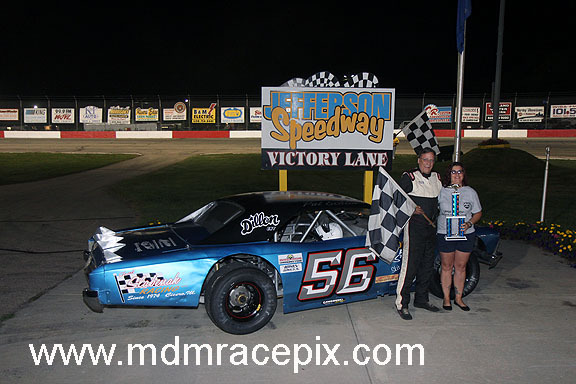 John Beale dashed to the lead from his fifth place starting spot on lap 27 of the rain-shortened feature to claim his first TUNDRA win in Round Four Powered by Wisconsin Potatoes Saturday night. 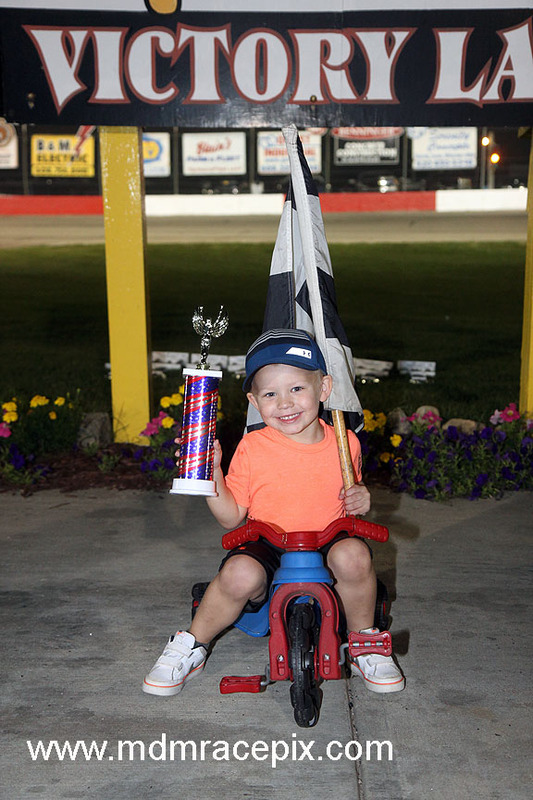 The win came just one year and one day after Beale challenged Wyatt Brooks to the very end of the 2017 main event. 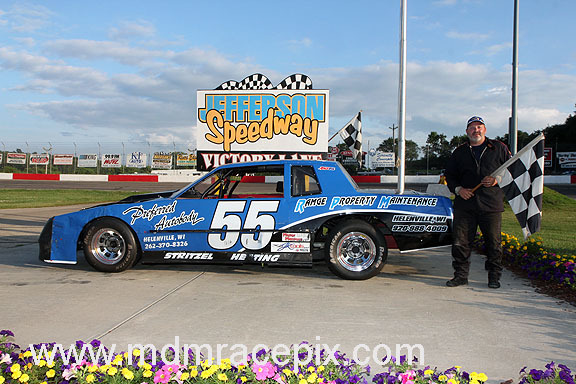 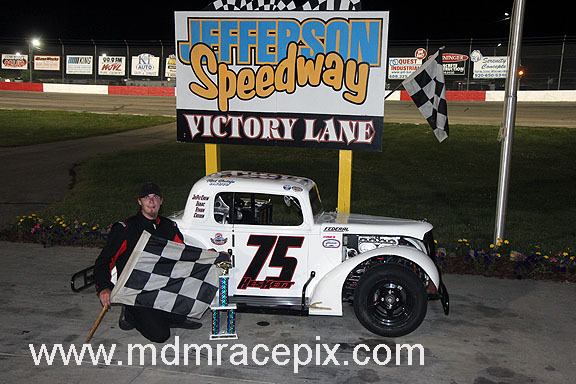 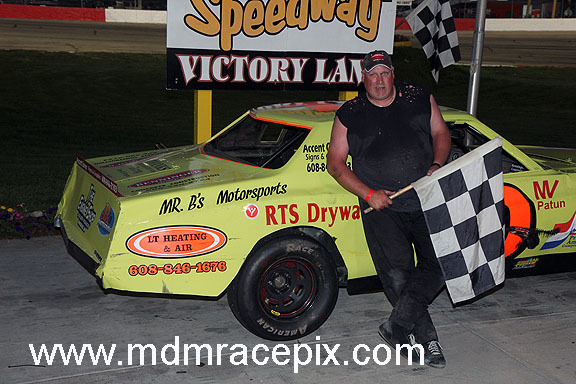 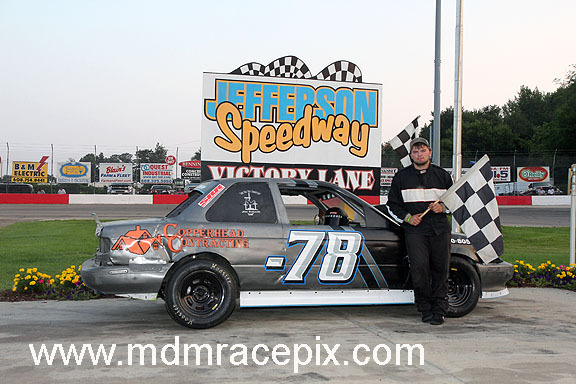 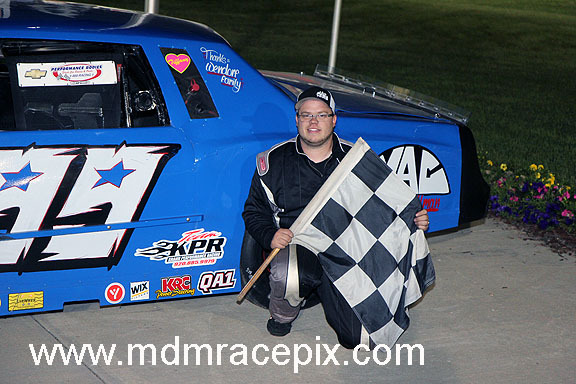 Although the feature only made it to the halfway point before another persistent rain brought an ending, Beale was pleased finally to visit victory lane in a TUNDRA event – especially at his de facto home track. 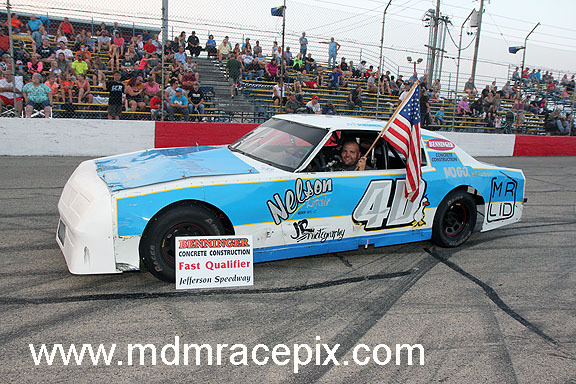 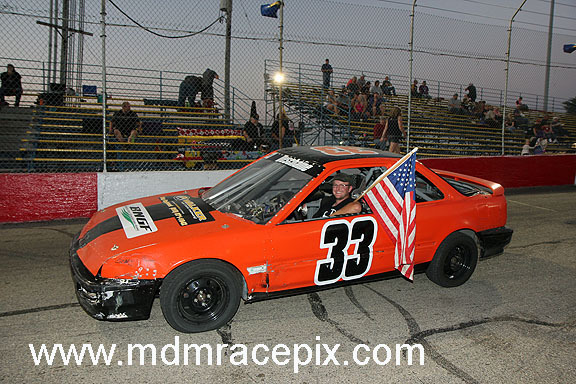 CAMBRIDGE, WI (Saturday, July 14, 2018) Cambridge pilot, Dale Nottestad, charged to the front of the field and claimed the O’Reilly Auto Parts 50 lap Late Model feature on Saturday night. 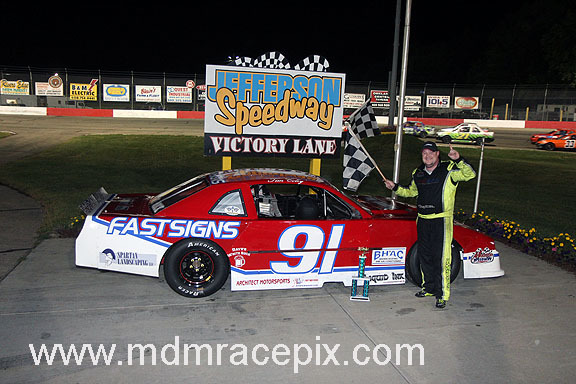 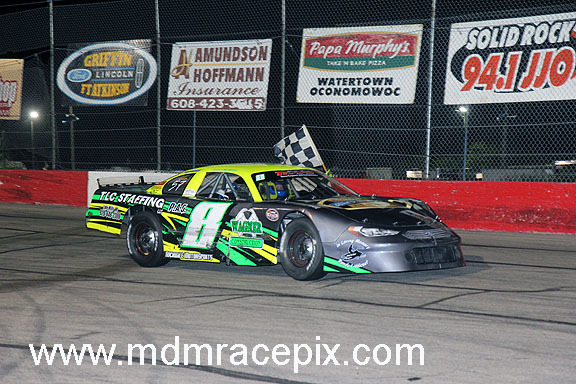 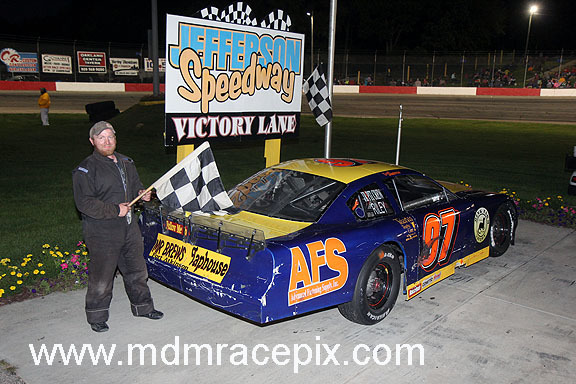 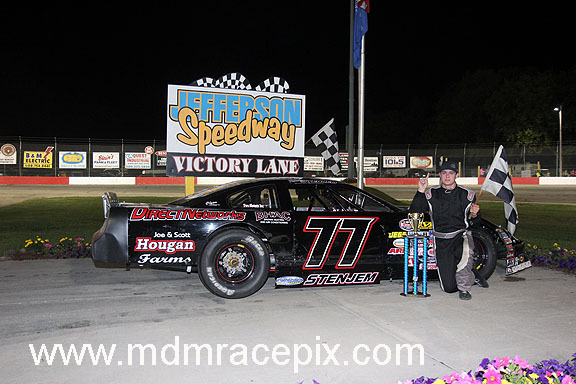 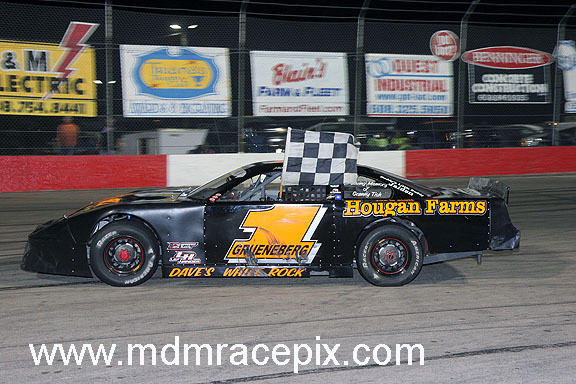 The win marks Nottestad’s second feature win in as many weeks as well as his third on the season, giving him more wins than any other Late Model driver in 2018. 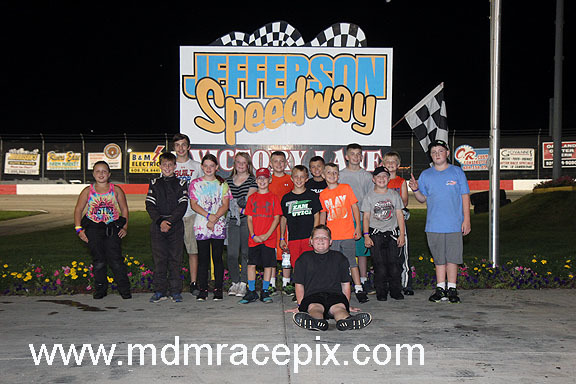 CAMBRIDGE, WI (Saturday, July 7, 2018) Following poor weather that forced a premature end to the racing program one week prior, it was double feature night at Jefferson Speedway on Saturday night. 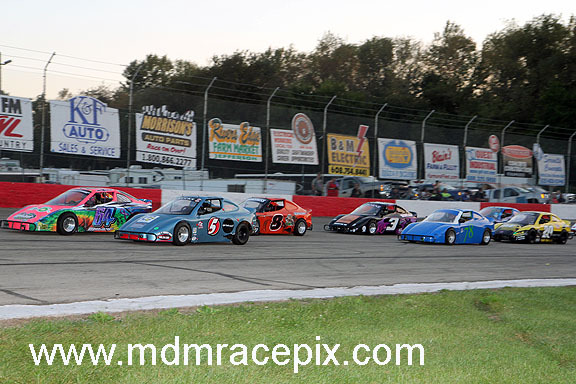 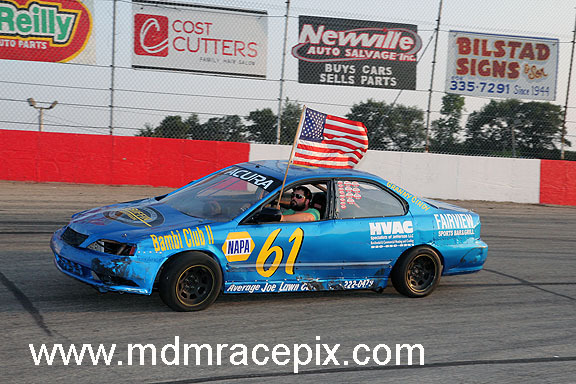 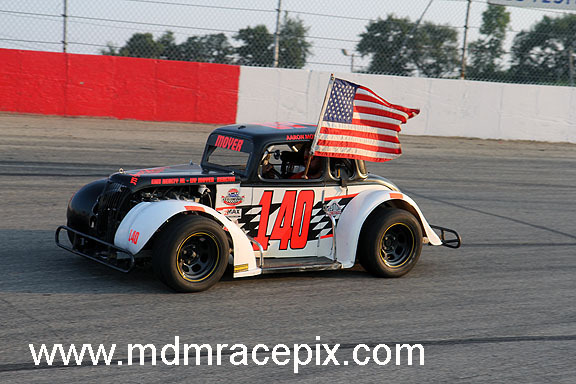 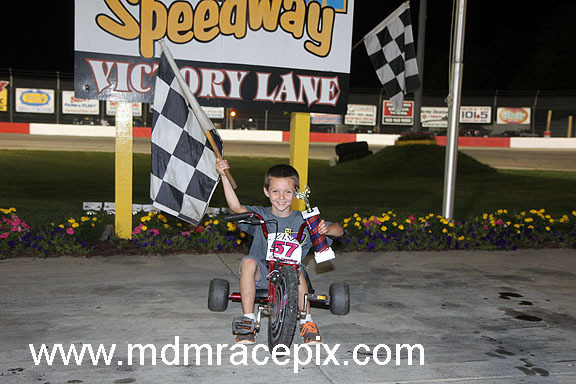 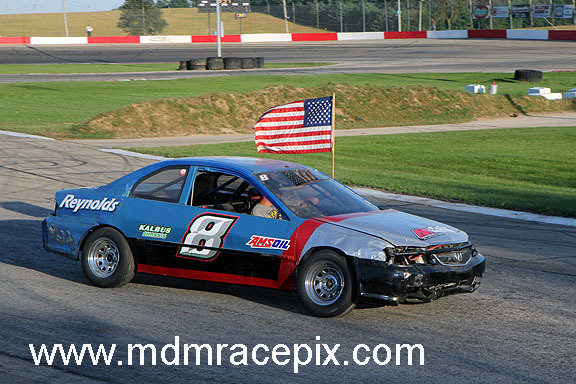 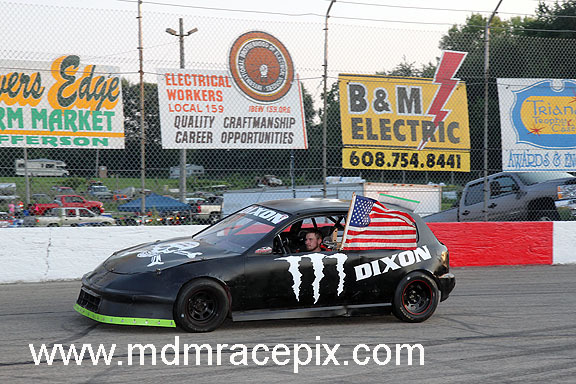 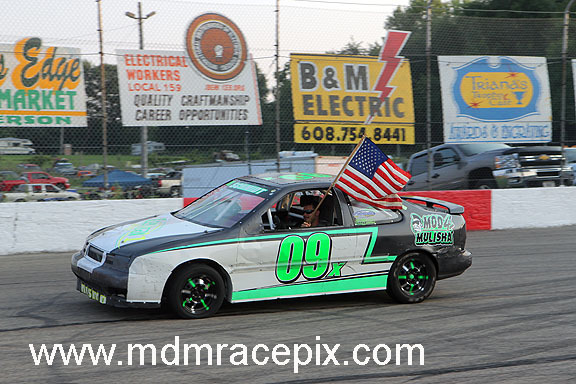 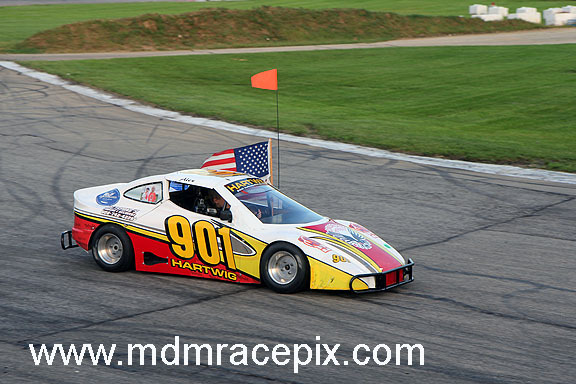 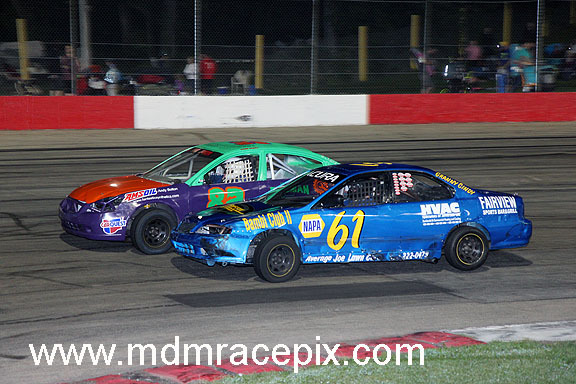 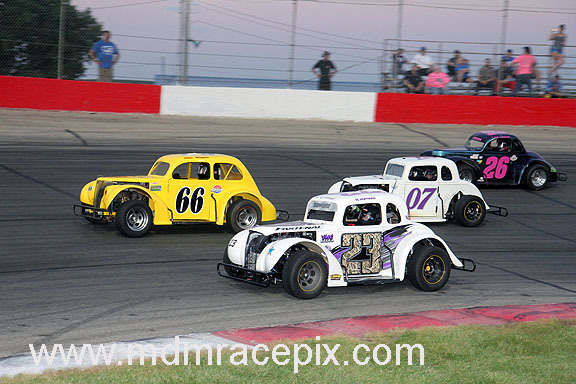 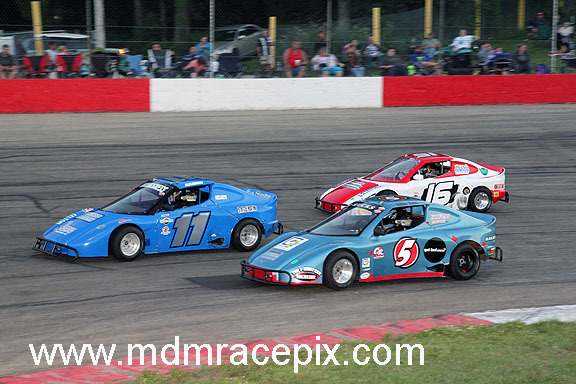 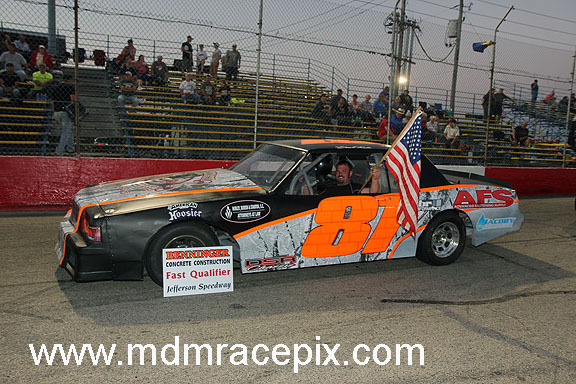 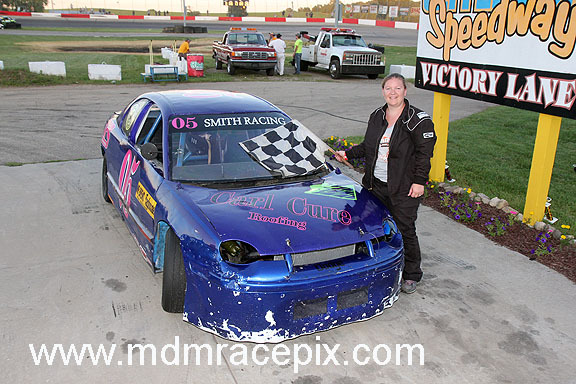 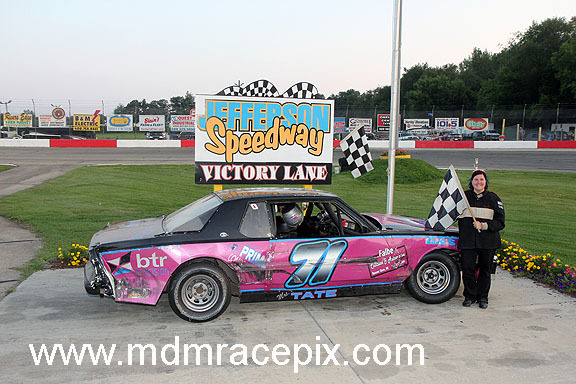 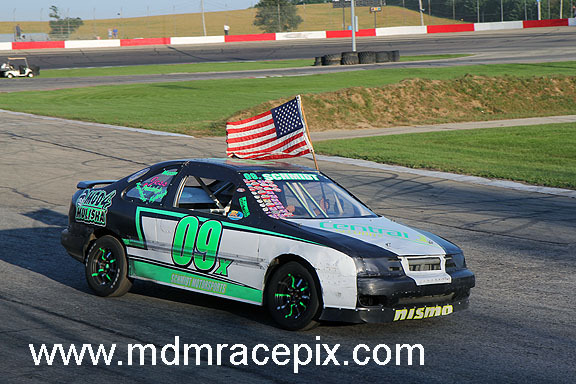 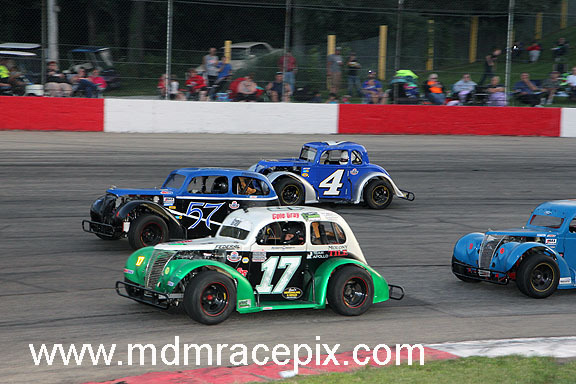 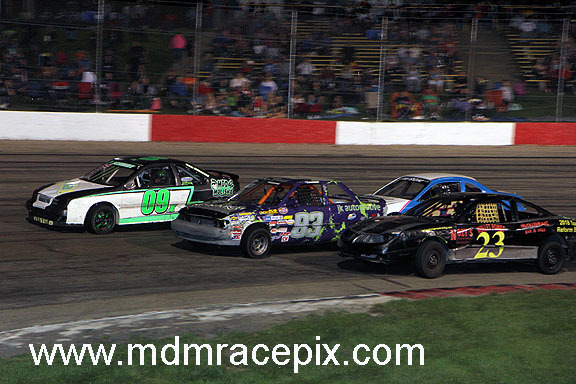 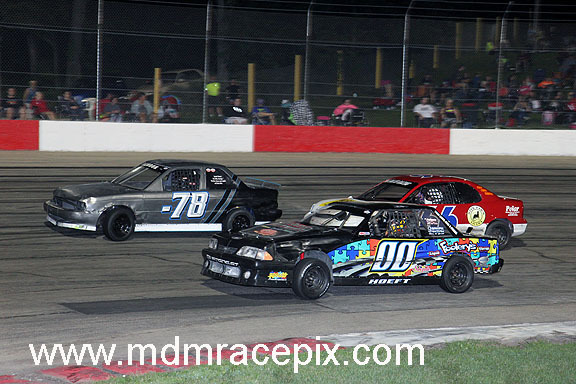 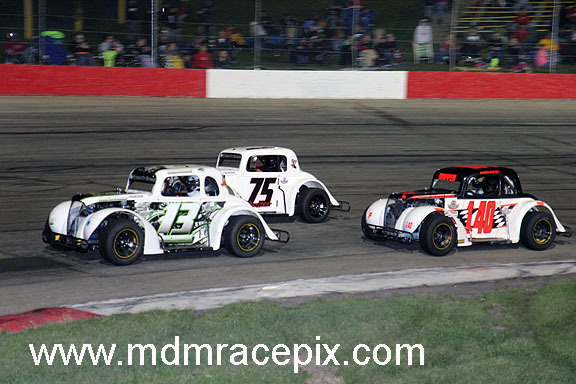 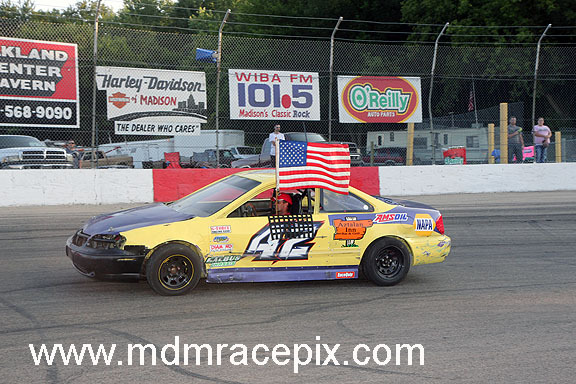 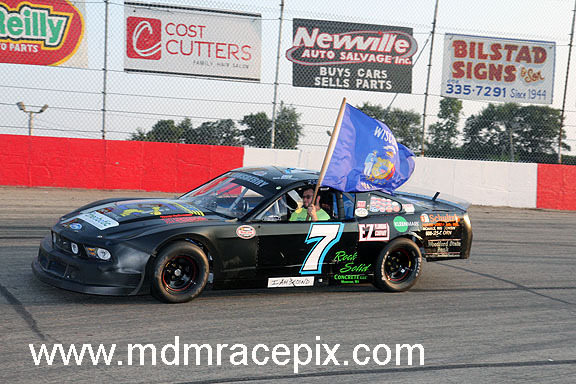 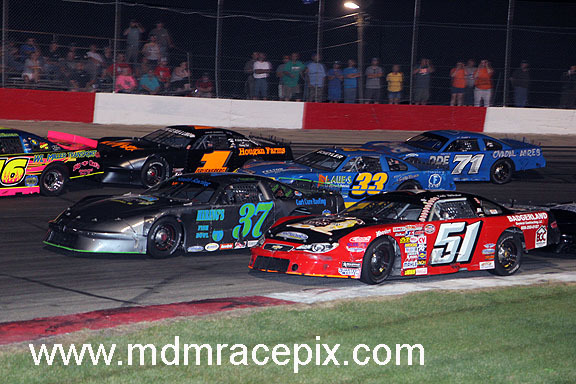 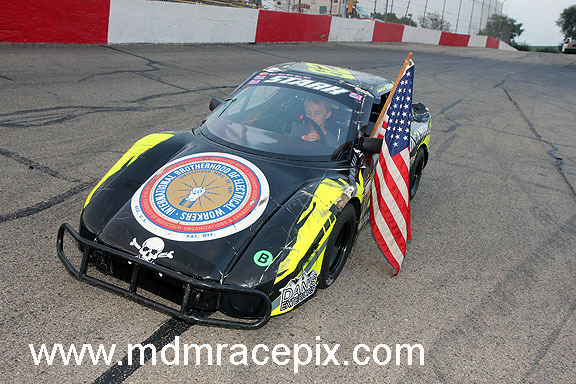 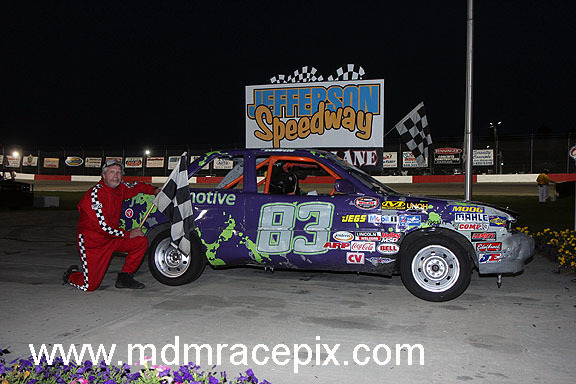 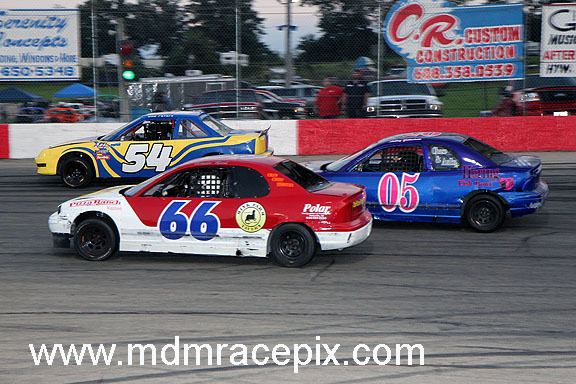 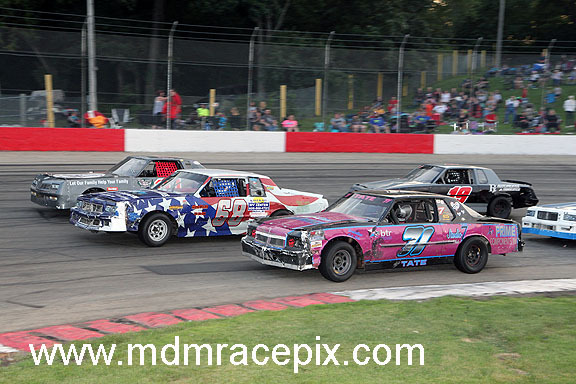 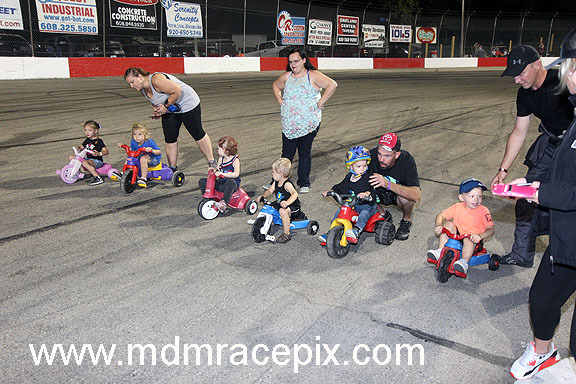 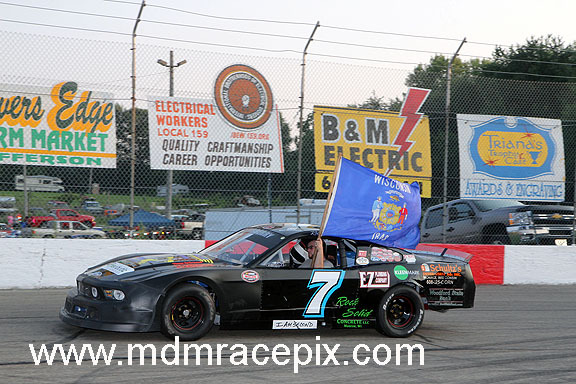 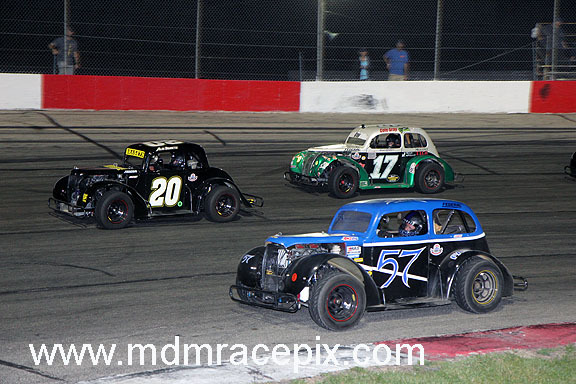 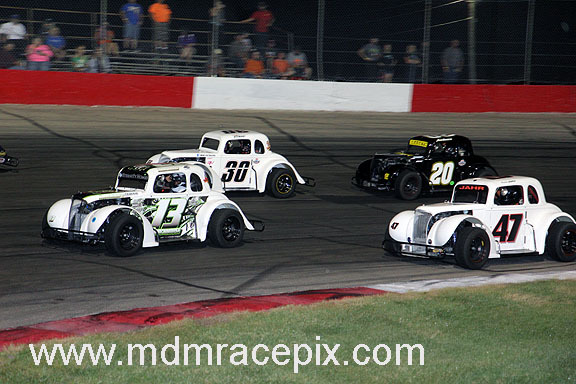 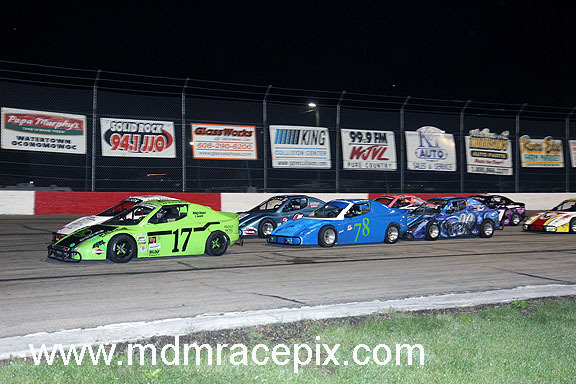 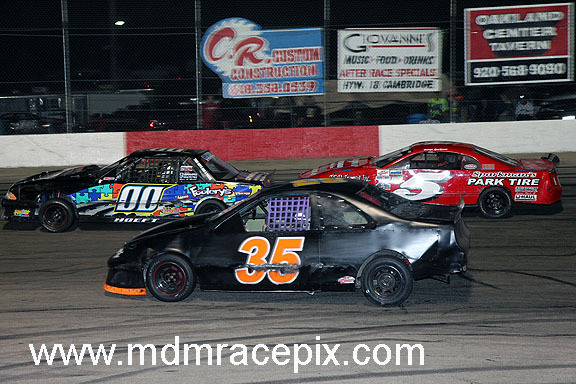 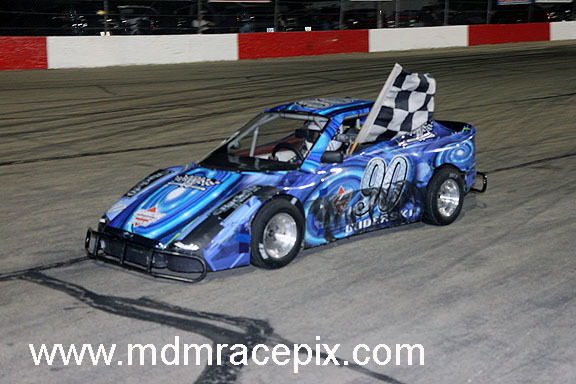 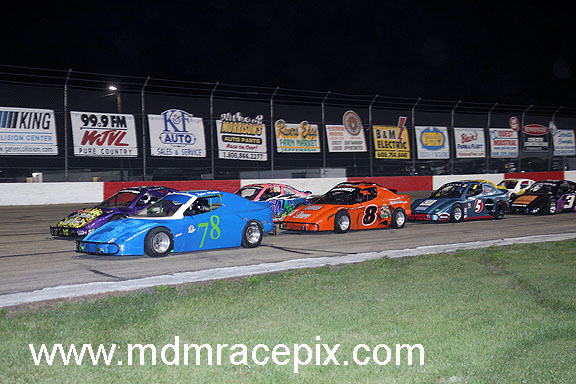 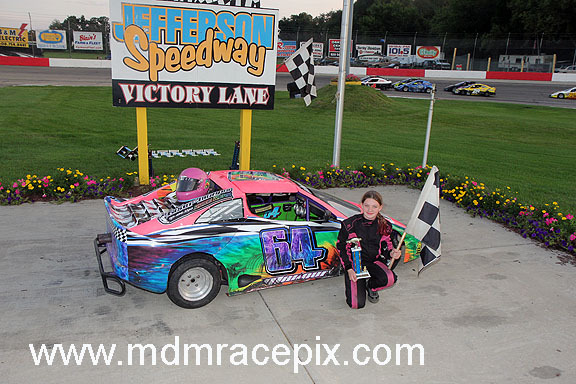 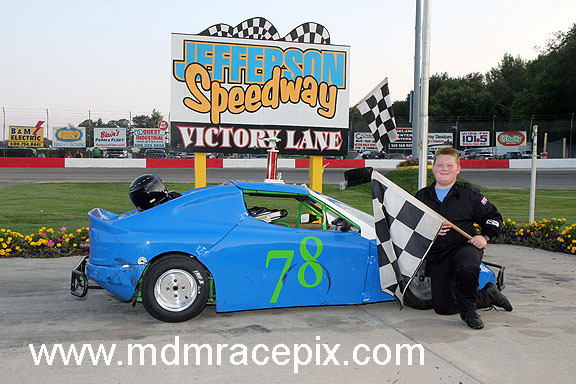 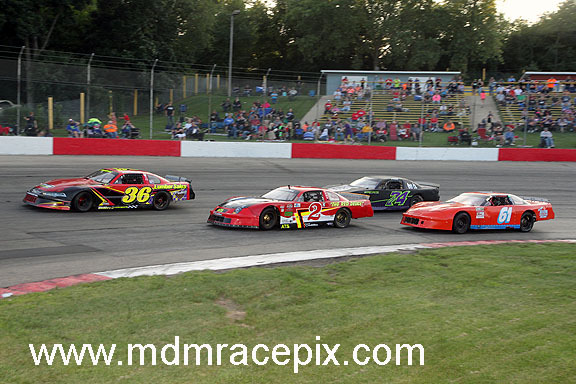 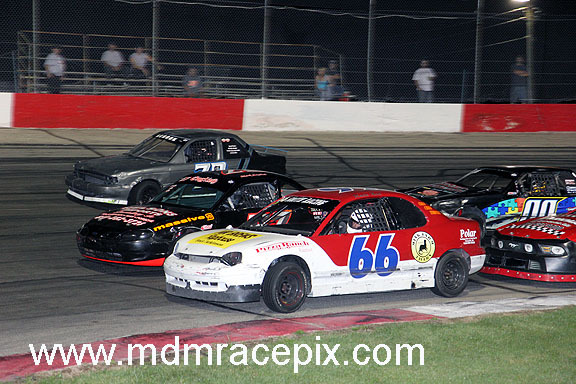 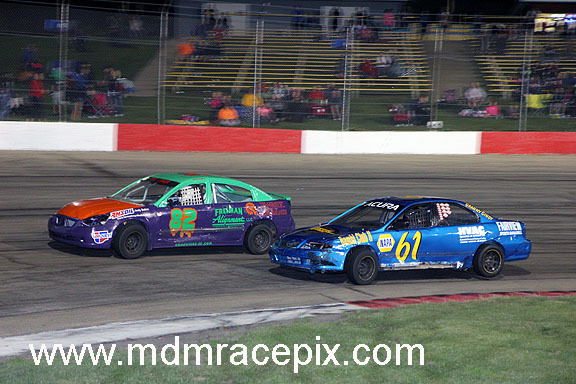 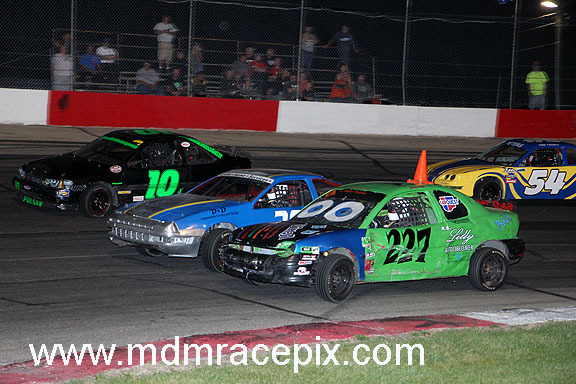 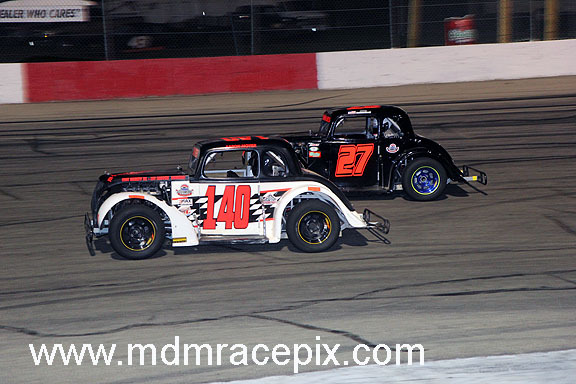 All seven divisions on hand were able to compete in two feature events, making for an action packed evening of racing. 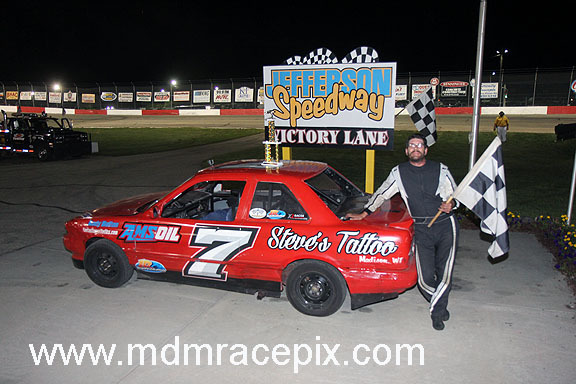 The two standouts in the premier division at Wisconsin’s Action Track on this particular evening were defending track champion, Dale Nottestad of Cambridge, and Lake Mills pilot, Shaun Scheel. 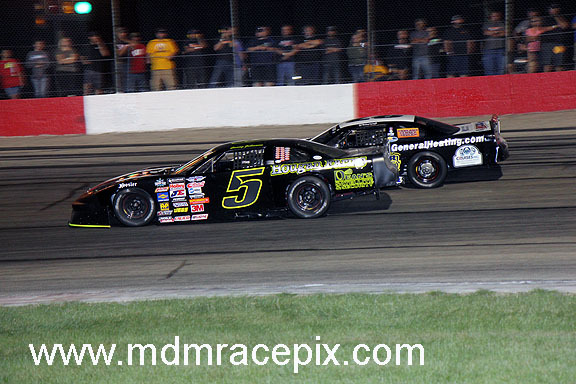 Both drivers scored Late Model feature wins. 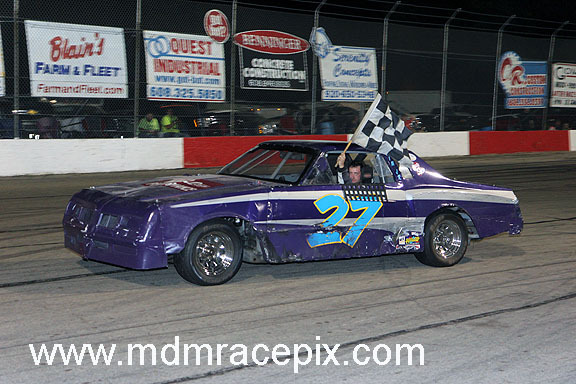 The wins marked the second for each pilot on the 2018 season.